What an impressive art show, VHS! 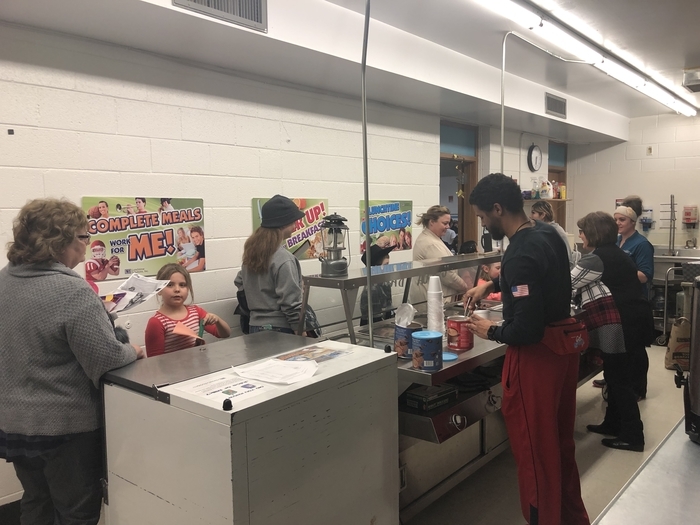 Thank you so much for including VES students. 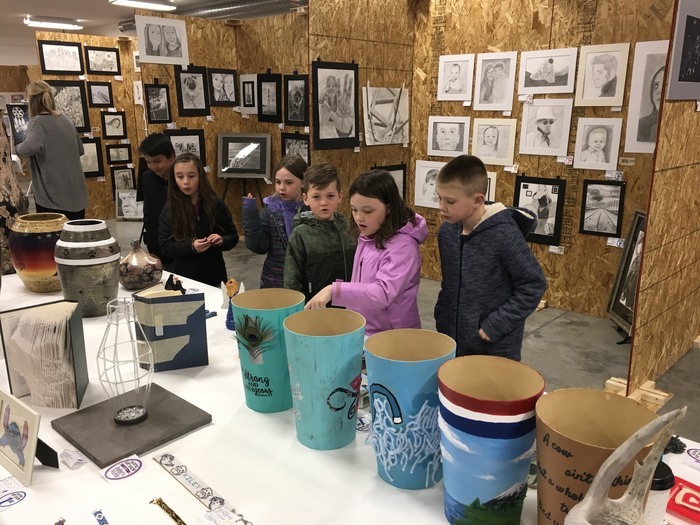 Pictured here are the VES art entries as well as some VES students who attended the art show! NSCAS (state testing) will continue this week at VES. 3rd, 4th, and 5th grade test Wednesday through Friday. Please make sure your student is getting good sleep and eating a healthy breakfast. We had a great first week of testing; remember what we talked about at our pep rally! 2C reading and science learned about the dangers of oil spills! 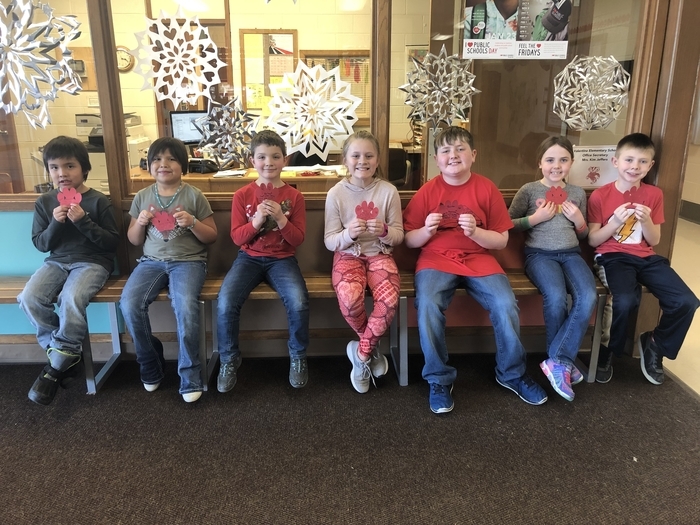 Congratulations to these VMS students who entered the Valentine Art Show and won several awards: Preston Stoeger, Jacob Brackeen, Sadi Osnes, Zoe O’Keefe, Makenzie Ward, Olena Felton, Olivia Felton, Hailey Witte, Kaylee Hanson, and Bella Ringhoff! 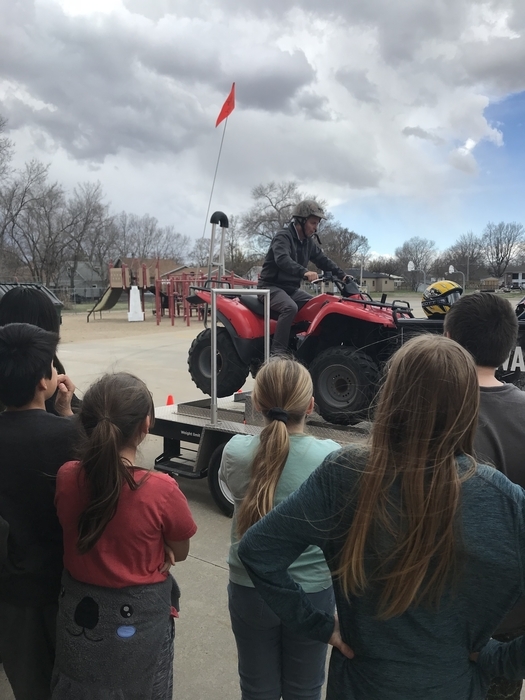 The UNL Extension put on an ATV safety course at VMS today. 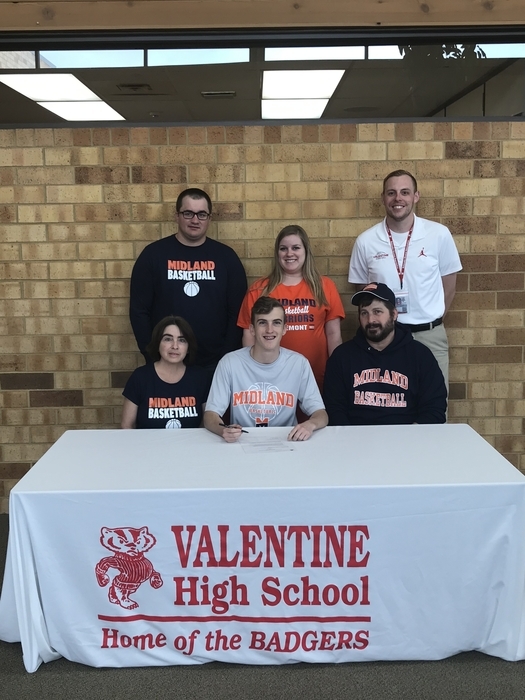 Jaydon Owen signs with Midland University to play basketball! We are celebrating the TeamMates Mentoring program scholarships! Last year, TeamMates awarded over 3.7 million in scholarship funds to mentees. 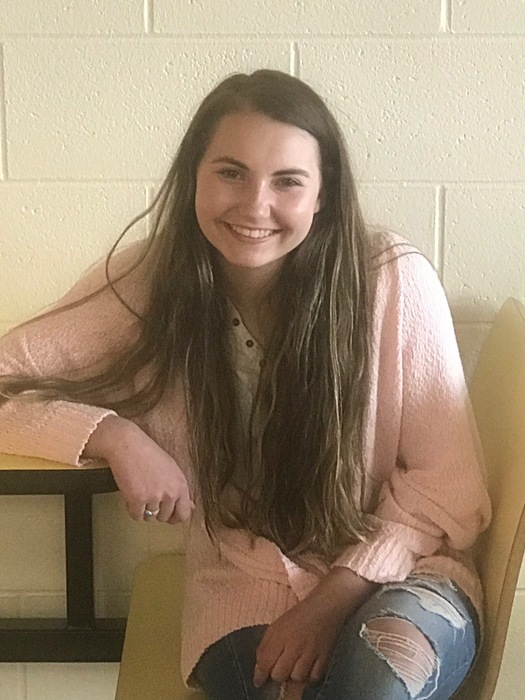 This year, we have one local senior mentee who was awarded the Mount Marty College TeamMates Scholarship which is a minimum of $13,000 per year toward tuition for four years. 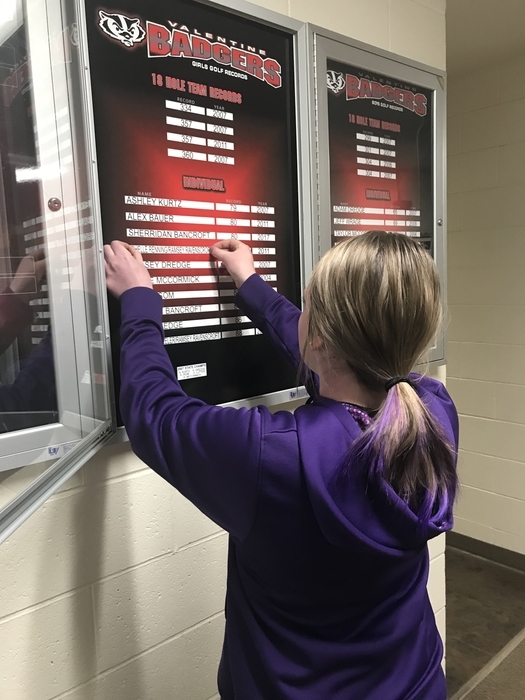 We also have another local senior who is the alternate for the TeamMates Program Award Waiver for Chadron State College (half-tuition waived per academic year). In addition, our local Valentine Chapter awarded four of our local seniors $500 in college scholarships. 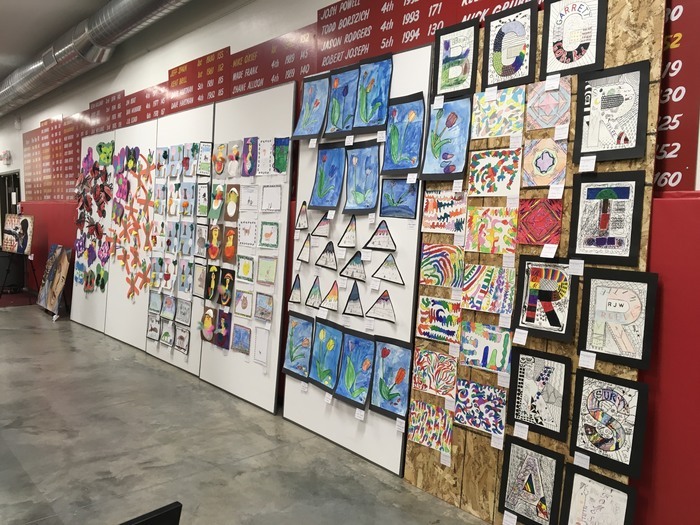 VALENTINE ART SHOW TOMORROW, April 17, 2019. If you are coming to see the art show, please park on the EAST side of the high school and use the main entrance. Thank you. 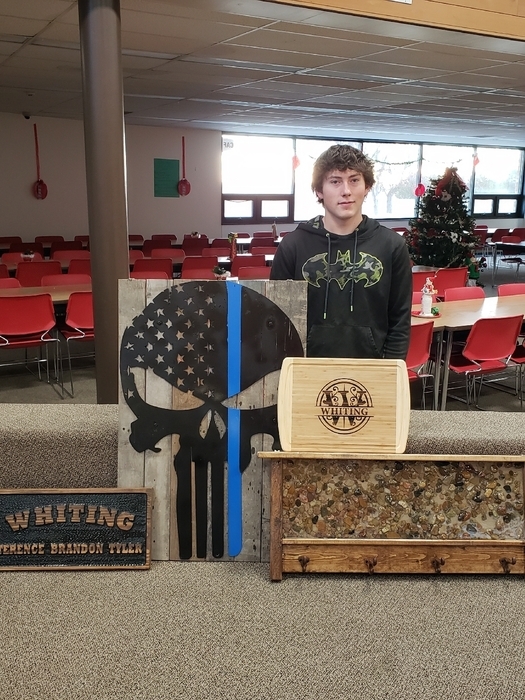 Please come and see the art work from Valentine High School and surrounding students. The Boys Golf team will dual Ainsworth Tuesday April 23rd at 2 pm at Ainsworth Golf Course. JV Golf at Thedford on Thursday has been postponed due to course conditions. 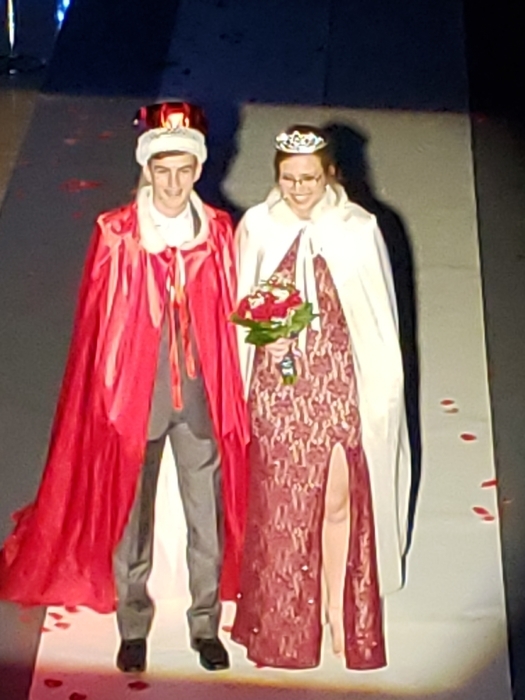 CONGRATULATIONS to VHS 2019 prom royalty Reganne Schrunk, prom queen, and Jaydon Owen, prom king. 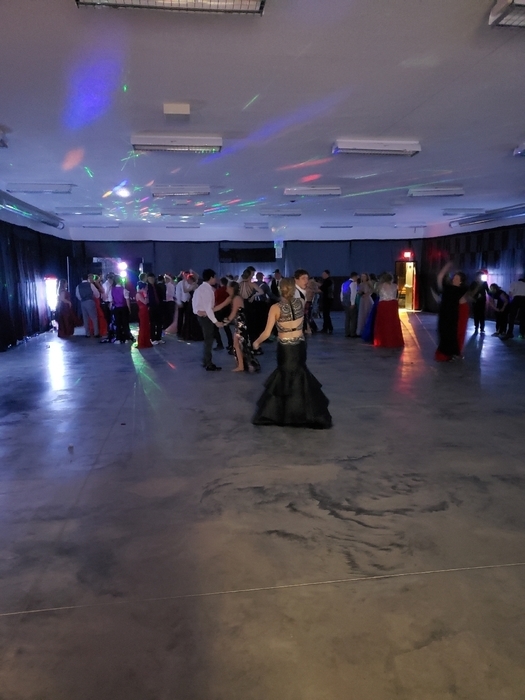 Valentine High School prom is going great. 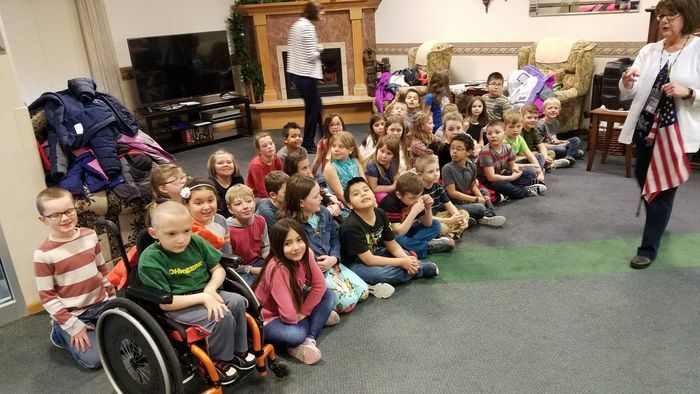 Fantastic group of kids having a good time. 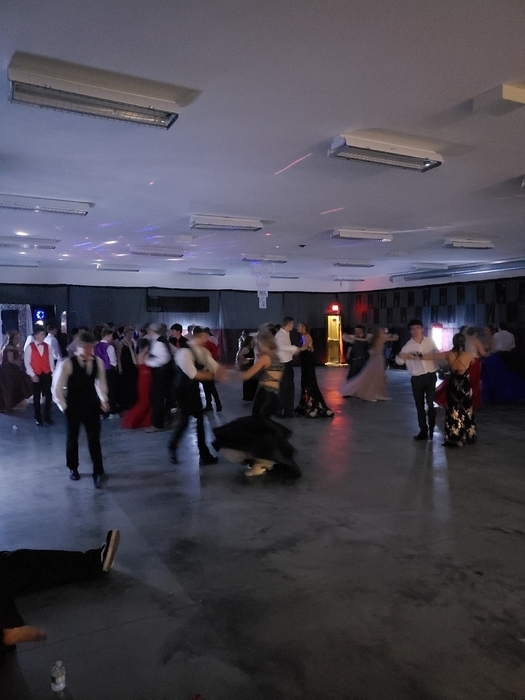 Post prom is at 1:00. Thanks to all the parent helpers with prom and post-prom!!! 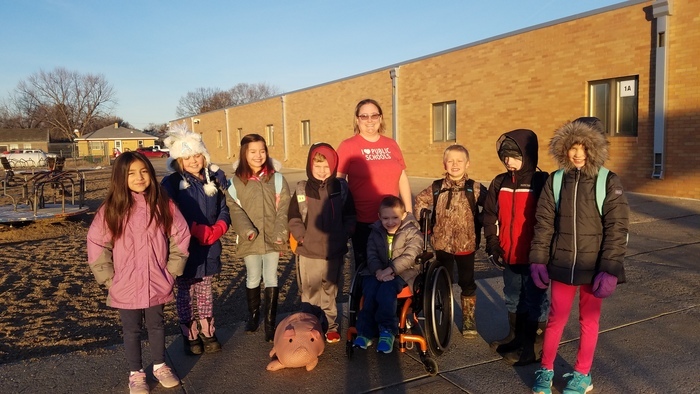 VES students 3rd – 5th grade have RESCHEDULED state testing to begin Tuesday, April 16, 2019. Help your child(ren) be rested and ready to show how they have grown academically. 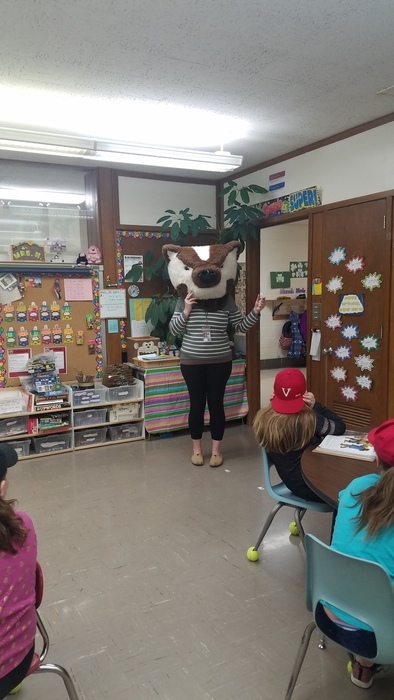 VES students (K-5) are asked to wear Badger clothing on Monday, April 15, for support and pride! Go BADGERS! Mark your calendars and enjoy hot dogs across the ballpark! Join Viaero Wireless on Friday’s through May 3 from 11:30am-2:00pm. Each week will have a different hot dog flavor! Your free will donations will support Valentine’s TeamMates mentoring program. Boys golf in Ainsworth on Monday has been postponed. 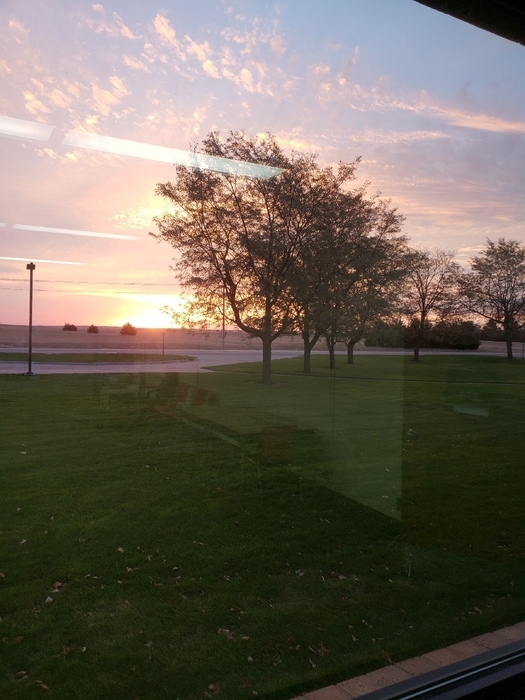 VES, VMS, and VHS plan to start at 10:00 a.m. today, Friday, April 12, 2019. If your family is not able to get in, please notify the school. Due to road conditions and blowing snow we will not be traveling to O’Neill for District Music. 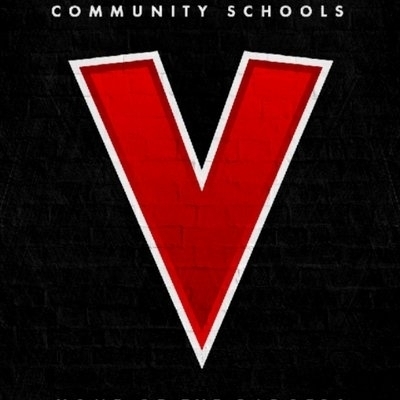 VHS, VMS, and VES will start at 10:00 a.m. on Friday, April 12, 2019. District Band and Choir kids don’t need to be there until 9:30 am to load the bus if we go. The Middle School 8th grade job fair is being cancelled for Friday, April 12. We will look into some possible alternate dates. 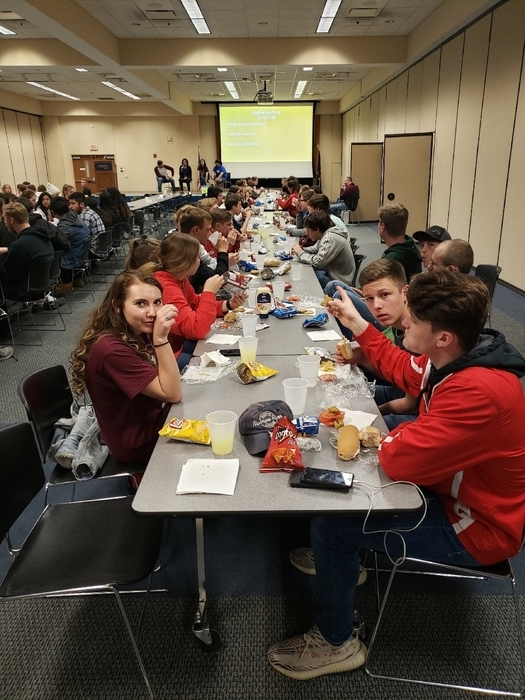 The SWC Quiz Bowl has been moved to Monday April 15th starting at 10:30 a.m. in Ainsworth. District Music - O'Neill is still planning on hosting District Music tomorrow with a later starting time. Valentine will depart at 10:00 a.m. if we have school. Please bring a sack lunch or money for the day. If we start at normal time we will dismiss at 9:00 a.m. to load bus. 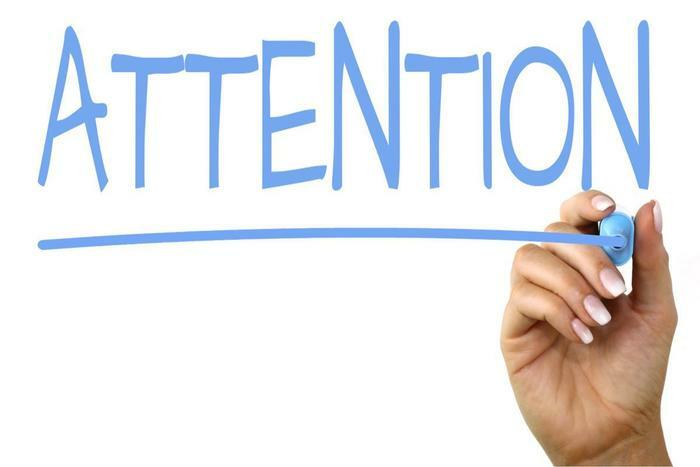 If we have a 10:00 a.m. late start Mr. Fulton is requesting you be there by 9:00 a.m. to load the bus for departure If we don't have school we will not be attending. We will be updating Facebook with the new schedule. Due to weather conditions, there will be no school tomorrow, Thursday April 11, 2019, at VES, VMS, and VHS. Due to forecast of dangerous weather, there will be no school at VES, VMS, or VHS today, Wednesday April 10, 2019. 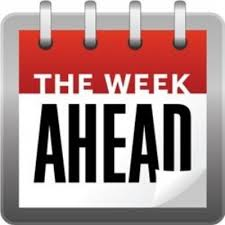 The VCS April Board Meeting scheduled for Wednesday, April 8 has been moved to Monday April 15, 2019 at 5:00 p.m. due to predicted storm for the area. 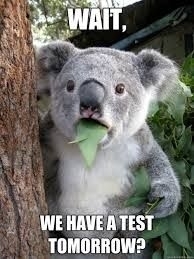 Due to forecasted weather, the 8th grade State Science Test will be tomorrow instead of Thursday. Please get plenty of sleep and have a good breakfast. Tomorrow's SWC Quiz Bowl is being postponed. We are currently working on a date that will work for all eight schools. With the O'Neill HS Track Meet being moved to April 16th we are going to move our HS Spring Concert to April 23rd starting at 7 pm in the Auditorium. The HS track meet in O'Neill Thursday has been postponed until Tuesday April 16th. They will run both the MS and HS at the same time. The meet will start at 9:30 a.m. 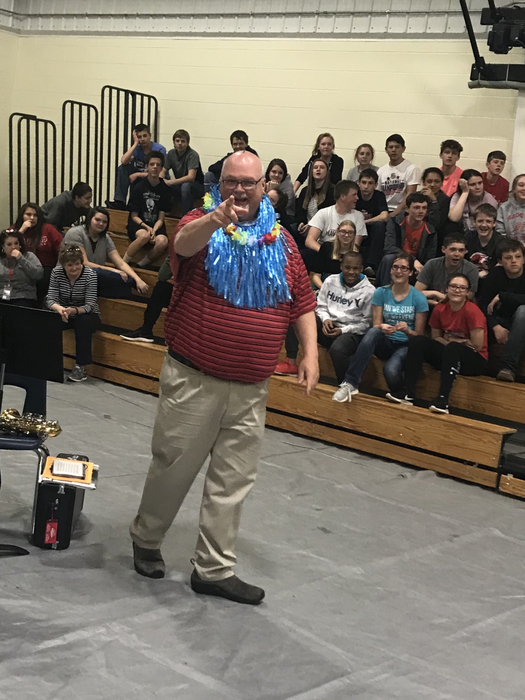 The VMS Student Council put on a tropical pep rally today to get motivated for the upcoming NSCAS State testing! The MS track team will depart at 7:30 a.m. tomorrow. We originally had them scheduled to leave at 7:00 a.m. 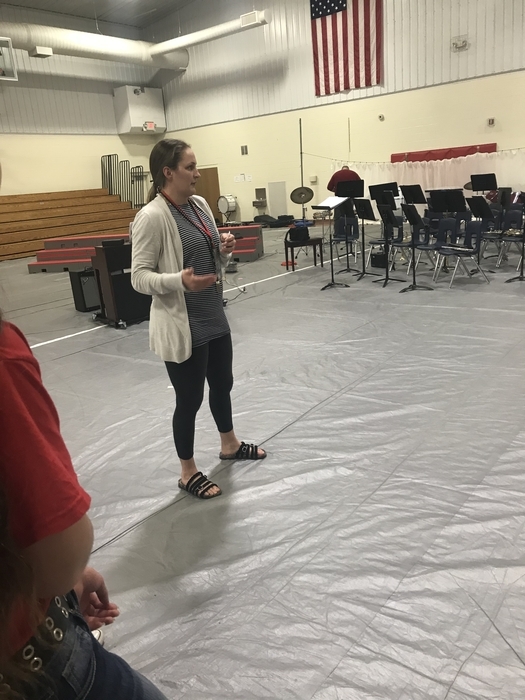 The final concert for the elementary took place last week. 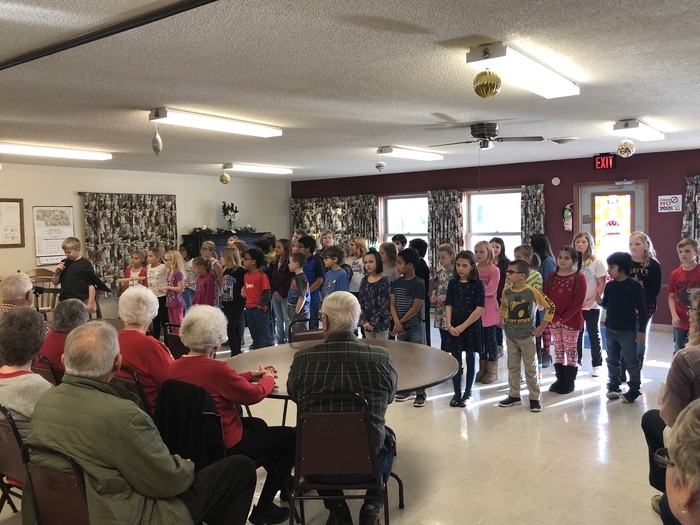 The 2nd grade class performed a number of songs for Cherry Hills as well as many parents. 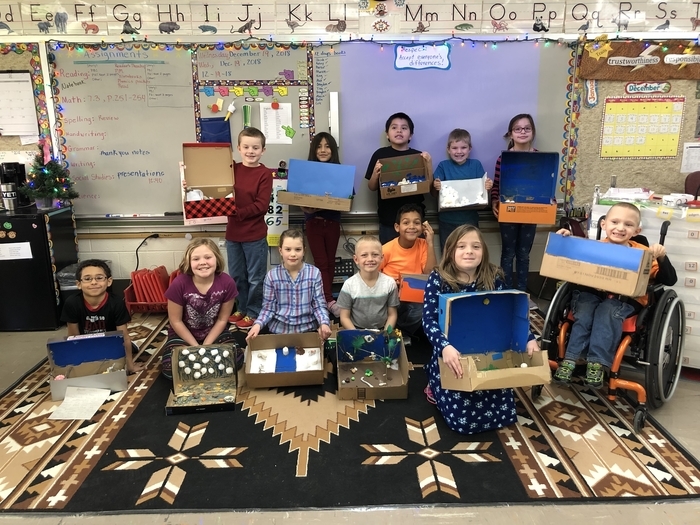 Great work, 2nd grade students and Mrs. McQuistan! 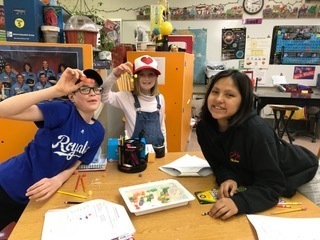 2C science class investigated how to make a strong tower out of notecards and paper clips. 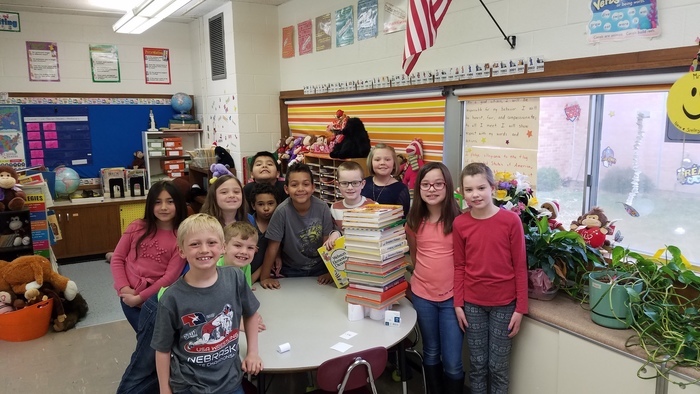 Our strong tower held up 17 big books! 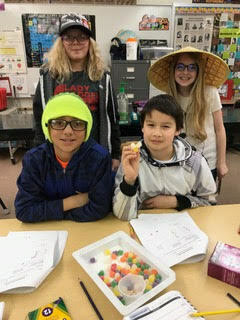 Mrs. K. has our 5th graders tapping into their creative side! The Valentine Children and Families Committee is gathering information on services that are available for our youth and information on what areas we need further support in. If you haven't already, please take the time to provide your input through the survey link below. 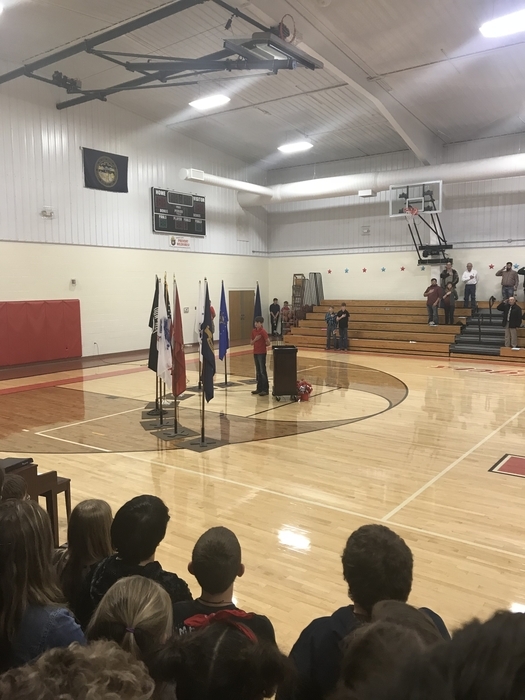 This information is being gathered through our committee and the Nebraska Children and Families Foundation. Once the information is collected, a community meeting will be held to share the results and develop action plans. Your input is valuable and we would like for you voice to be heard. Thank you! Survey link: https://www.surveymonkey.com/r/CherryCo Please share on your personal page to help us get input! The Hershey Golf Invite on April 11th has been moved to April 9th due to the weather forecast. We will send our Varsity team to Hershey (Oregon Trails Golf Club in Sutherland) and our JV team will still be hosting a triangular at 4 pm on Tuesday at Frederick Peak. NSCAS (state) testing will begin next week at VES for our 3rd-5th graders. 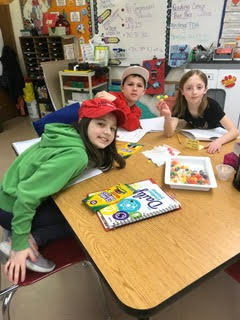 As we posted earlier this week, it is important that students are getting a good night's rest and eat a healthy breakfast the morning of a test. It is important that they are here on these test dates barring any extreme illness. Attached is the schedule for VES NSCAS testing. 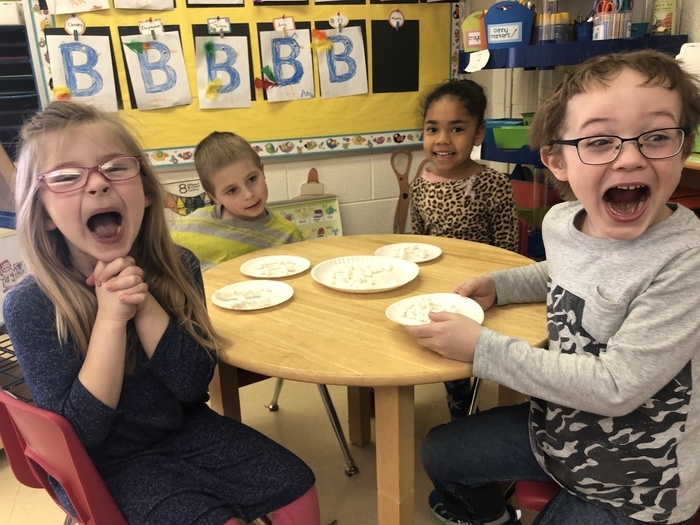 Here's to seeing the growth our students have shown this school year! Encourage your child to put forth their best effort on these tests to show how they've grown! The HS track team will be departing at 8:30 a.m. tomorrow morning. 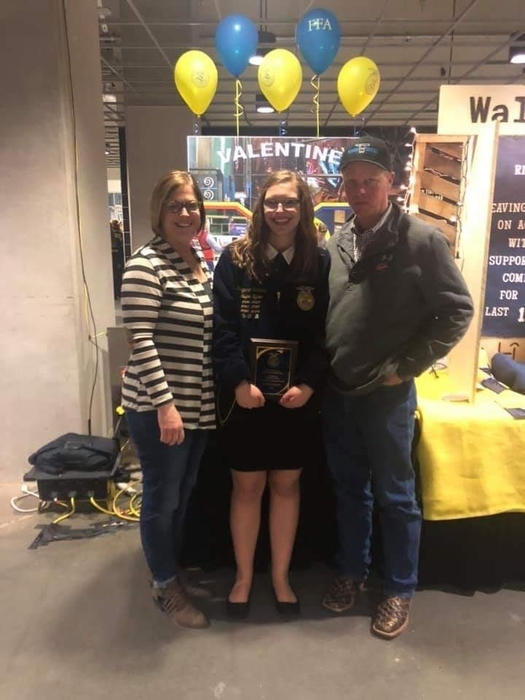 The original time was 7:30 a.m.
CONGRATULATIONS TO: Reganne Shrunk on placing 3rd in health and human resarch at the state FFA convention! And to Ms. Epke on and honarary state degree! 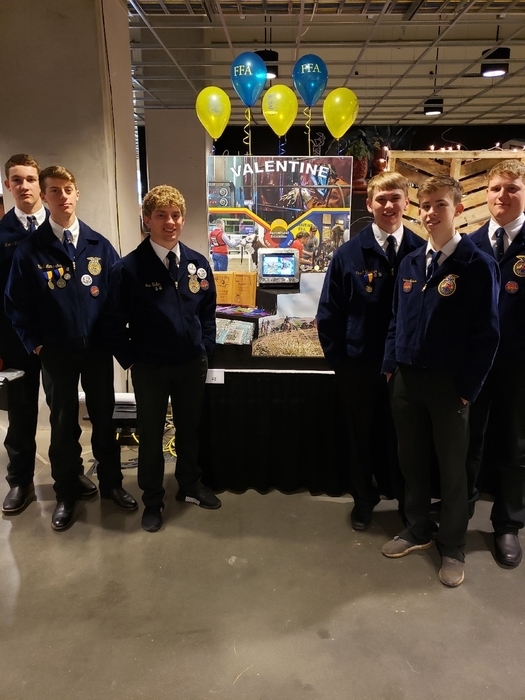 CONGRATULATIONS TO OUR FFA STATE FINALISTS Agriscience Fair Finalists: Fletcher Larsen Faith Cox & Logan Cate Jayce Anderson & Morgan McGinley Tagg Buechle & Hayes Hammond Holden Mundorf & Gunnar Battershaw CONGRATULATIONS TO THE FOLLOWING TOP 10 FINISHERS: Fletcher Larsen, Ag Communications Brody Benson, Ag Communications They will all be recognized tomorrow! 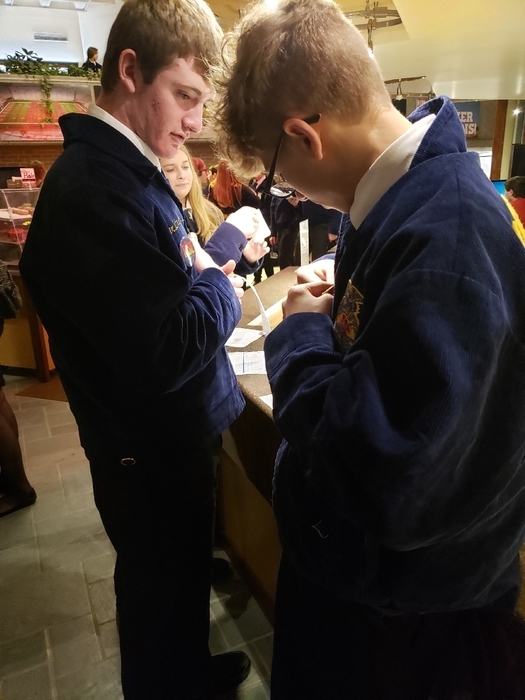 STATE FFA DAY 2 A lot of events left, Agriscience team is ready to go! 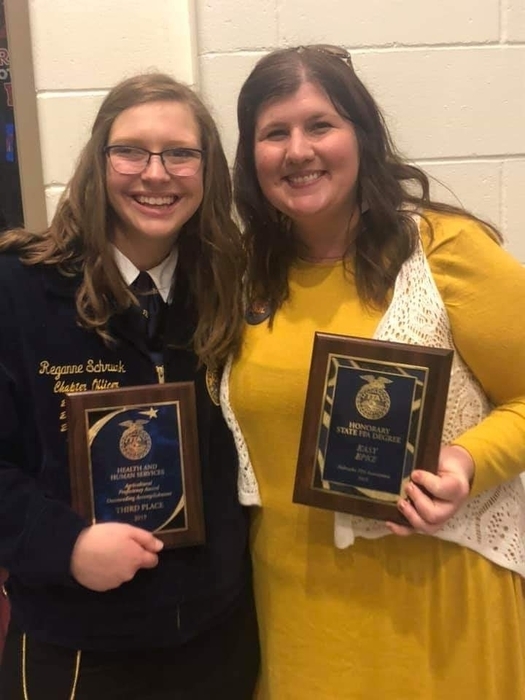 CONGRATULATIONS TO OUR FFA STATE FINALISTS Agriscience Fair Finalists: Fletcher Larsen Faith Cox & Logan Cate Jayce Anderson & Morgan McGinley Tagg Buechle & Hayes Hammond They will be recognized on stage Friday Morning! 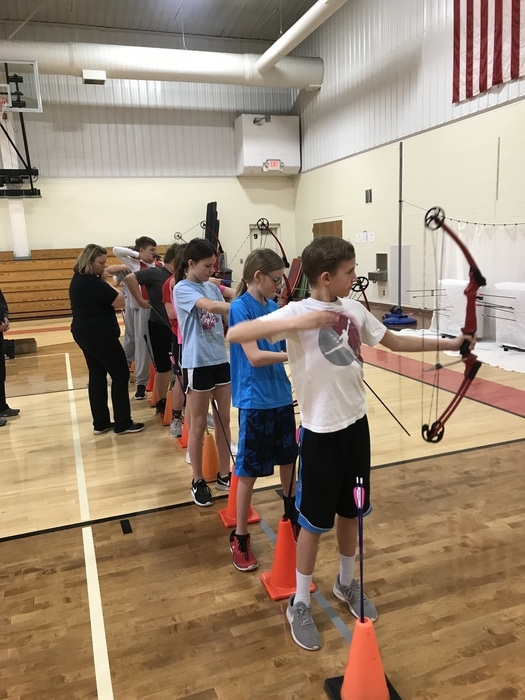 Indoor archery incorporated into the VMS physical education classes. 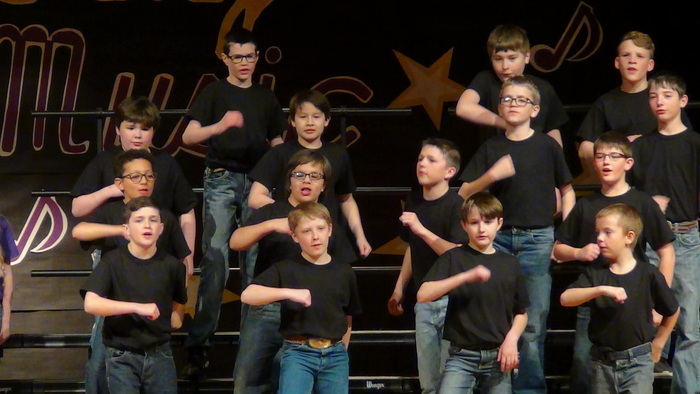 The VMS Music Concert will be held on Monday, April 8 @ 7:00pm in the Middle School Gym. 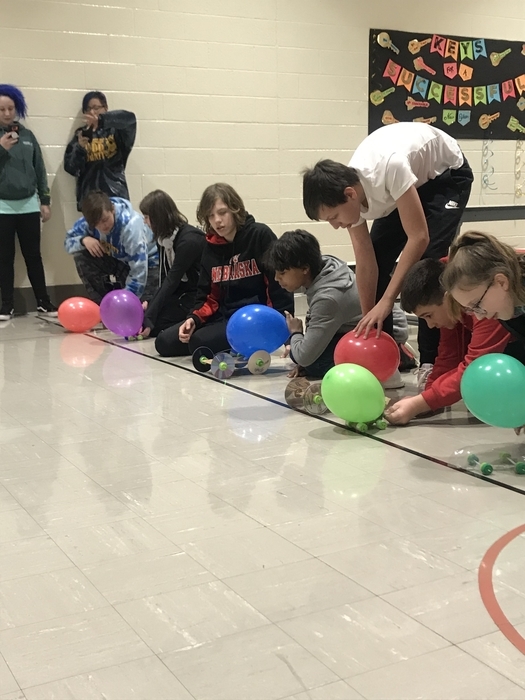 7th Grade STEAM Class Marble Challenge The challenge is for the marble to run for at least 30 seconds. The golf triangular at Ainsworth has been rescheduled to 4/15 starting at 1 pm. STATE FFA is under way! 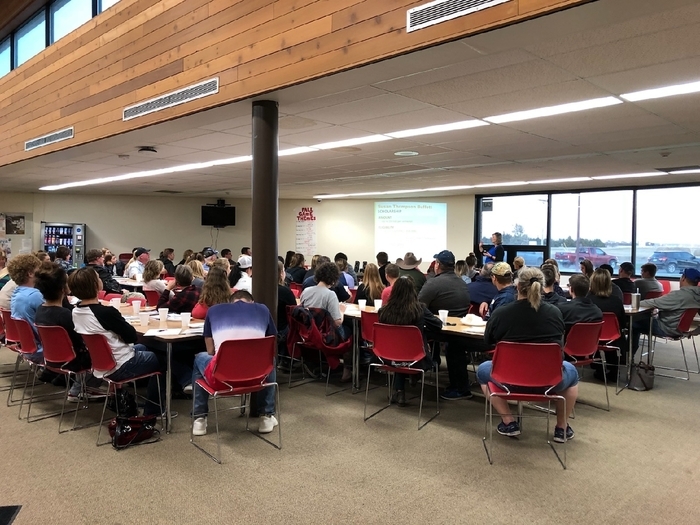 Nearly 50 students representing Valentines FFA Chapter will be competing in Lincoln the next three days. 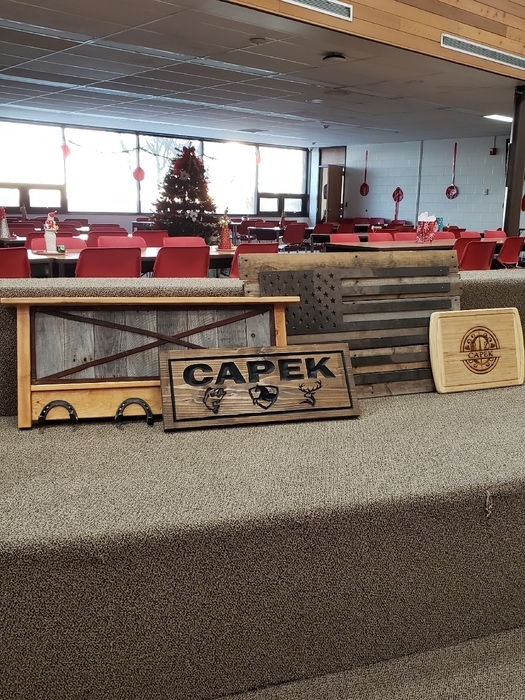 This is a display made in the Hall of Chapters that represents Valentine. A big thank you to Runza and also all who supported our fundraiser yesterday. We appreciate you supporting our local TeamMates Mentoring Program! The golf dual on April 9th is now with Gordon/Rushville rather than Ainsworth. It will start at 4 pm. 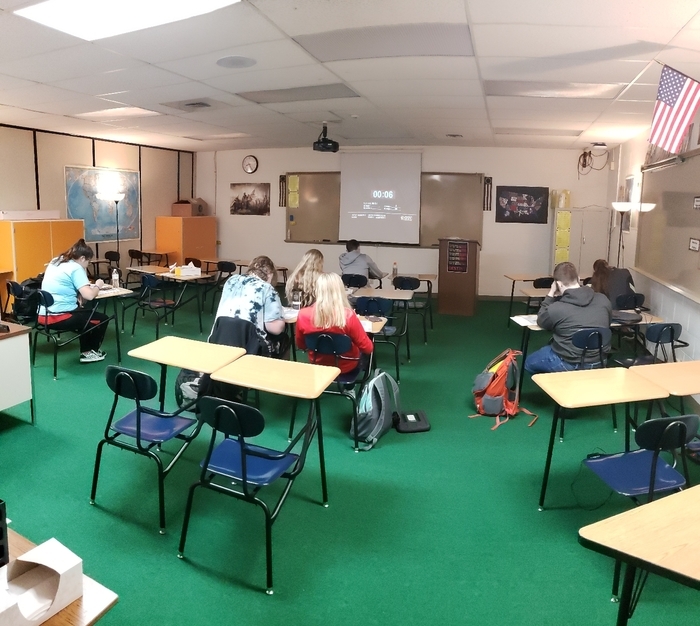 We are focusing on putting for our best effort as staff and students as we gear up for state testing and the end of the year. 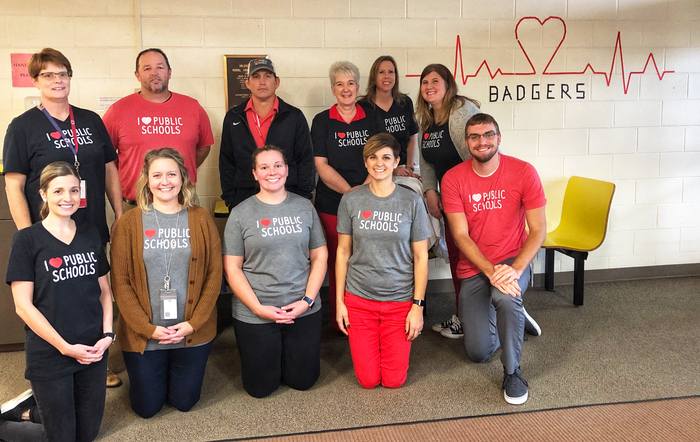 We had a record number of badger paws come through the office, and pictured are some of our students who earned one last week. Good work, Badgers! 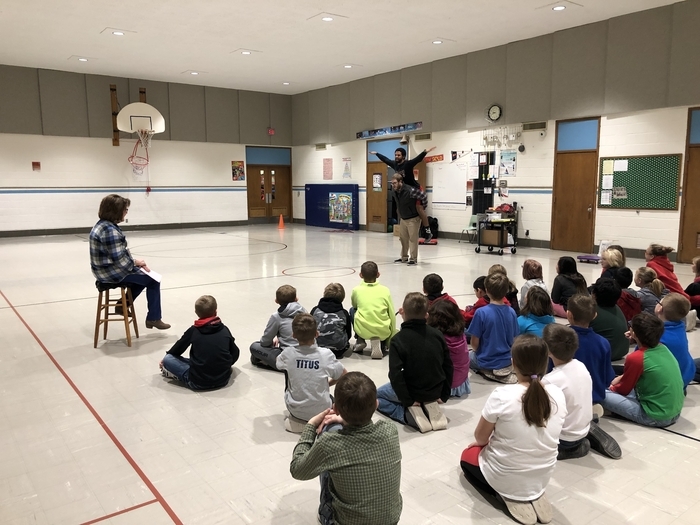 We had some good ole fashioned fun on April Fools Day today at VES, but we like to have fun on other days besides April 1. 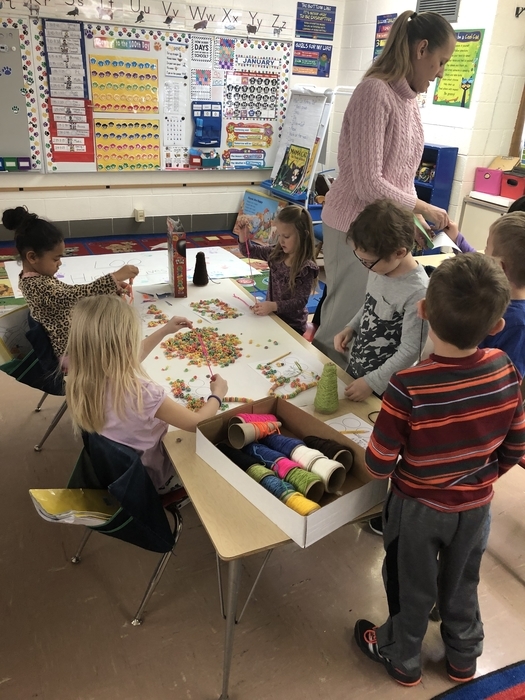 Pictured are kindergartners completing a tough connect the dots (magnifying glasses needed) per student request, continued 5th grade "salutations" fun, reading buddies, and a Badger head for hat day. 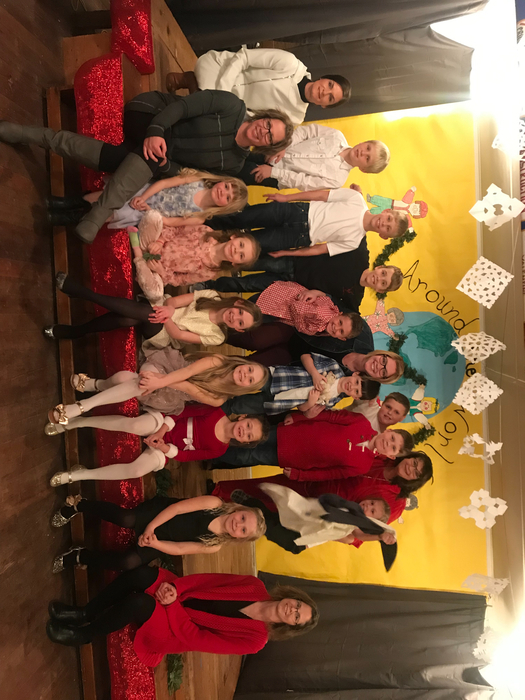 On Thursday, March 28, the VES 5th Grade class treated the school and then later parents and the community to a fantastic musical. 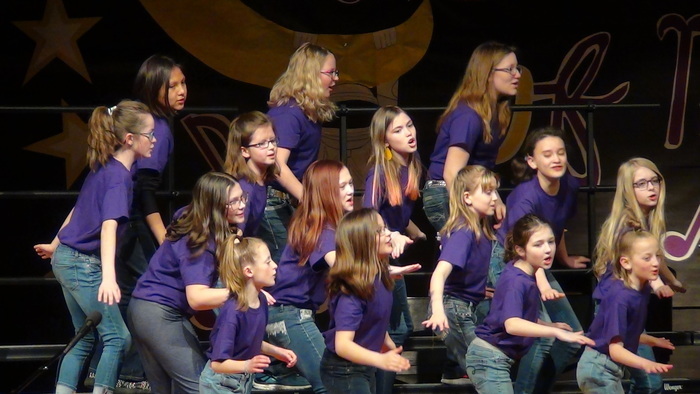 There was incredible singing, dancing, and overall performing; they captivated the crowd! A special shoutout to Mrs. McQuistan for all of her hard work and inspiration! Thanks to all other staff involved in helping put on this special performance. ACT TESTING FOR JUNIORS TOMORROW, April 2. Juniors are required to be at school by 7:30am tomorrow. Please encourage your student to get plenty of sleep tonight. They will be fed breakfast at school as well as a snack at break. Testing will be finished between 1-1:30. Wow! What a generous community we have. 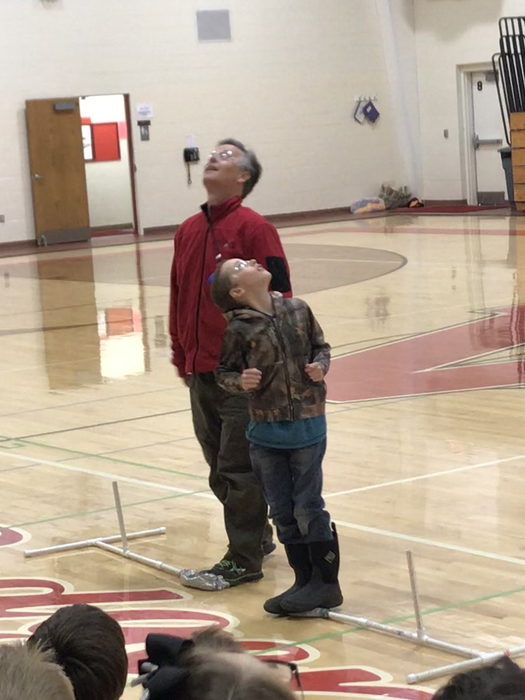 Our students and staff raised $3,809 last week for flood relief. All donations will go to the NRCSA-NCSA Disaster Relief Fund, which will benefit schools that were affected by the tragic flooding in NE. Way to go, Badgers! 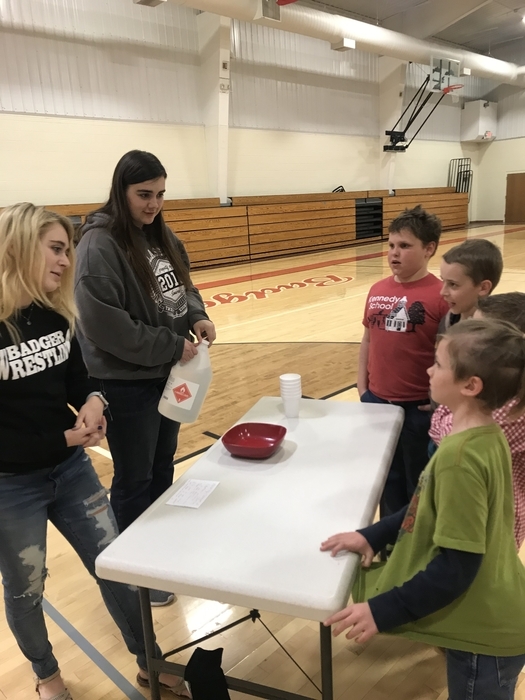 VHS Chemistry Students Miss Epke‘s chemistry students performed chemical demonstrations for the rural students at their science day. 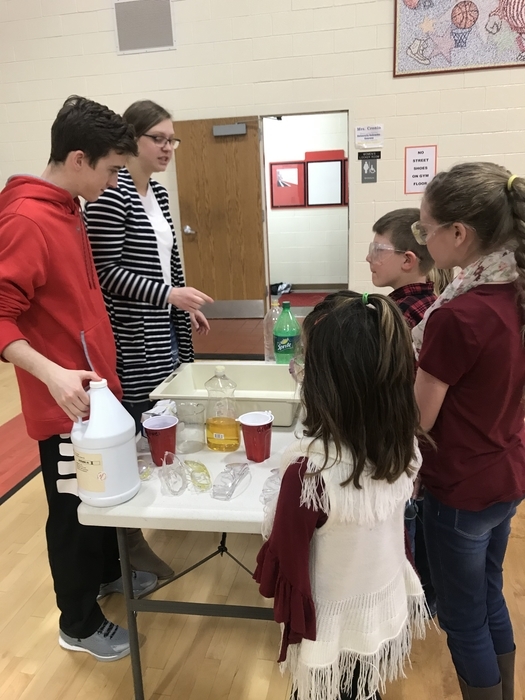 Rural School Science Day The Rural Schools met at the Valentine Middle School gym to present their science fair projects in the morning and in the afternoon Edgerton Explorit Center was here to conduct demonstrations on space flight and set up a planetarium for students. DID YOU KNOW? 69 Valentine High School students are enrolled in 405 college credit hours...for free! Thanks to the teachers who make this possible as well as Mid-Plains Community College for their support. 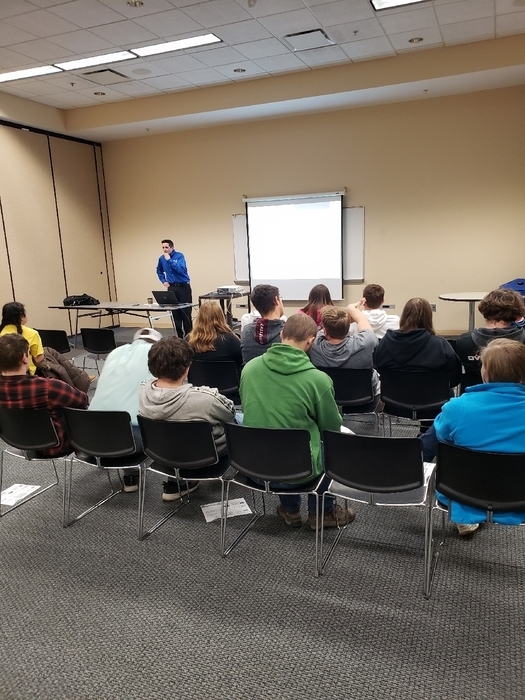 It was a great day for our seniors at UNK Adulting workshop. 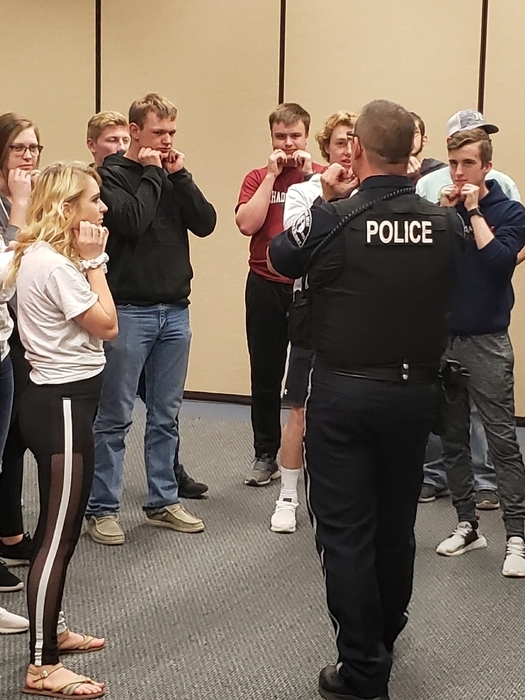 Students were able to learn many life skills that included self-defense, buying a home, budgeting, doing laundry, mental health and what to expect their first year in college. This is a reminder that if you're a parent, guardian, grandparent, friend, etc. of a 5th grade student, tonight is their music concert. It's at 7 pm and located in the auditorium at the HS! They've worked really hard preparing for this; we hope to see you there! 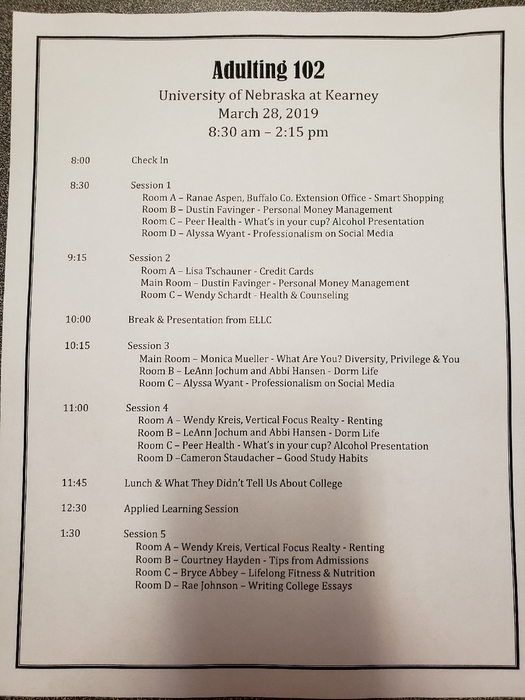 ADULTING 101/102 Seniors just arrived at UNK for the Adulting workshop today. 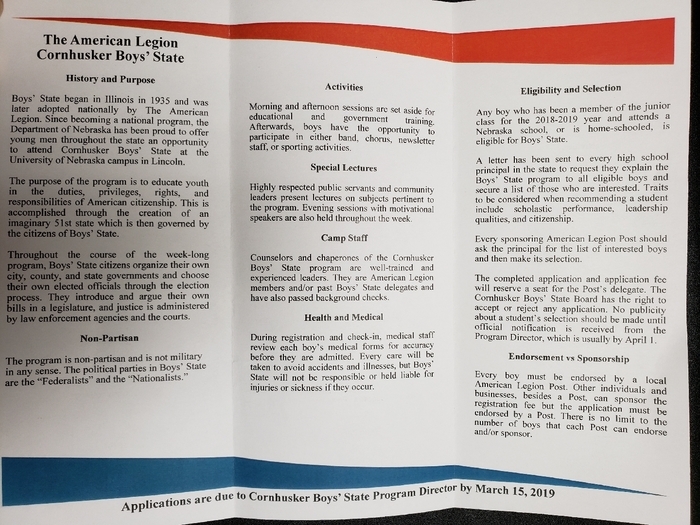 Here are the sessions they will get to choose from. It should be a great experience for them. Congrats to Mataya Eklund who was selected 3rd Team All Conference by the SWC Coaches. The boys golf team will be traveling to Stapleton on Thursday for a tournament. They will start teeing off at 10 am. 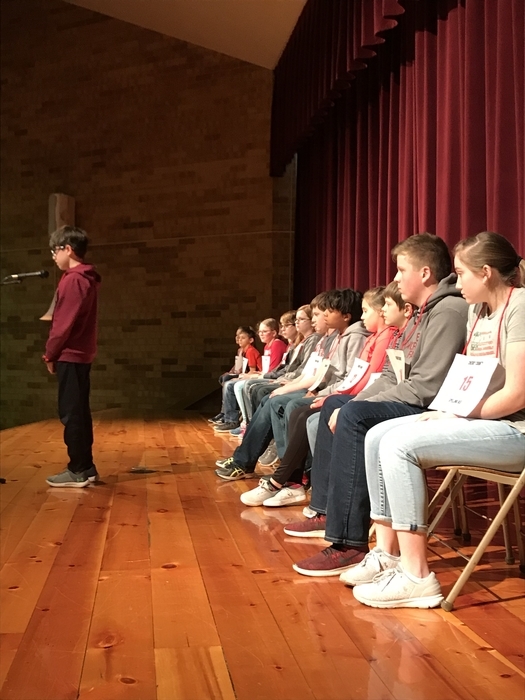 Congratulations to the following VMS students on their win at the Ainsworth Dual Quiz Bowl yesterday: Jack Lancaster, Taylor Battershaw, Grant Boes, Sadi Osnes, Doc Lancaster, and Cadence Swanson. Ok, VMS and VHS, challenge accepted. 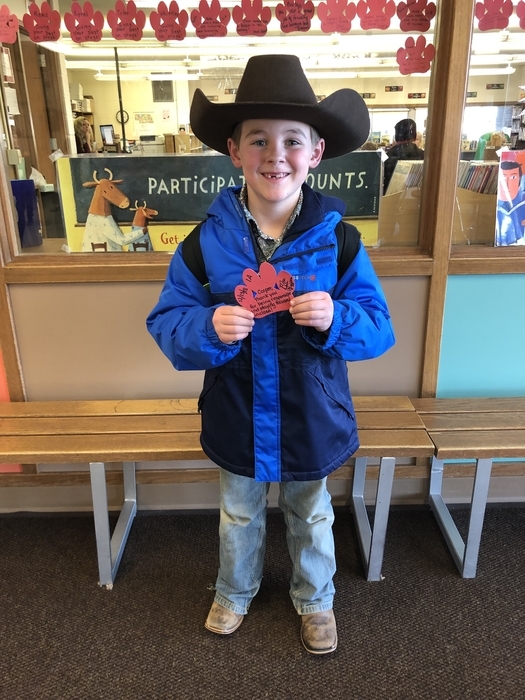 From Wednesday, March 27-Friday, March 29, VES students and staff can wear a hat to school each day for $1 a day. Let’s have some fun while also raising money for those affected by the flooding! Bring your $ to your homeroom teacher. 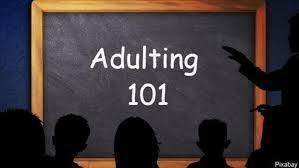 On Thursday, March 28th, seniors will be attending Adulting 102 in Kearney, at UNK. Seniors will be able to choose different sessions that they want to attend. 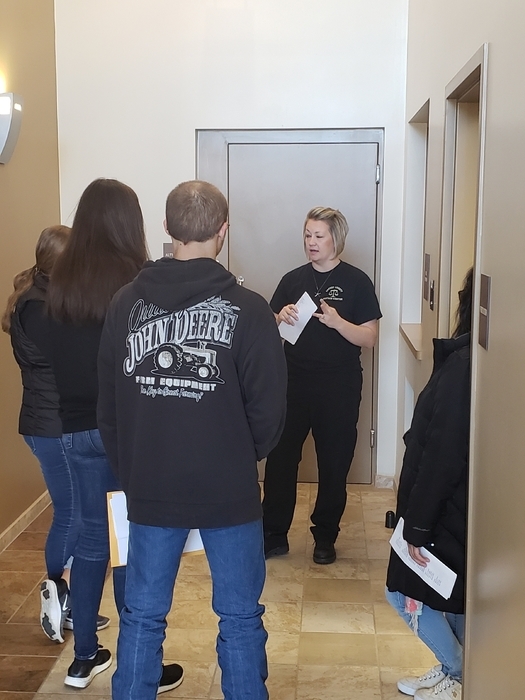 Some examples of their choices may be: smart shopping, personal money management, peer health, professionalism on social media, credit cards, residence life, student health and counseling, renting, self-defense, laundry, car maintenance, yoga, and dorm fitness. We will be departing at 4:30 am and plan to return by 6 pm. 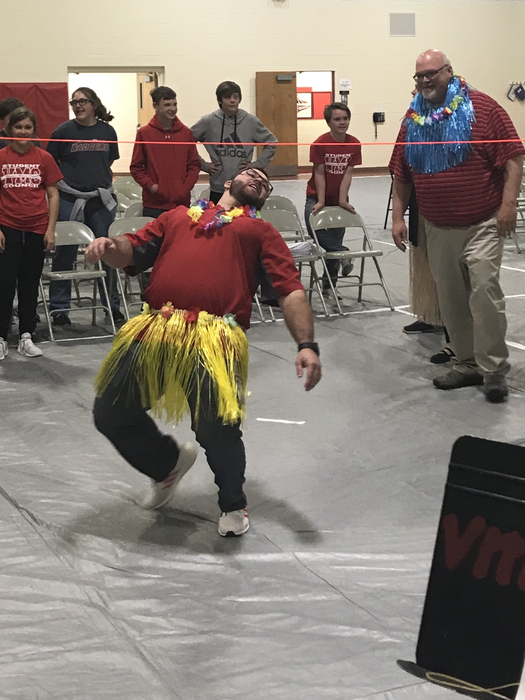 VMS will be challenging the high school and elementary school in a fundraising effort for flood relief. Students/staff can wear a hat to school for $1 per day on Wednesday -Friday (March 27-29). 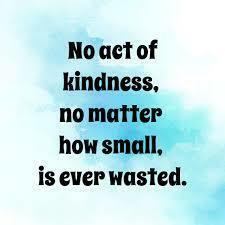 Let the challenge begin while helping others in need! Due to course conditions the boys golf events this week in Ainsworth have been postponed. Once the courses get in playable shape we will start working on dates to reschedule these events. 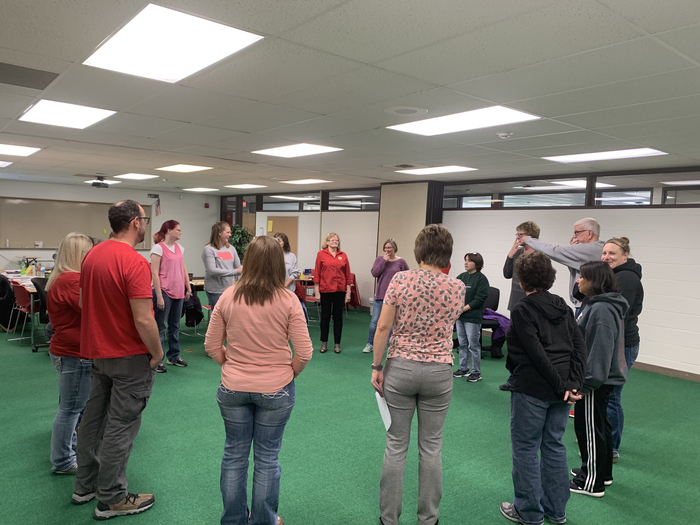 The past few weeks, VES has been focusing on students listening and following directions from all adults. 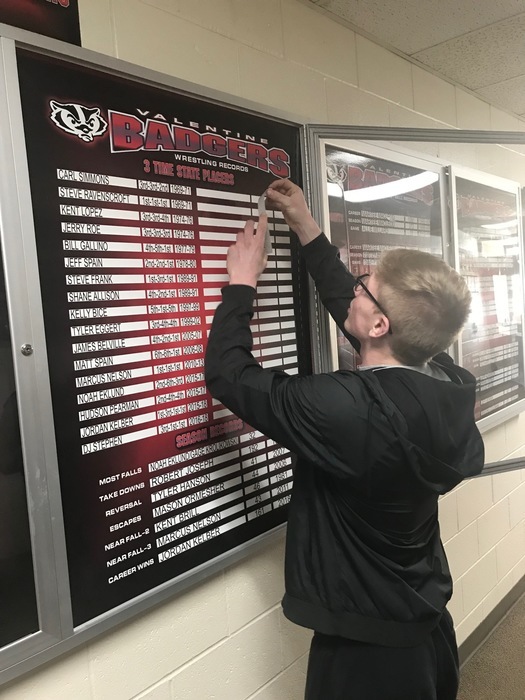 Here are all those who earned a badger paw or positive office visit the last two weeks. Way to go, Badgers! We will now be focusing on students giving their best effort as we prepare for NSCAS testing in the coming weeks! 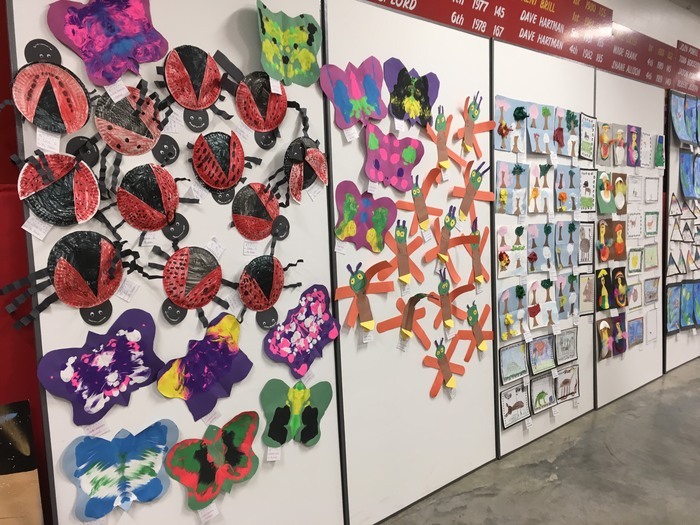 Our kindergartners have been busy as bees learning about insects! Don’t forget Speech team sendoff today. Performances will be at approximately 1:50 with sendoff right after! 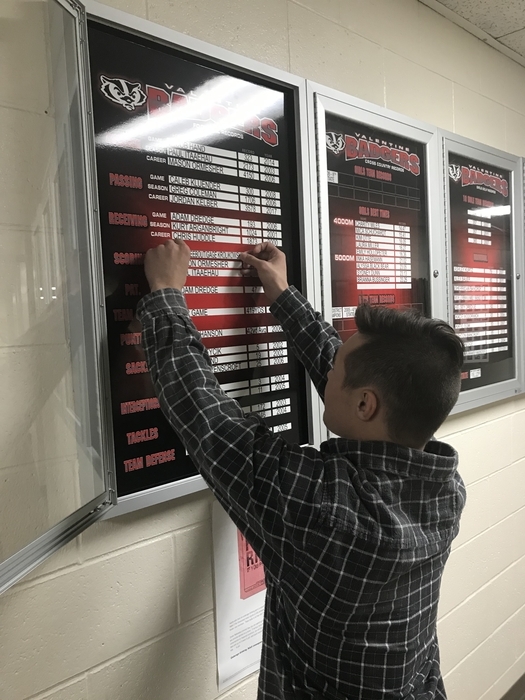 Chris Williams updating the record board. Chris broke the record for most 3 pt nearfalls with 48! Congrats Chris!! 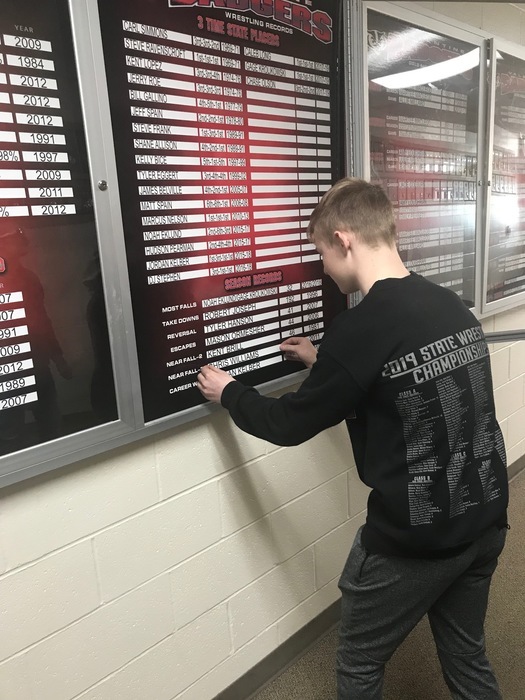 Chase Olson adding his name to the record board for being a 3 time state placer for wrestling! Congrats Chase! 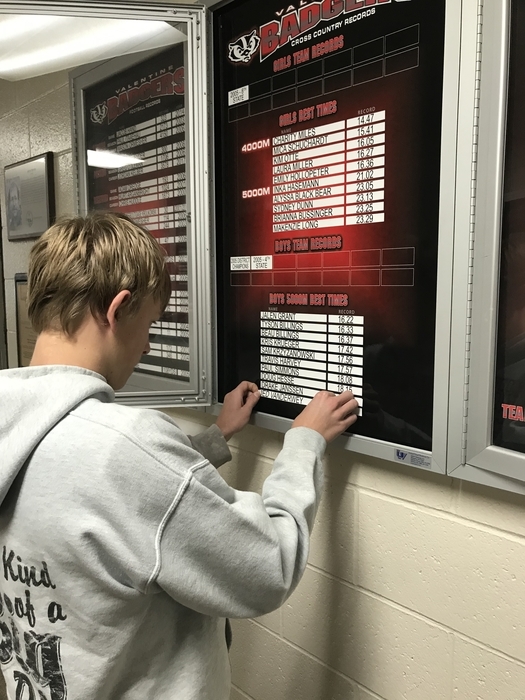 Gage Krolikowski adding his name to the record board for being a 3 time state placer for wrestling! 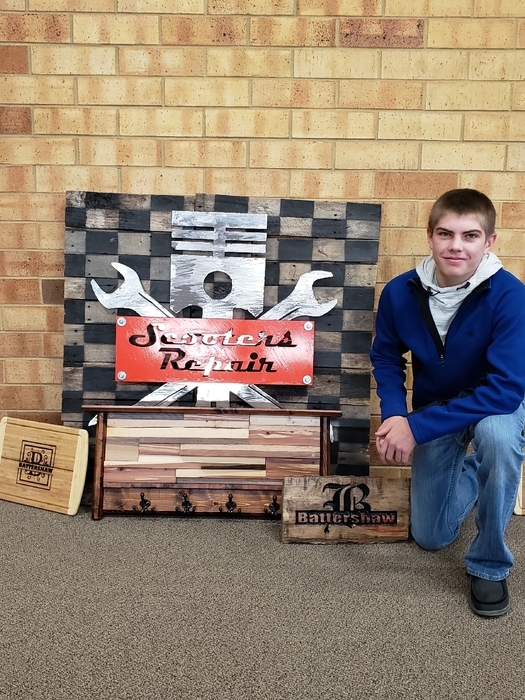 Congrats Gage! 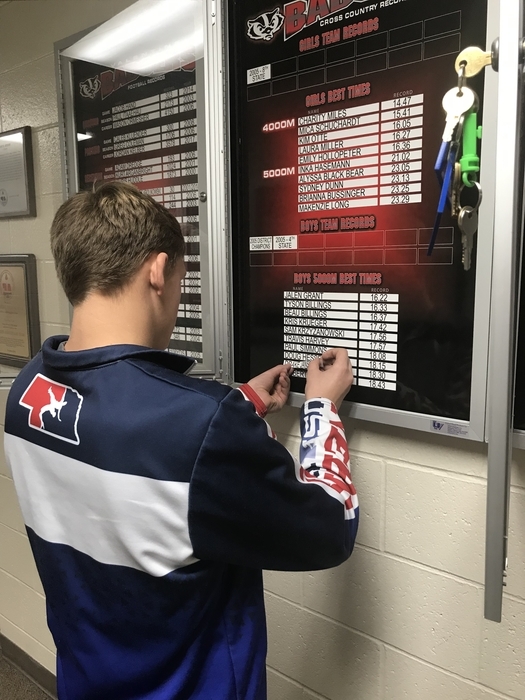 Caleb Long adding his name to the record board for being a 3 time state placer for wrestling! Congrats Caleb!! 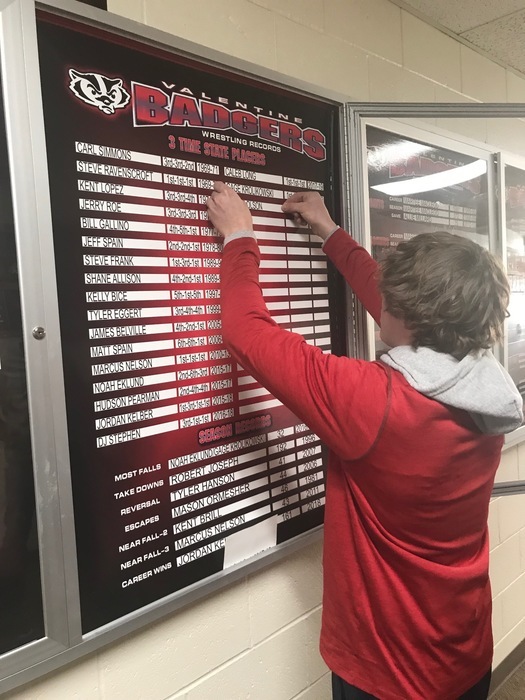 Nathan Flannery updating the record board! Nathan tied the record for most rebounds in a game with 21!! Congrats Nathan!! The Badger Speech Team will be doing a send off for our Stare Qualifiers on Wednesday at 1:45. 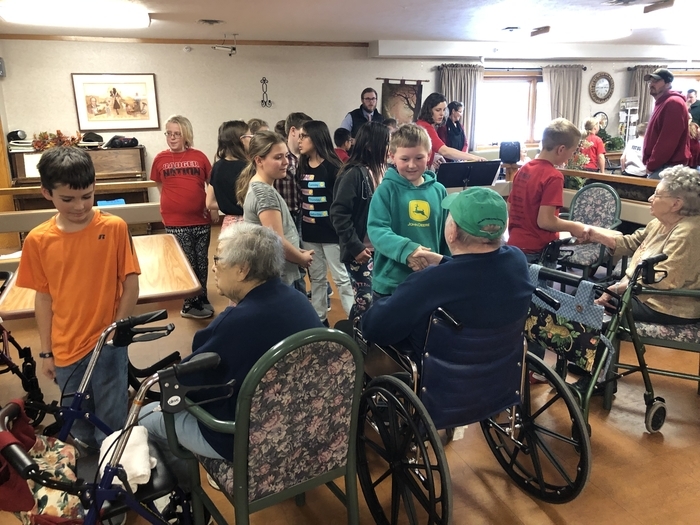 Students will perform their event and then be escorted through town by the Fire Department. Come support our 5 qualifiers!! 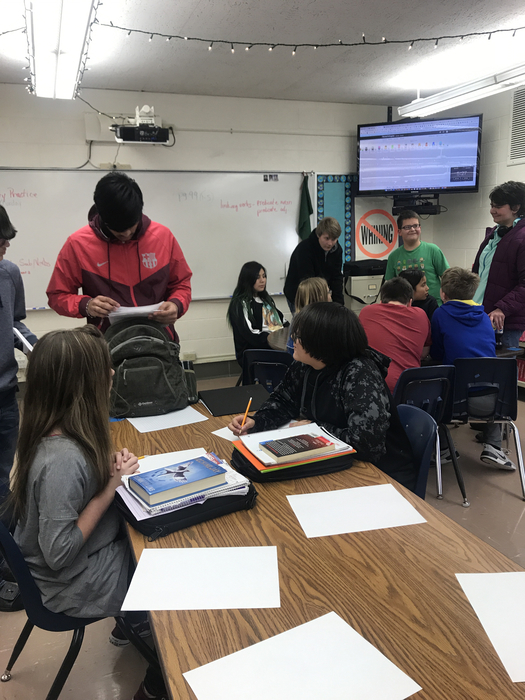 The 8th graders will be having a career fair, in which they will be doing mock interviews and potentially real interviews (for businesses that hire at 14 years of age). 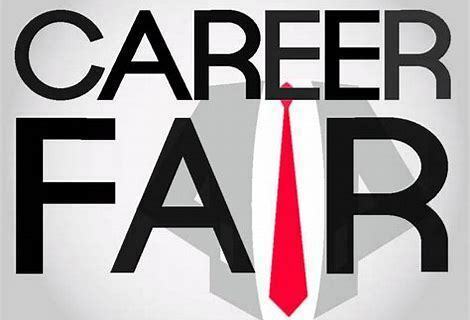 The career fair is scheduled for the afternoon of Friday, April 12 at VMS. We have several people from local businesses who have already committed to interviewing students, but are looking for more. 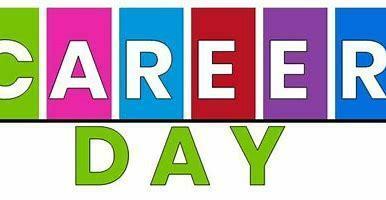 Please contact the Middle School at 402-376-3367 if you are willing to be a part of our 2019 career fair! 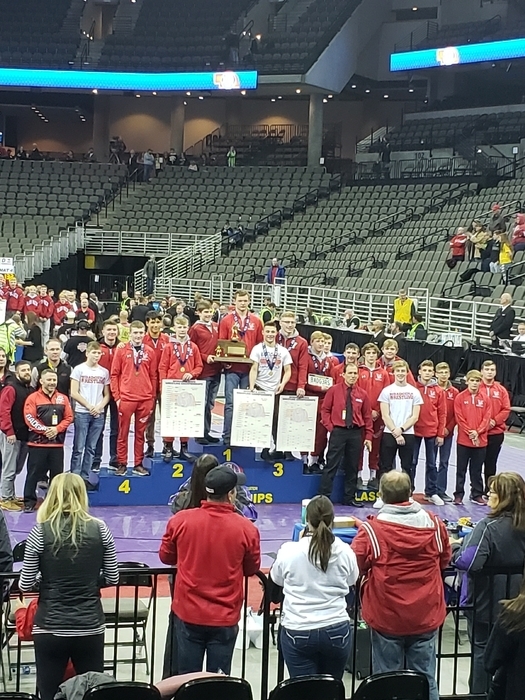 The ceremony for the hanging of the State Championship Wrestling Banner will be on Monday March 25th @ 7 pm in the high school gym. 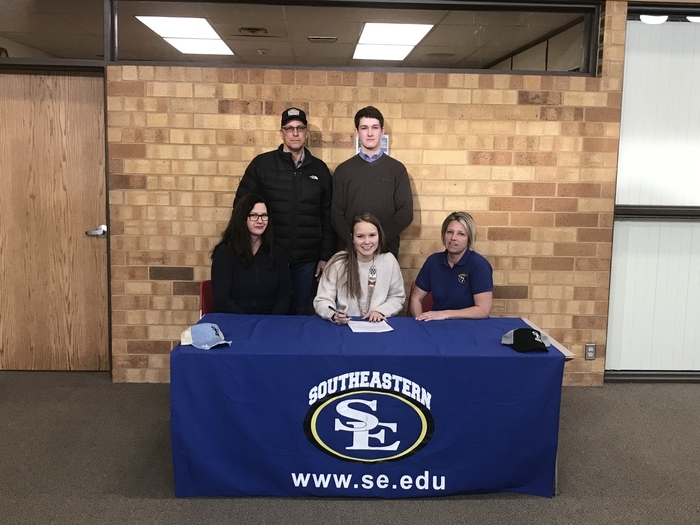 Congrats to Bailey Witt for signing with Southeastern Oklahoma State University to rodeo! Due to the weather, road conditions and flooding in areas the SWC has decided to cancel the Art and Music Festival scheduled for tomorrow and Saturday. We appreciate all the time and energy many people put into preparing for this event. We discussed other dates but we couldn't find one that would work due to different events for all the schools involved. 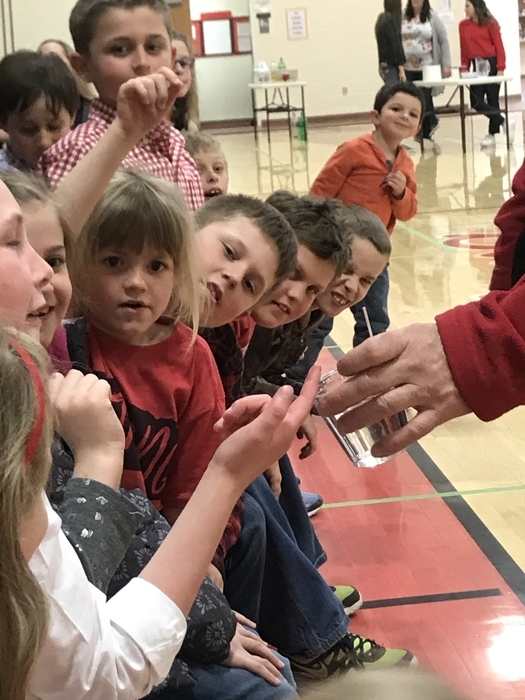 No school Thursday for Valentine Rural Schools. 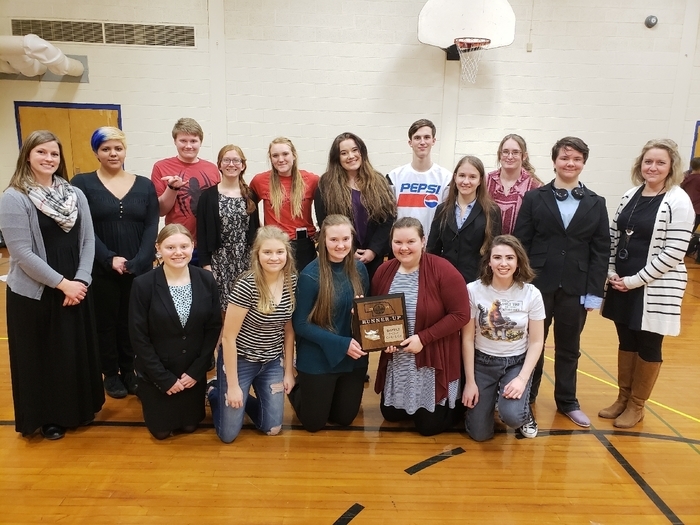 CONGRATULATIONS TO YOUR DISTRICT RUNNER UP VALENTINE BADGER SPEECH TEAM! 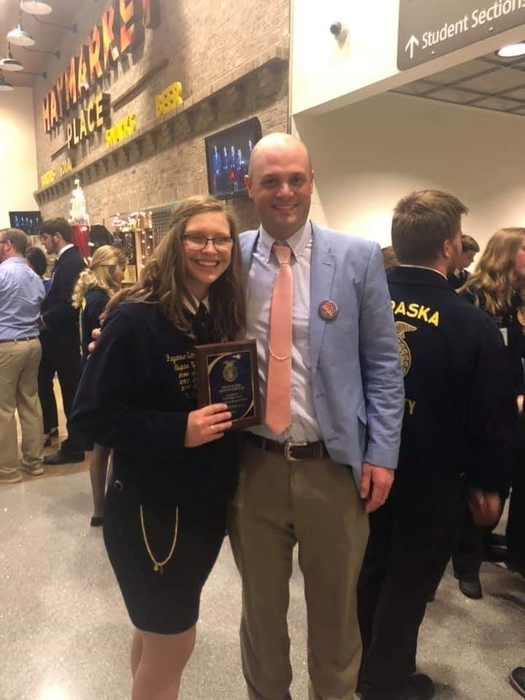 The following speech participants qualified for the state speech meet in Kearney: Entertainment- Grace Woodraska- CHAMPION Entertainment- Calvin stoeger- Runner-up Serious Prose- Rita Woodraska- Runner-up Poetry- Elli Spinger- Runner-up Duet Acting- Kaylee Vavra/Calvin Stoeger- 3rd Place Great job by all! Good luck at state! CONGRATULATIONS to the following for making District Speech finals!! 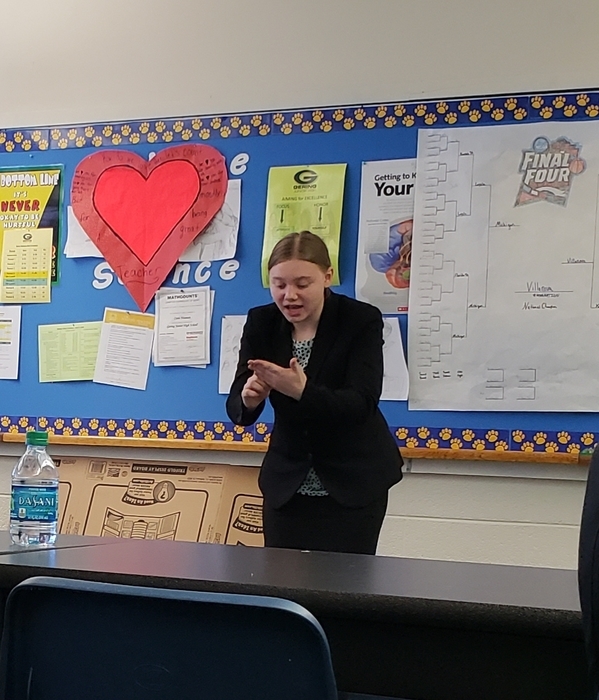 Duet- Calvin Stoeger/Kaylee Vavra Entertainment- Grace Woodraska & Calvin Stoeger Extemporaneous- Elli Springer & Shyanne Urbin Humerous- Lindsey Boes Poetry- Kaylee Vavra & Elli Springer Serious- Rita Woodraska Persuasive- Mercy Maunu & Audrey Brawner That's 11 finalists in 7 events! Keep it going Badgers! 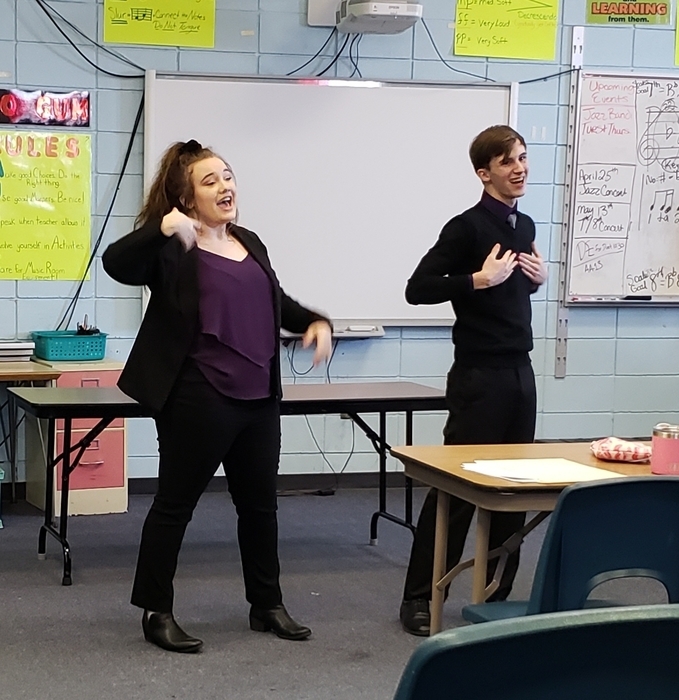 The speech team is in Gering today at the District Speech competition. Go Badgers!! 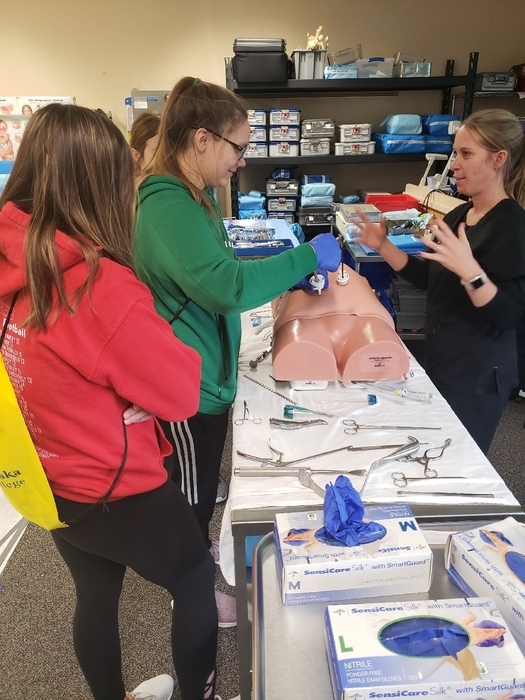 The 8th grade College Campus Career Day to Norfolk at Northeast Community College that was scheduled for this Wednesday has been rescheduled to May 1 due to the predicted upcoming weather forecast. 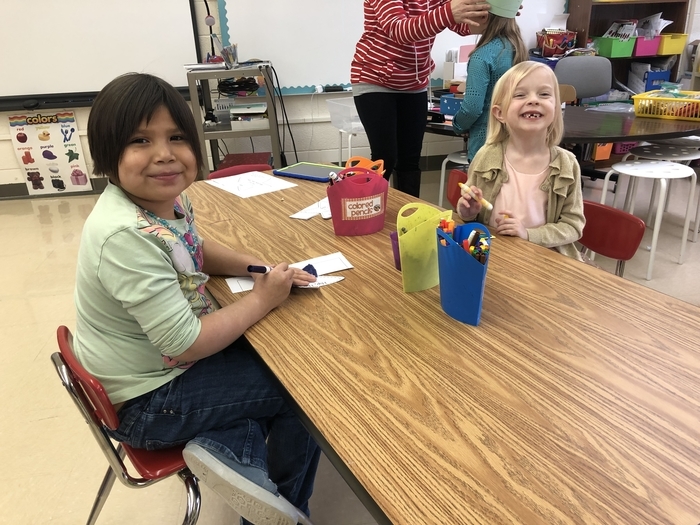 Muffins with Mom was so much fun! Thank you Lunchtime Solutions and our fabulous ladies for putting this on. Tomorrow is Donuts with Dad starting at 7:50 am! 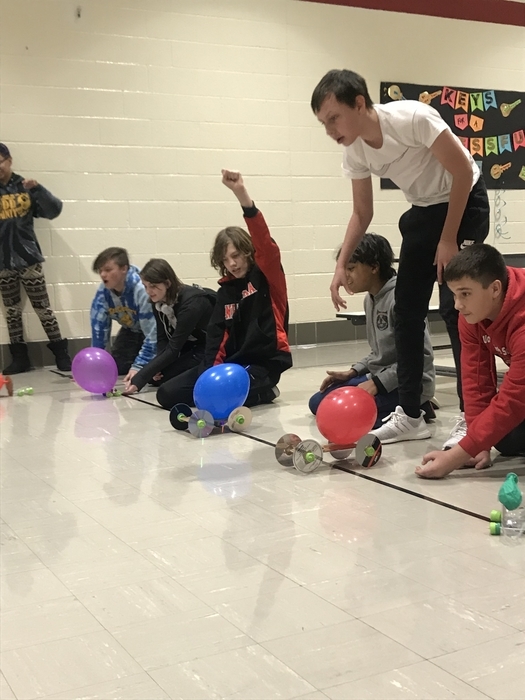 Mrs. Tinant’s 7th grade STEAM Class created balloon cars that had to travel at least five feet. Good luck students! 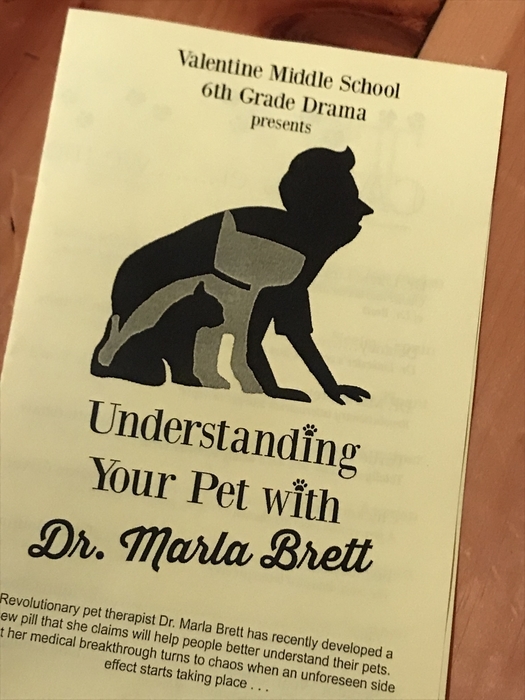 The 6th Grade Drama Students presented Understanding Your Pet with Dr. Marla Brett this afternoon for the middle school, 4th, and 5th grade students and staff. The public performance will be tonight at 7:00 in the high school auditorium. The middle school P.E. 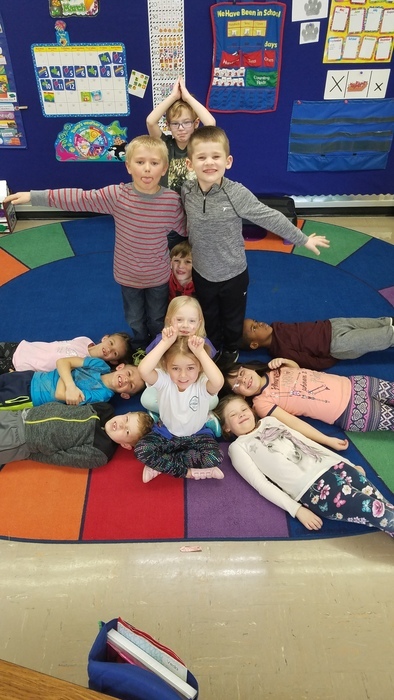 classes have been working on a dance unit. 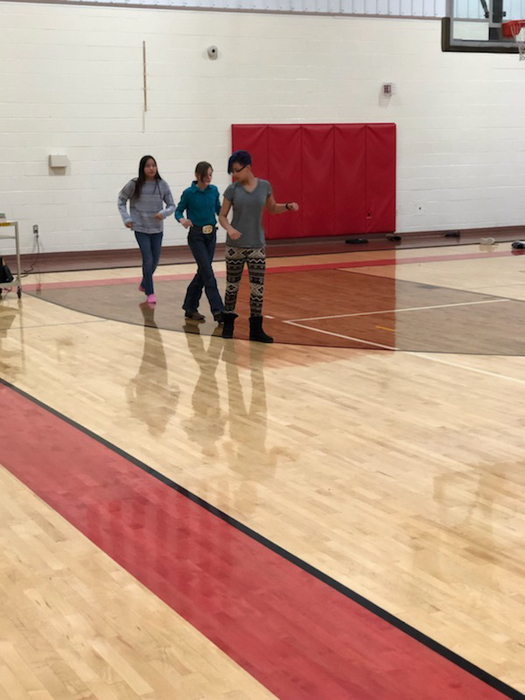 The students selected music, created a routine of their own and then taught it to the other students in class. 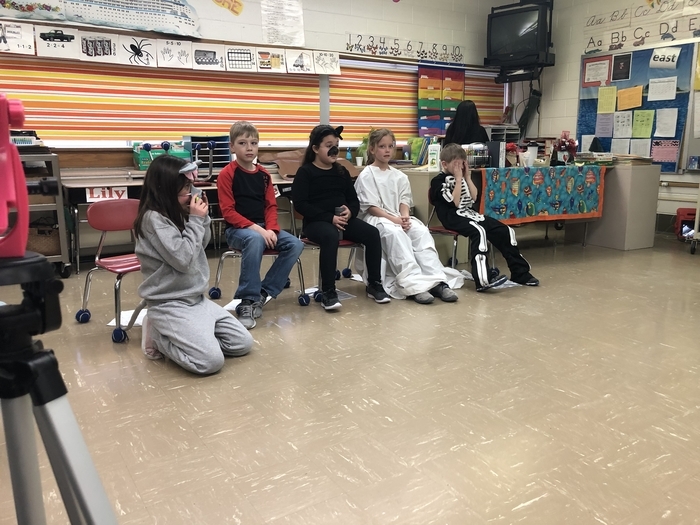 2A Reader’s Theater was a hit. Thanks to all the family and friends who attended. 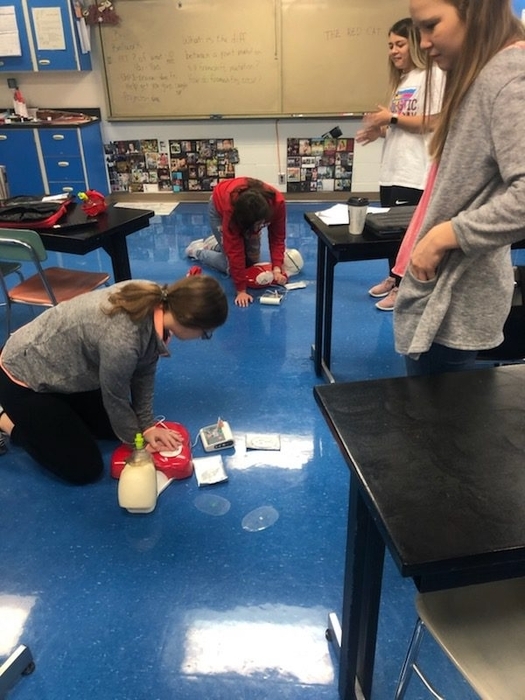 Great job, students! 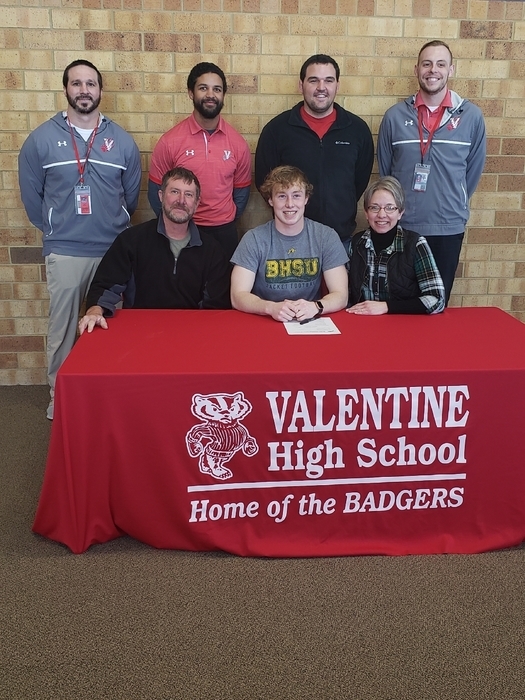 Congratulations to Lane McGinley for signing with Black Hills State University. Lane will be playing football for the Yellow Jackets! 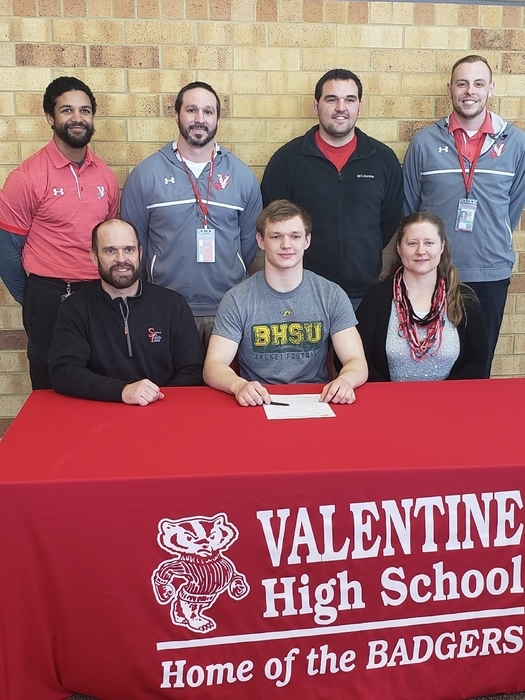 Congratulations to Devin Osnes for signing with Black Hills State University. Devin will be playing football for the Yellow Jackets! 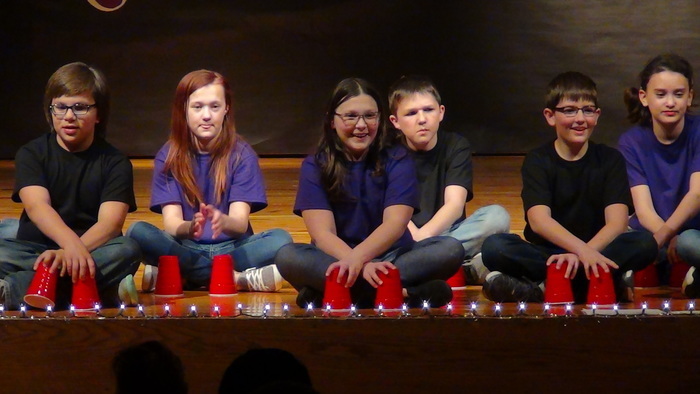 The middle school students will ride buses to the high school on Tuesday at 2:00 p.m. to watch the 6th grade play. 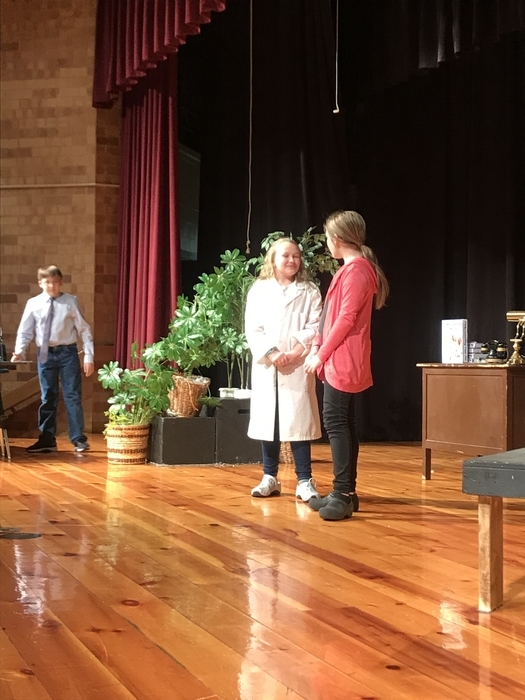 After the play they will RETURN to the middle school to be dismissed around 3:15. Due to dangerous wind chill, VHS, VMS, and VES will start at 10:00 a.m. on Monday, March 4, 2019. Science rules! Always question; always wonder! 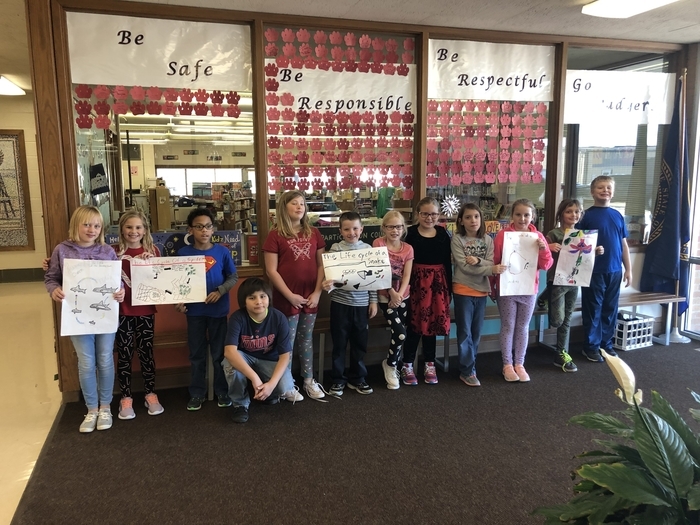 Valentine Elementary fifth graders Reeves Witte, Rylee Ward, Kate Johnson, and Grace Murphy display their Nebraska agriculture posters ready for contest entry. 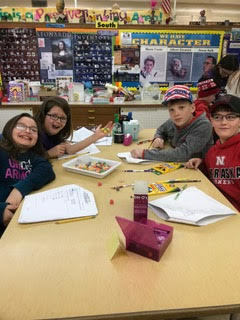 These young artists aptly depicted the theme "The Many Colors of Nebraska Agriculture." 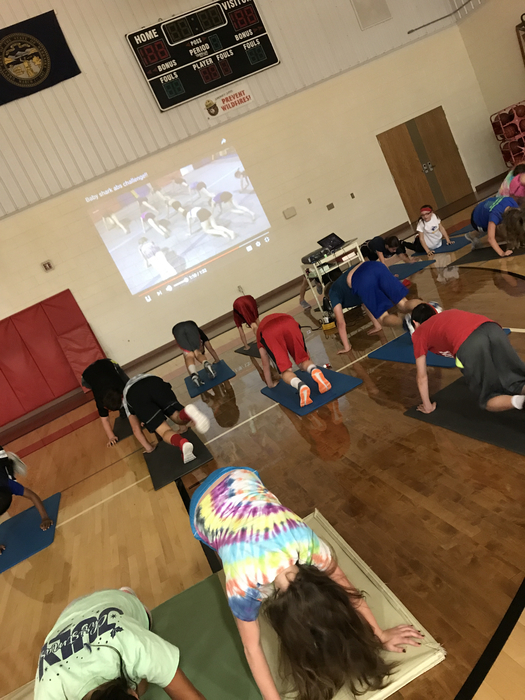 Last week’s focus was putting forth their best effort. 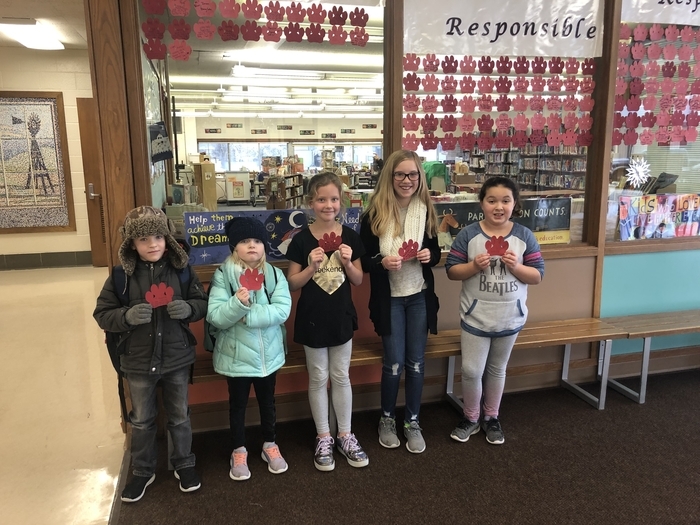 These students were honored for their great effort on the MAP test! Way to go! A great first Victor E. Day at VHS. 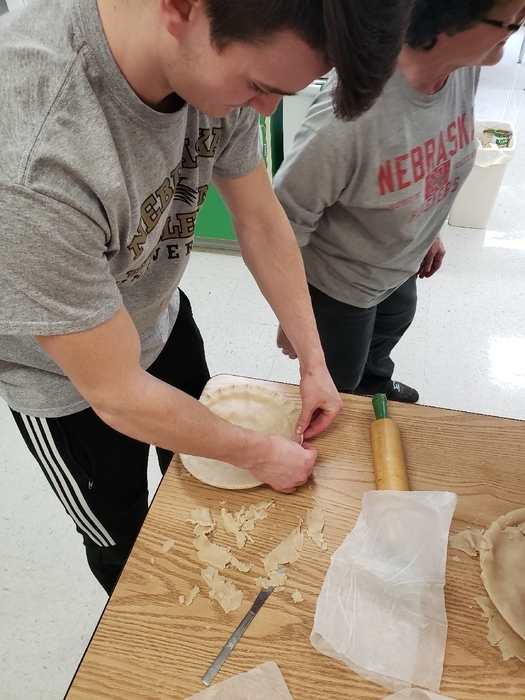 Line dancing, pie making and embroidery were just a few of the things students learned today. Thanks to all the staff and especially the community members who volunteered their time!! Save the date! Join us for some fabulous food & support our TeamMates Mentoring program as Runza will donate 10% of sales on April 2 to our local TeamMates! Gordon Rushville has cancelled their Speech Meet tomorrow. There will be no school today, Friday February 22, 2019 at VES, VMS, and VHS due to weather conditions. VHS, VMS, and VES will start at 10:00 a.m. on Friday, February 22, 2019 due to weather conditions. 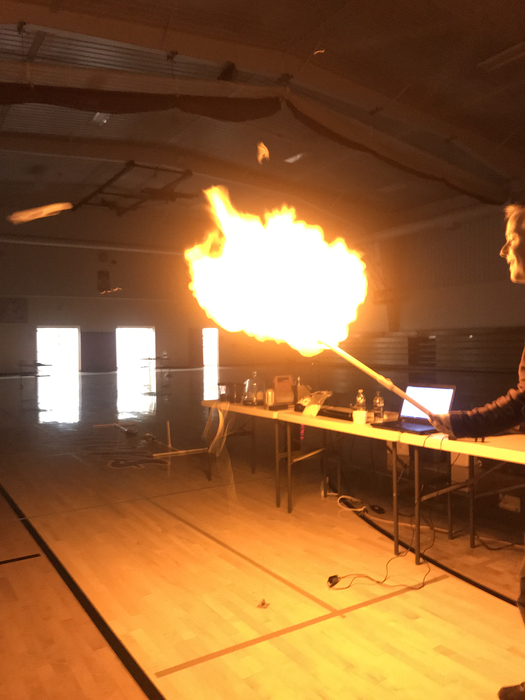 A few more photos from the VES Camp Read S’more! Thanks for attending! 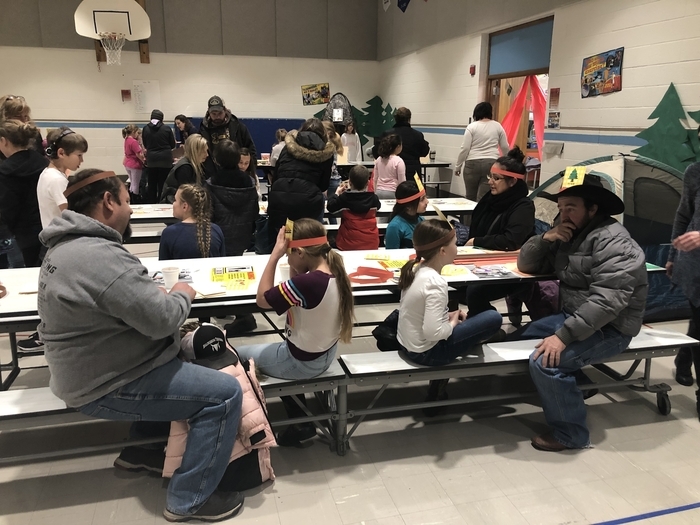 Wow, what a great turnout at the VES Camp Read S’more! 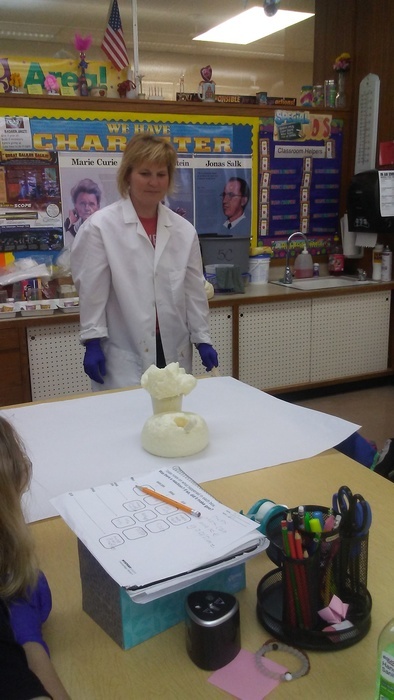 Thanks to Deb Jeffers, all VES teachers, the 4th/5th students who helped, and the PTA. And a really special thanks to all of our K-3 students and their parents/guardians for attending! 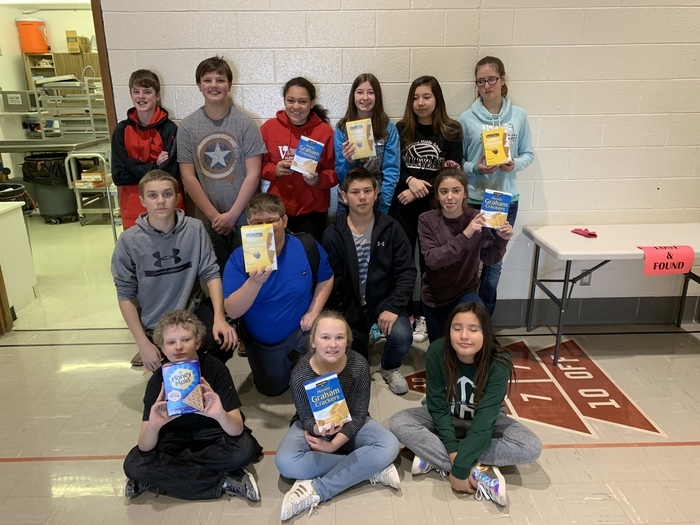 Mr. Pettigrew's Badger Pause class was the winning team for the Graham Cracker challenge by bringing in 55 boxes of graham crackers. 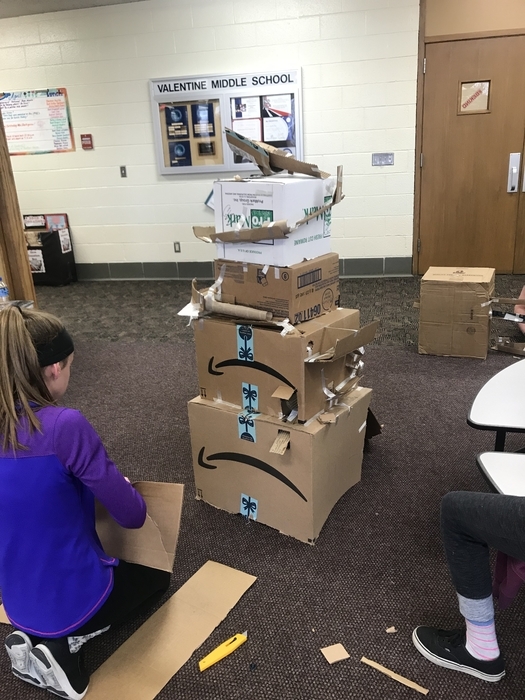 VMS Badger Pause classes raised a total of 128 boxes altogether, which will be donated to the Elementary School students. 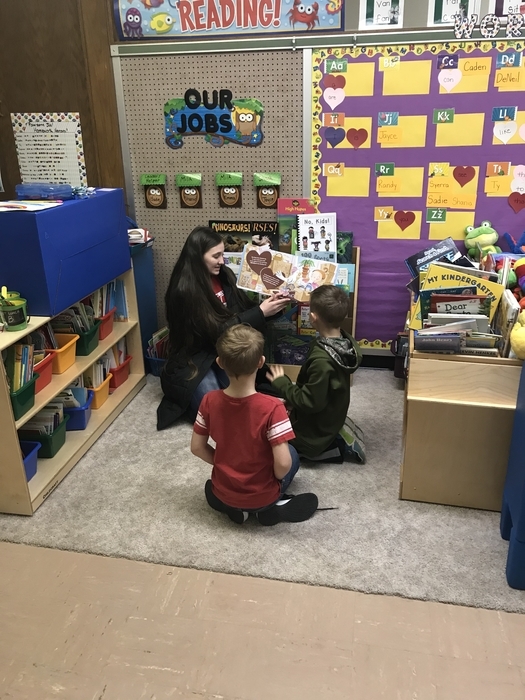 VMS Student Council enjoyed reading Valentine’s Day stories to some of the Elementary classrooms. Camp Read S’more is tonight! Parents/guardians of K, 1st, 2nd, and 3rd grade students, please attend with your student! It’ll be a night of literacy fun. Can’t wait to see you there! 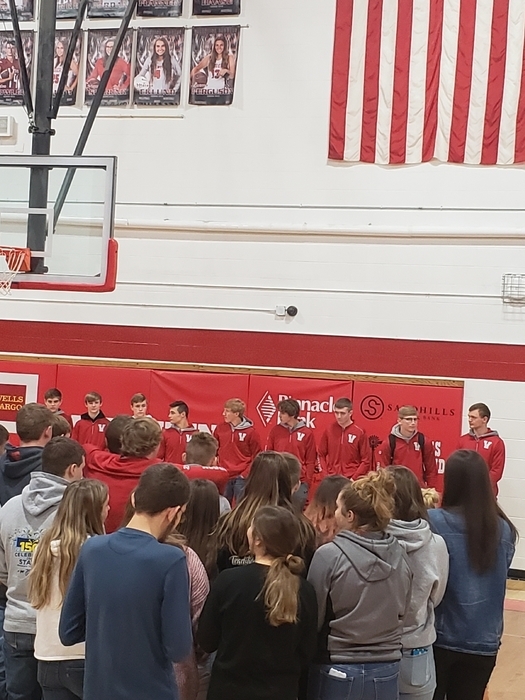 Badger Nation, we will be gathering at the VHS gym to welcome and congratulate our 2019 State Championship Wrestling team! They just left Broken Bow so we expect them to be escorted into town by the VFD around 4:00! Come join us in recognizing these great kids and coaches! 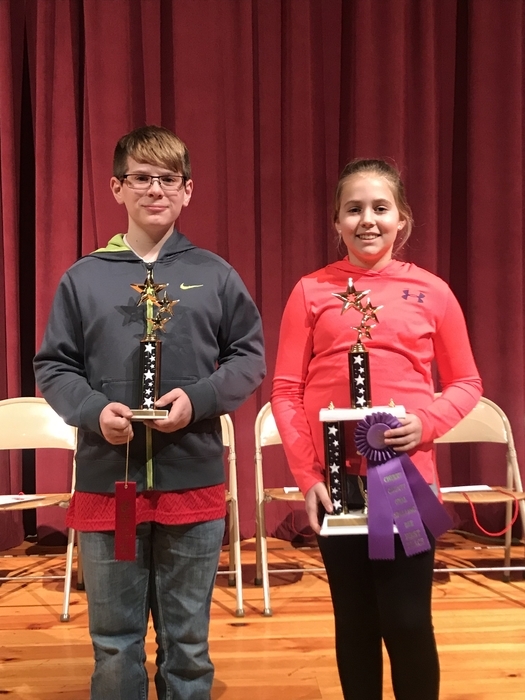 2019 Cherry County Oral Spelling Bee Doc Lancaster a 6th grader from Valentine Middle School was runner up and Ciana Colvin a 7th grader from Valentine Middle School was the champion. 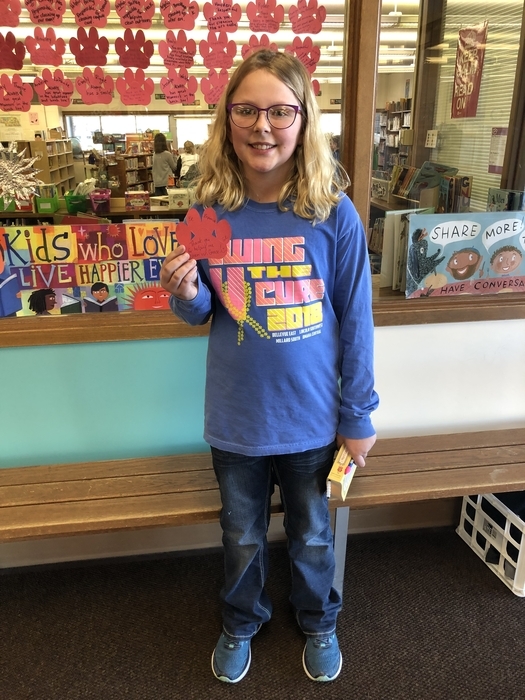 Ciana will represent Cherry County and Valentine Community Schools at the Midwest Spelling Bee in Omaha on March 2nd. 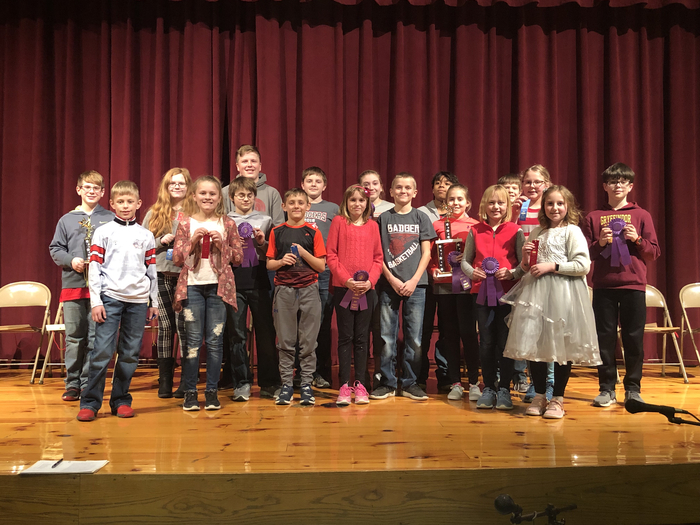 Congratulations to all the spellers and Ciana! 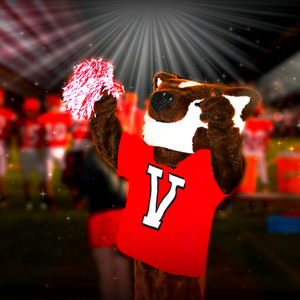 Good luck to our Valentine Badger wrestlers as they begin their quest for a 3rd straight state wrestling championship! 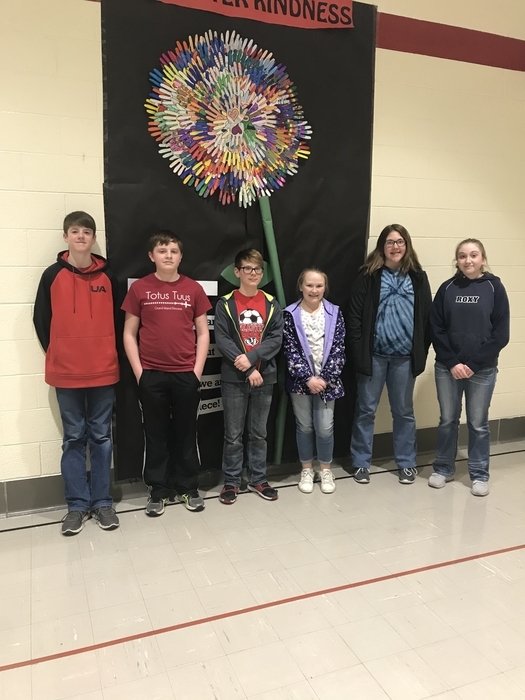 The following Middle School students attended an Acalympic Competition in Pierre, SD on Wednesday, Feb. 14. They ended up 4th out of 15, and had a great showing. Congratulations to Jack Lancaster, Taylor Battershaw, Grant Boes, Sadi Osnes, Doc Lancaster, and Cadence Swanson! The boys basketball game with Gordon Rushville has been moved back 1 hour. The game will be at 5 central tine. Due to the predicted weather on Friday the boys basketball game with Gordon Rushville has been moved to Thursday starting at 6 pm CT. This will be varsity only because Gordon Rushville will be hosting a girls sub-district final after our game. 2C has worked hard to learn all of these amazing things and so much more! 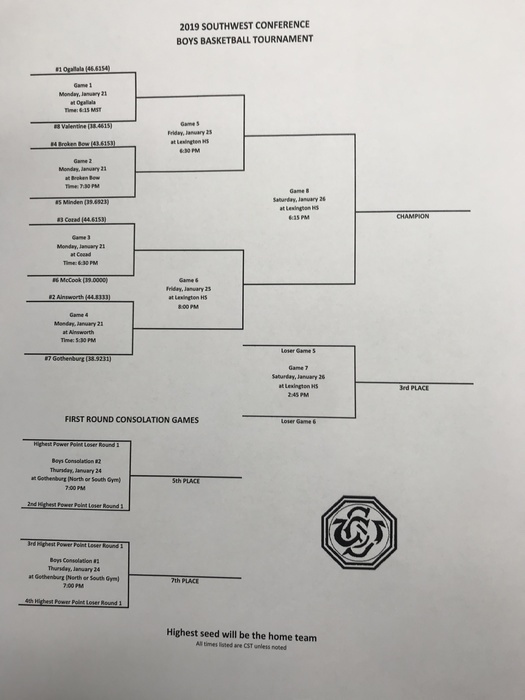 The boys basketball team will play their Sub District game on Feb 19th at 5:00 pm CT at Chadron State College. 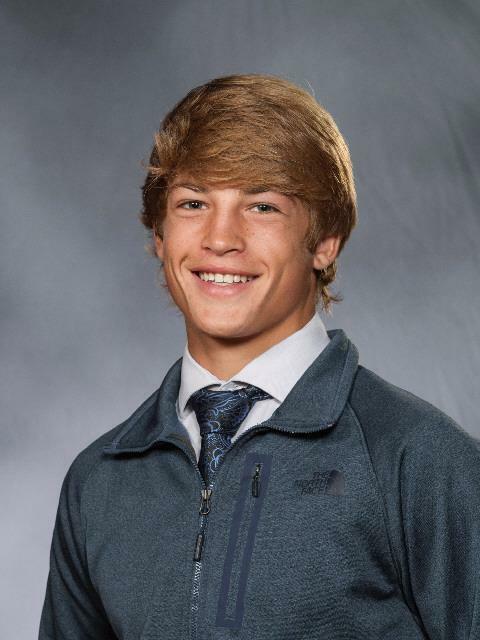 We will have a sendoff off for the wrestling team Wednesday at 11 am in the HS gym. 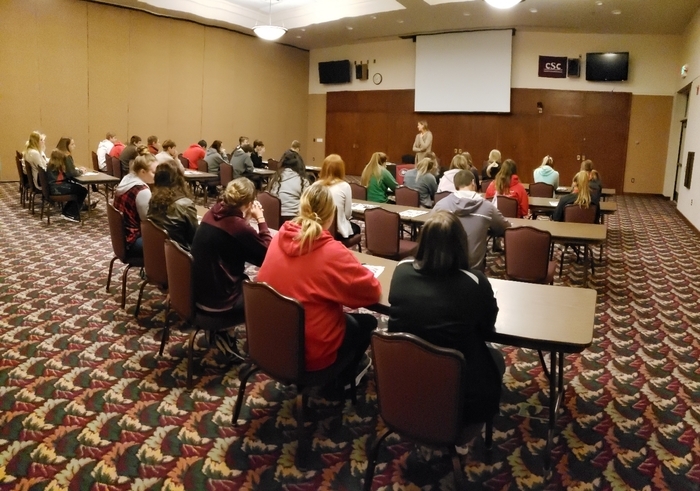 We met with the Senior basketball players this morning to see what we could do since the last game was cancelled. We have decided that we will honor the senior basketball players and parents during Coronation. 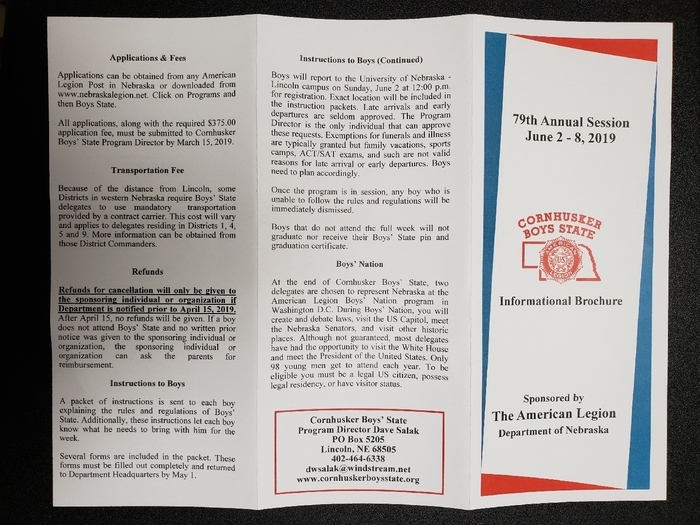 We would like to thank the Coronation committee for offering to do this. 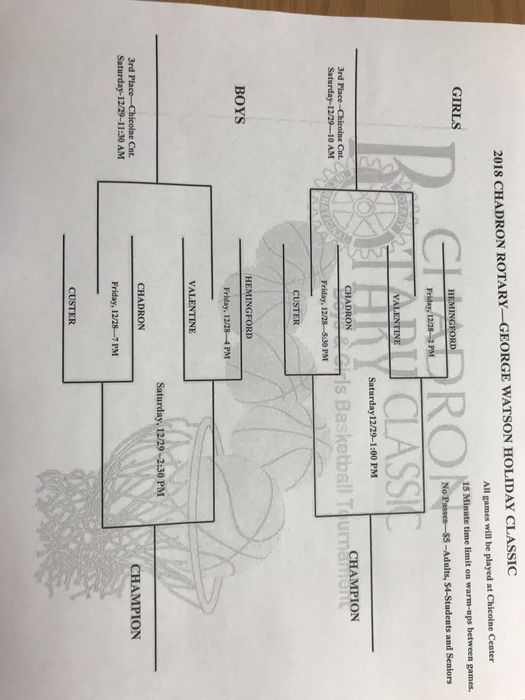 The Girls Basketball team will take on Mitchell in the first round of sub-districts at Chadron Stare College. Tip off is at 5:00 pm CT. The basketball games with North Central have been cancelled. We looked at several different options to try to get one last home game for our seniors but we just couldn’t get it to work. Due to board policy we are unable to have our games tonight. We are working to see what we can do to get a game scheduled for our senior night. We will continue to work on this today. *correction! No school today, Thursday, February 7, at VES, VMS, and VHS. Stay warm! Due to dangerous wind chill there will be no school at VES, VMS, or VHS today, Friday February 7, 2019. Due to forecasted weather conditions, Valentine Elementary, Middle, and High Schools will start at 10:00 a.m. on February 7, 2019. 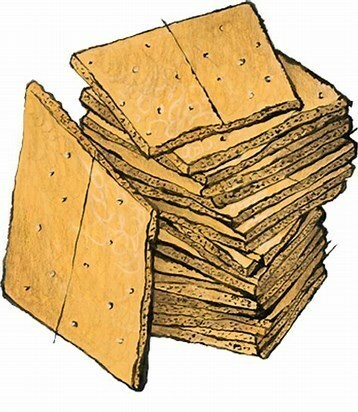 VMS Student Council is hosting a graham cracker drive for the Elementary School students as they are running low on the snacks. 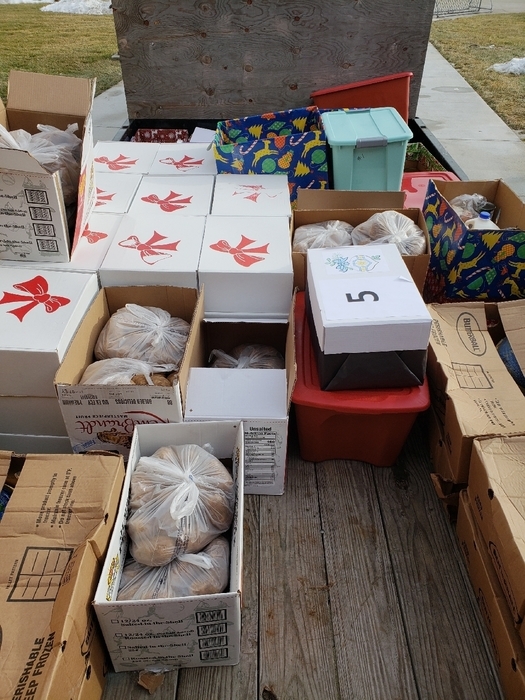 There will be donation boxes available at parent teacher conferences for either original graham crackers, or an option to donate money to purchase them. We appreciate your support! 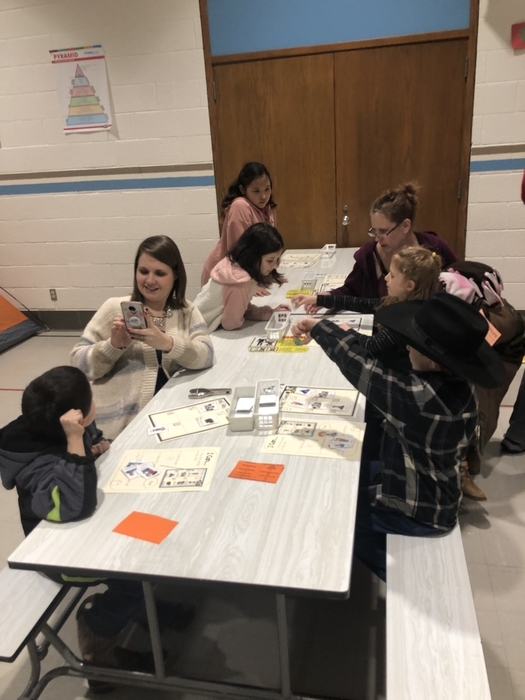 Kindergarten-3rd grade students and their parents/guardians are invited to a family literacy night at the elementary. 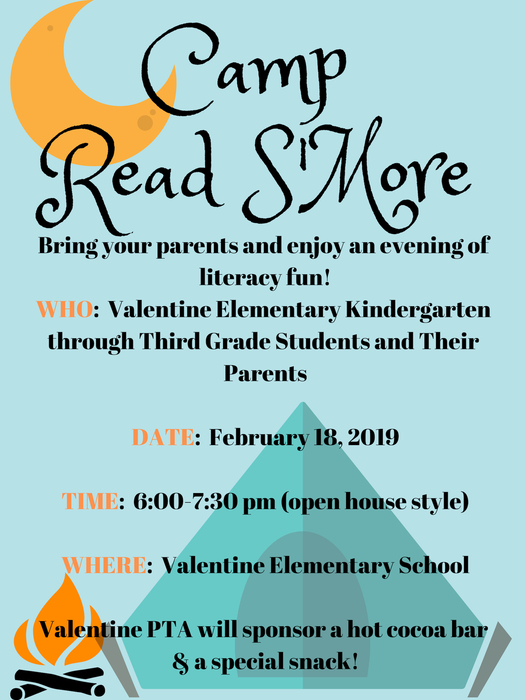 Camp Read S'More will be a night of literacy fun on Monday, February 18, from 6-7:30 p.m. (open house style). We hope to see you there! 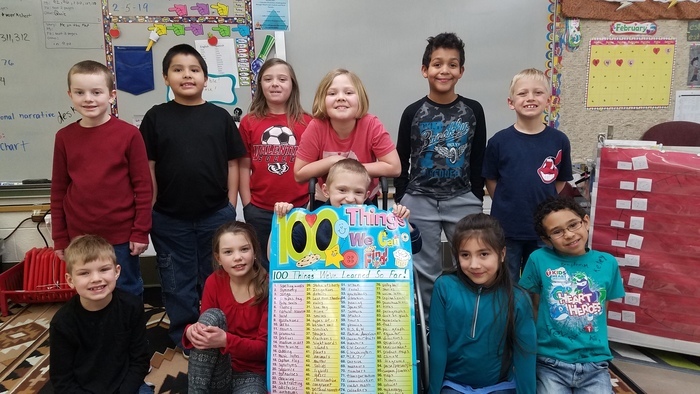 VES celebrated 100 days of school last week. 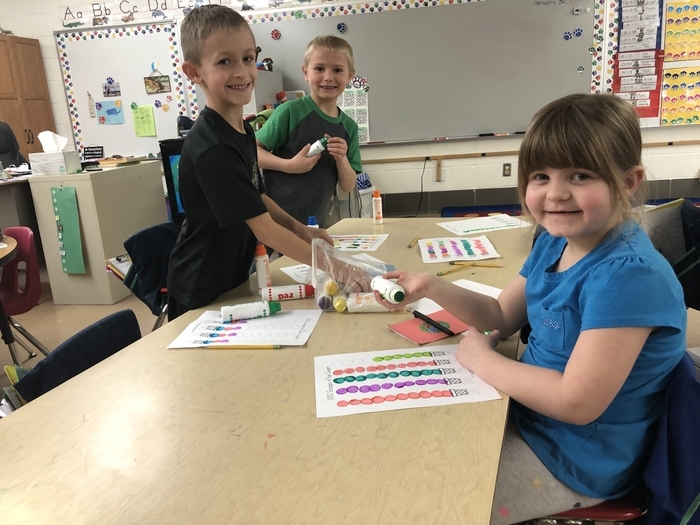 Kindergarten had so much fun rotating to different stations that all had the theme of 100! 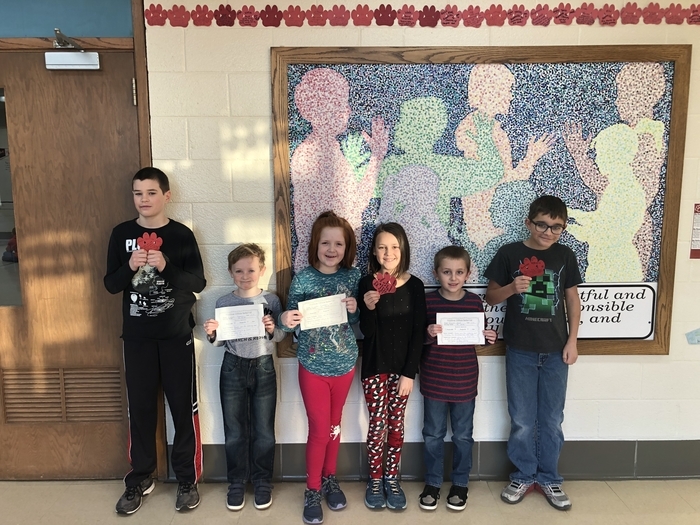 Some of our badger paw recipients this week! 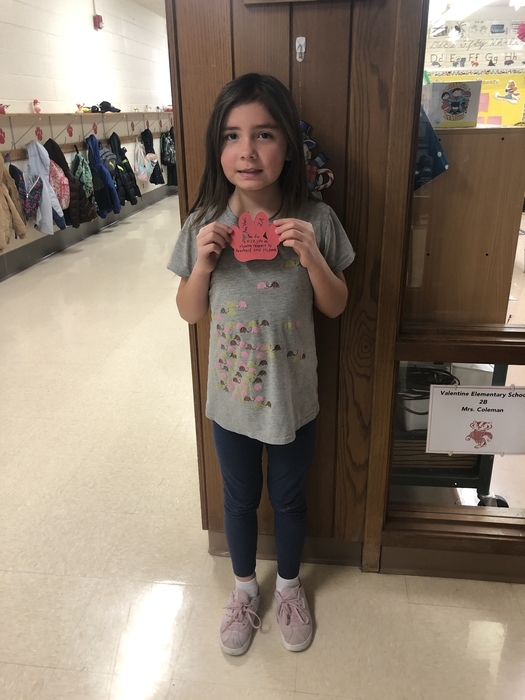 The focus this week was on keeping things clean, especially our hallway. 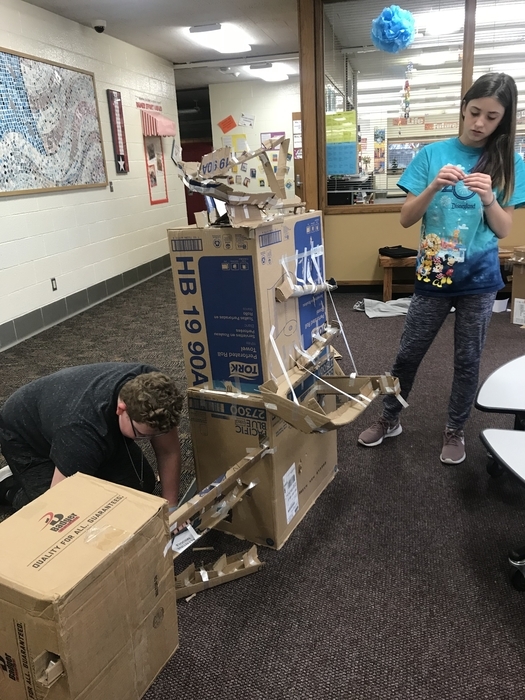 Your students are bringing things home from their cubby/shelf area. It’s a good weekend to give the winter coat, hat, and mittens a good wash while kids play in the beautiful weather this weekend! 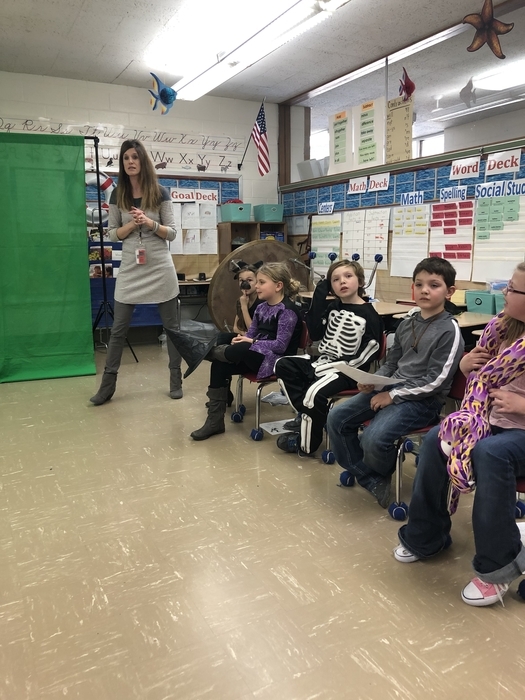 Every year, Valerie comes to school to help predict the weather. She feels she does a better job than some little ground hog in Pennsylvania. As you can see, she saw her shadow, but... she is a day early. 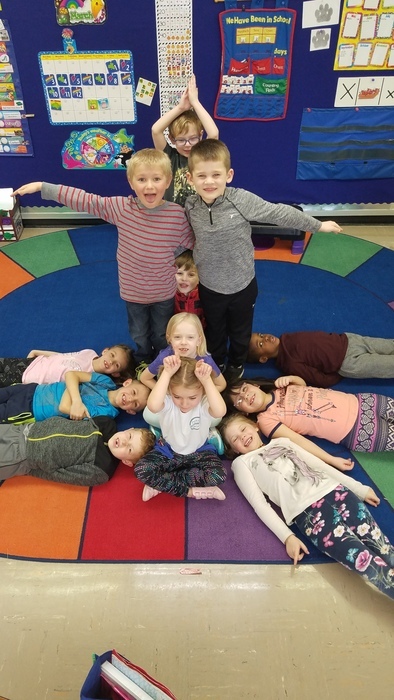 Happy Groundhog's Day from 2C! 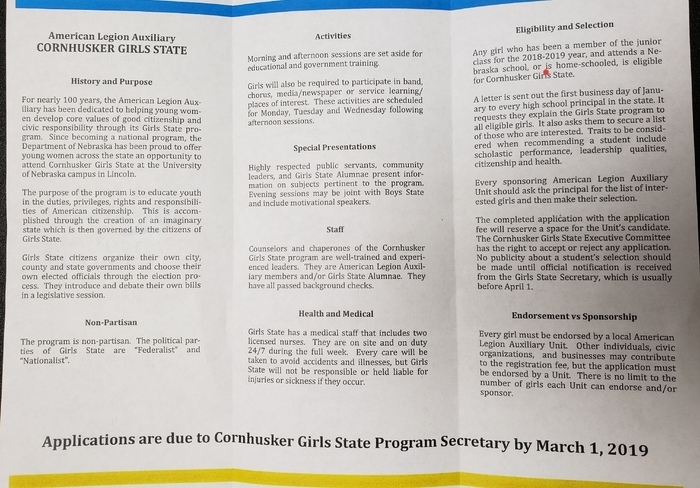 Any junior girl interested in being a representative for the Valentine Auxiliary Cornhusker Girls State contact pur local American Legion Auxiliary. The boys JV game in Gordon Rushville on Friday Feb 15th will only be 2 quarters due to low numbers at Gordon Rushville. Varsity parents please plan accordingly as the Varsity game will start much earlier than normal. JV game will start at 6pm CT with Varsity to follow. 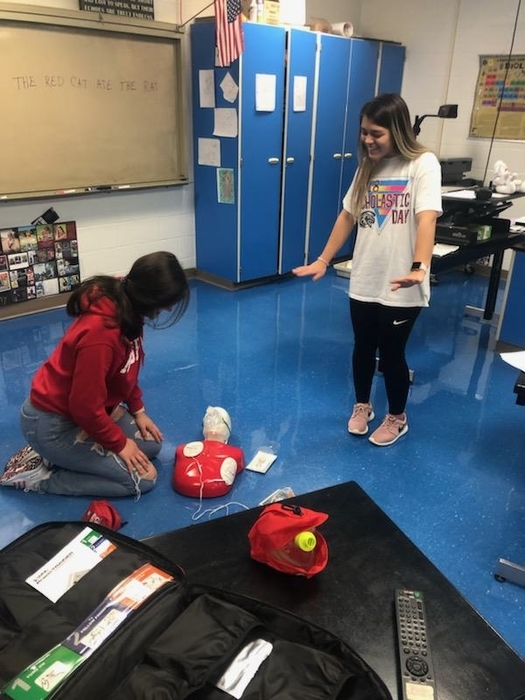 Medical Terminology/ Health Careers class received their CPR certification this week. They've done the training, and now can save lives. Due to dangerously forecasted low temperatures tonight and early morning the Valentine Elementary, Middle and High Schools will start school at 10:00 a.m. Wednesday. 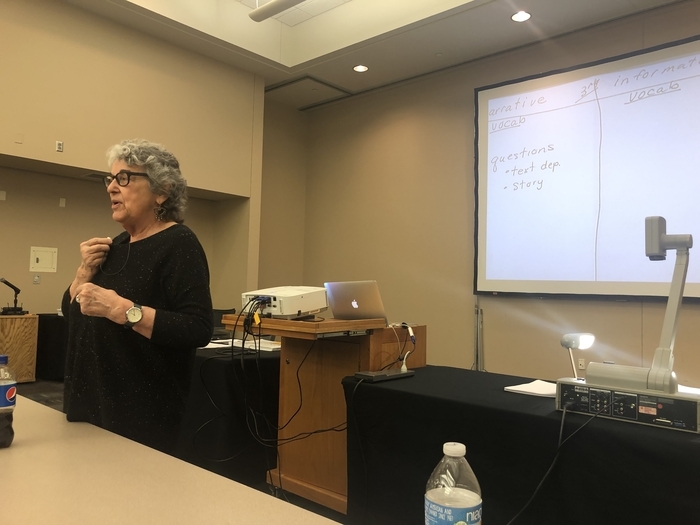 VES teachers attended an Anita Archer vocabulary and comprehension training in Norfolk today. We look forward to incorporating new strategies in the classroom to enhance our students’ learning! 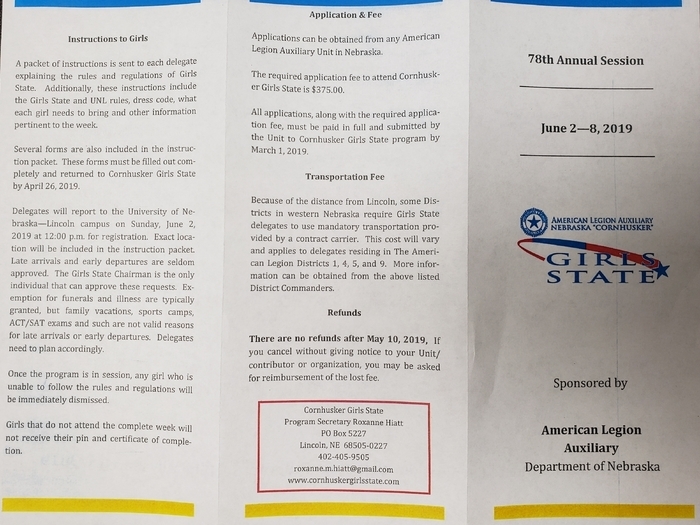 The NSAA just sent out information for State Dual Tickets and they have decided to offer them online starting at some point tomorrow. Prices will be $10 for adults and $8 for students and that is for all day. Also Coach Shane Allison will be recognized before the start of our first dual as the Nebraska Coaches Association Coach of the Year!!! 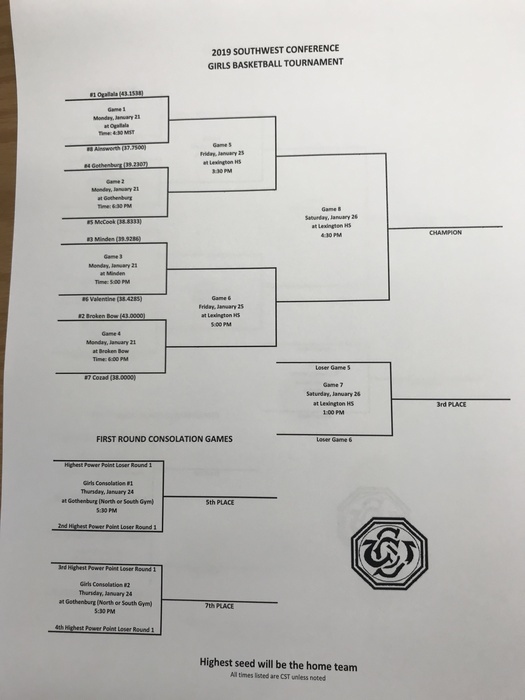 State Wrestling Duals - Valentine will take on Logan View at 10:30 on Saturday morning in the first round. This event is held at the Buffalo County Fairgrounds. Tickets can be purchased at the event. Tickets are not available online this year. A reminder: tomorrow, January 29, there will be no school at Valentine Elementary. This is just for the students of VES! School will resume Wednesday at the normal start time. 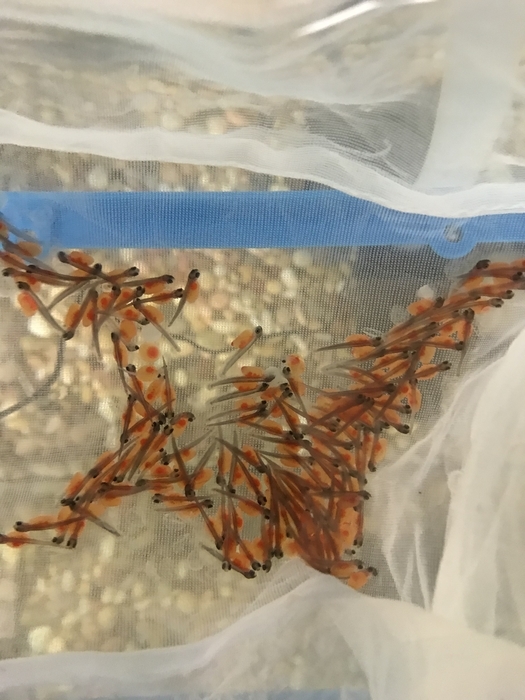 Mrs. Tinant’s 6th grade science classes are hatching trout in their classroom. 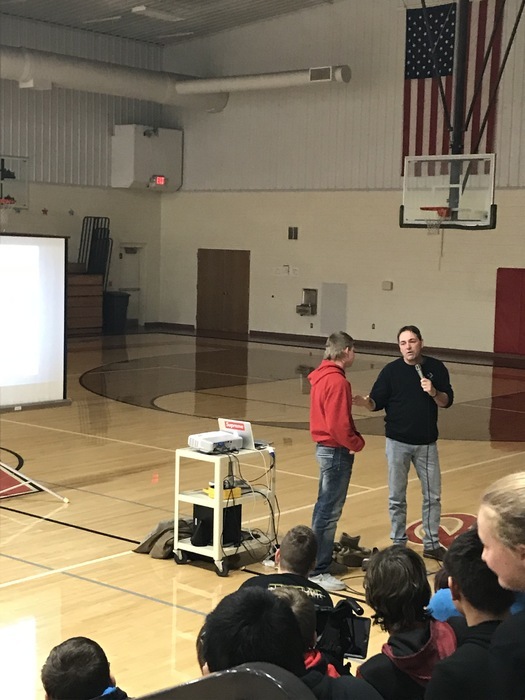 They are participating in Trout in the Classroom under the guidance of Nebraska Game & Parks. Basketball Parents Night will be on Feb 7th vs North Central. We will do this between the girls and varsity games. Parents please be there by 6:15. Due to Bennett Co. having very low numbers we will only be playing an A game on Monday. B team will stay and practice. 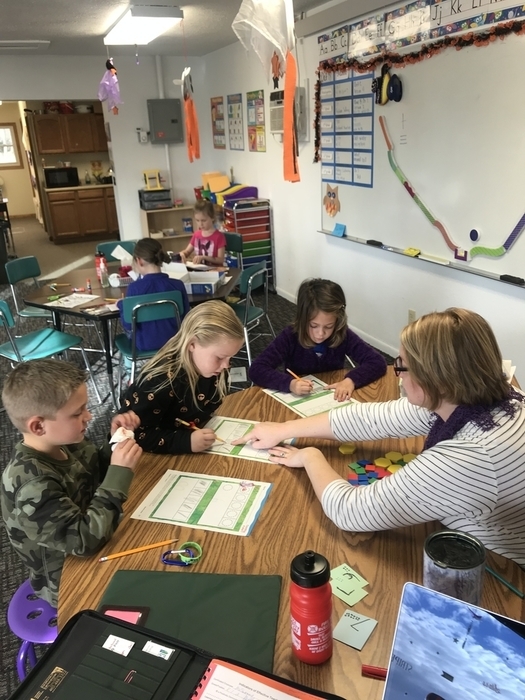 Students will begin taking the NWEA MAP Growth Assessments next week through mid February. Please ensure your children get a good night's sleep, arrive to school on time, eat a healthy breakfast, and encourage them to do their best! Locker room clean out at VHS. 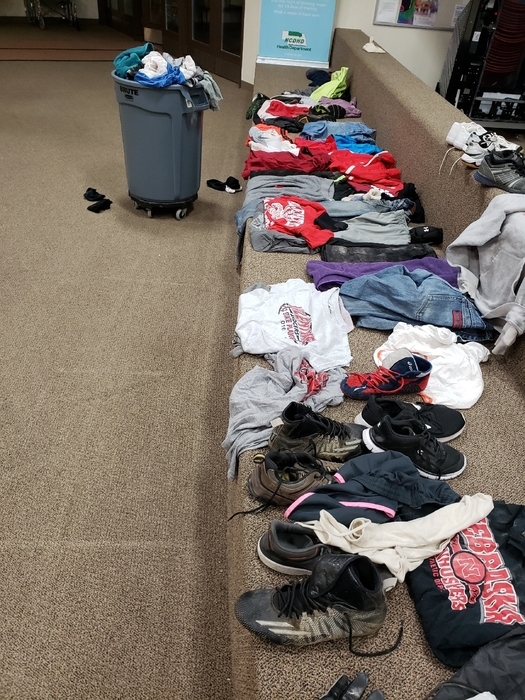 All these items have been picked up and unclaimed from our locker rooms. 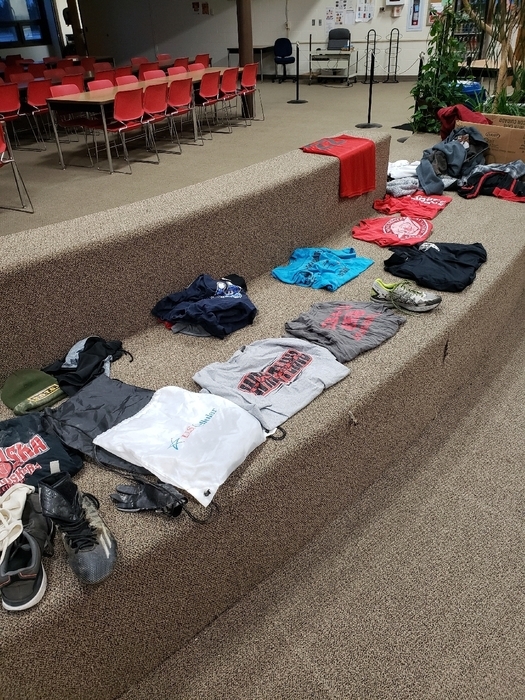 Please claim what is yours before they go to the clothing drive. The middle school boys' basketball games to be played in O'Neill Tuesday have been postponed. SWC Consolation Basketball Games: Girls at 5:30 and boys at 7:00 vs Gothenburg. All consolation games are played in Gothenburg. A reminder: Tuesday, January 29, students at Valentine Elementary will not have school. This is just for the students at VES. The teachers have an opportunity to attend a one day training, so school is canceled for that day. 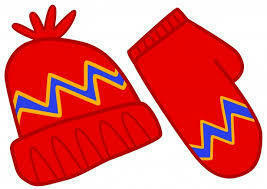 With cold weather, please make sure your student comes to school wearing a heavy coat, hat, and gloves/mittens. At VES, we go outside for recess as long as it's above zero (factoring in wind chill). We want your student to be dressed for Nebraska winter weather! VES focus for the week: be respectful, include others. Way to go, Badgers! The valentine speech meet for tomorrow has been delayed 1 hour so speech students will now be leaving at 6:00 am from the high school. Update on upcoming events the next 2 days. 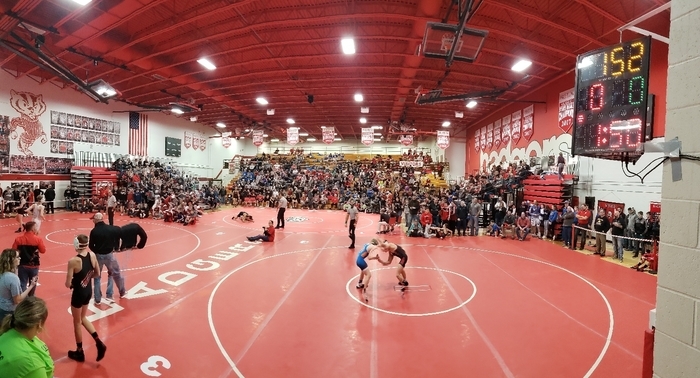 Tomorrow the wrestling team will leave for Chadron at 7:00 a.m. If the roads are in poor condition or the bus driver doesn't feel the roads are safe they will turn around and come back. 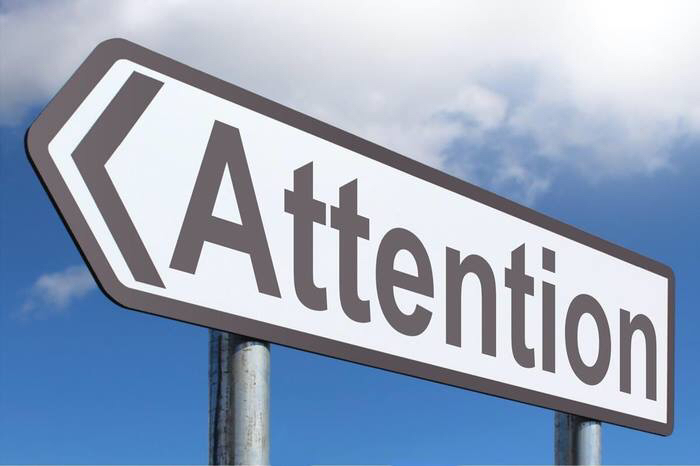 Basketball - We have been in contact with Broken Bow and will reschedule the basketball games to Saturday starting at 1 pm if they are unable to travel Friday. 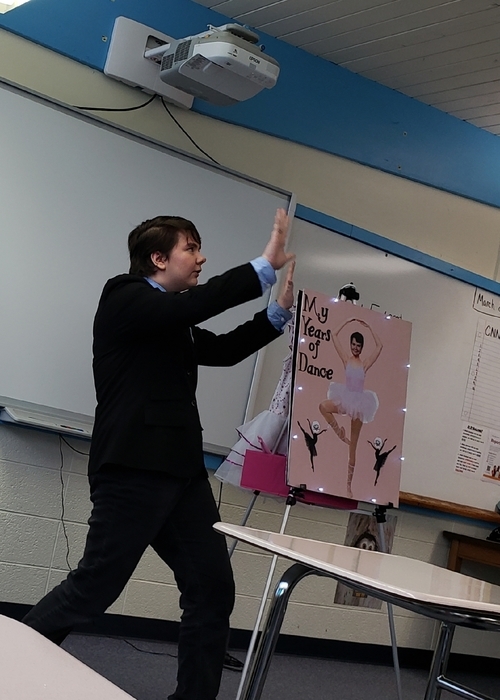 The speech team will do the same as the wrestling team on Saturday morning. MS games in Ainsworth on Jan 24th. The B game will be played first and it will only be 3 quarters due to lack of numbers for Ainsworth. The A game will follow that game. 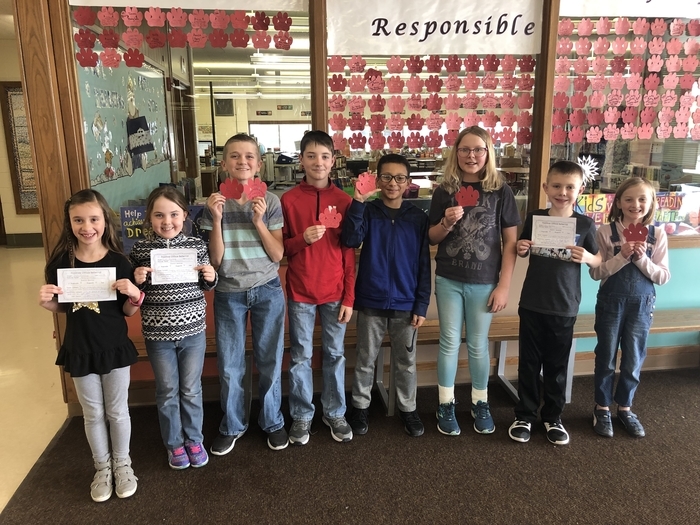 These are just some of the students who earned badger paws and positive office referrals last week. Way to go, Badgers! This week, we are focusing on including others. 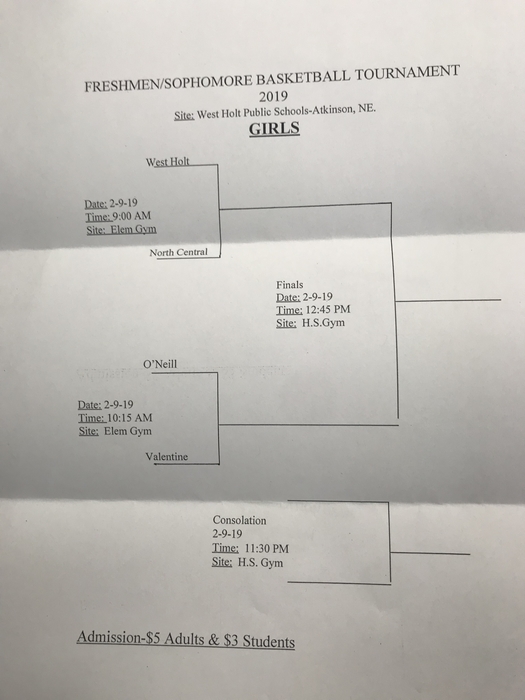 SWC Basketball Tournament - Girls will play in Minden on Monday Jan 21 @ 5:00 pm Boys will play in Ogallala on Monday Jan 21 @ approximately 6:15 CT. We will post official brackets tomorrow when we get them converted to correct format for our platforms. 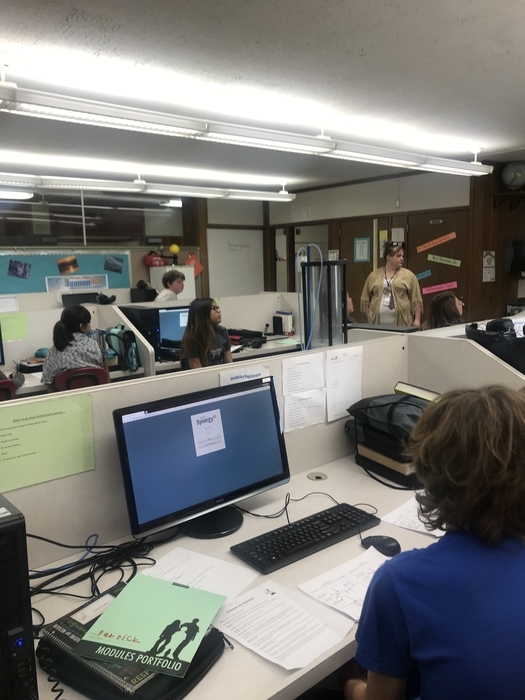 The 7th grade science classes are going through Tech Lab Orientation. 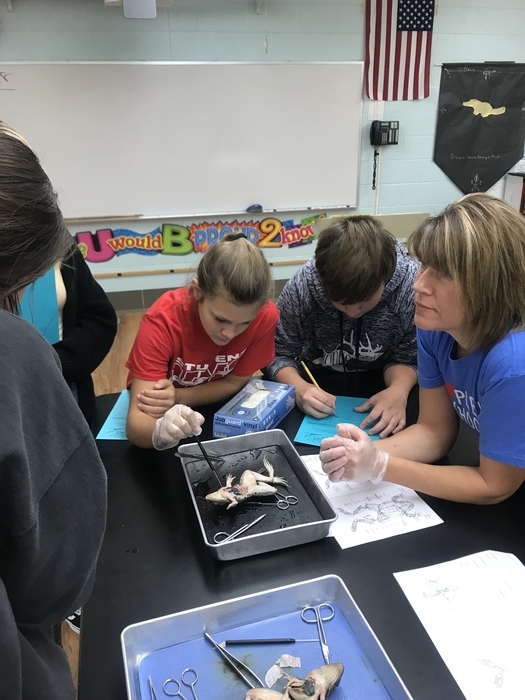 The Tech Lab is a non traditional approach to learning science. We have had some inquiries about the SWC basketball tournament as far as location and times. The conference does the seeding next week based on power points as they want all games possible played to make sure the seedings are correct. Once they get those they will assign the brackets and we post them as quick as we can. 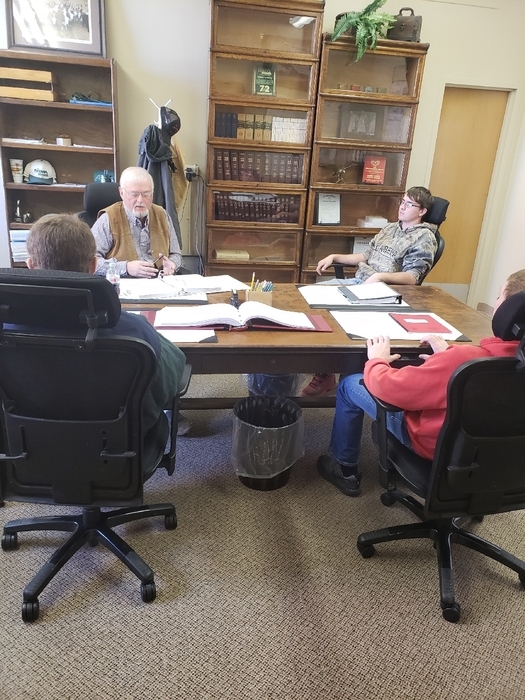 Recently it was approved that all boys and girls game be played on Mondays and the conference is trying to secure officials for all the possible sites to make that possible. In years past we have alternated the boys and girls games on Mondays and Tuesdays but with such a tight schedule that week it was decided to allow a snow day during that week so they are hoping to move all games to Mondays from this point forward. 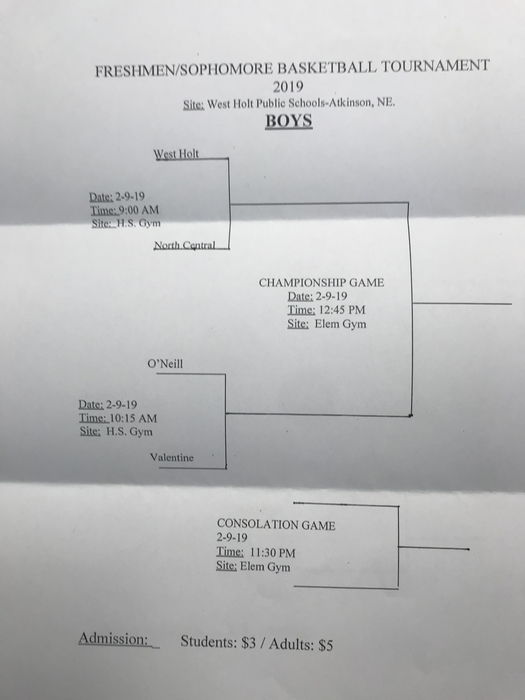 Saturday's basketball games in Ogallala - The JV boys will play in the Auditorium and all other games will be played at Prairie View Elementary School. 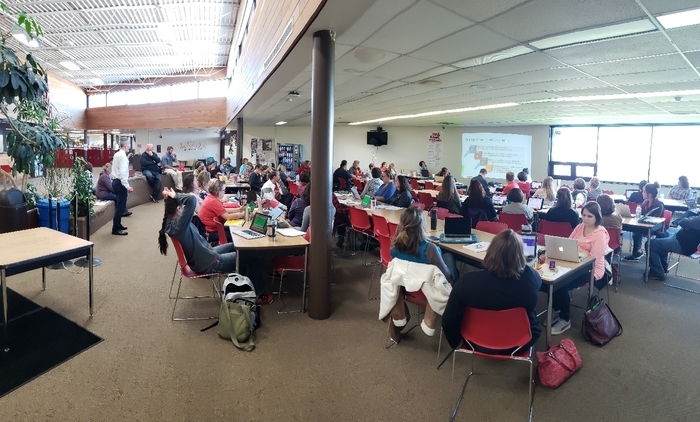 During the January 4 teacher in-service VHS teachers, led by Mrs Pilakowski, shared strategies and methods that they use to integrate technology in their instruction to enhance student engagement. The girls JV game on Saturday vs Minden will only be 2 quarters due to low numbers for Minden. Please plan accordingly for the start of the Girls and Boys Varsity games. 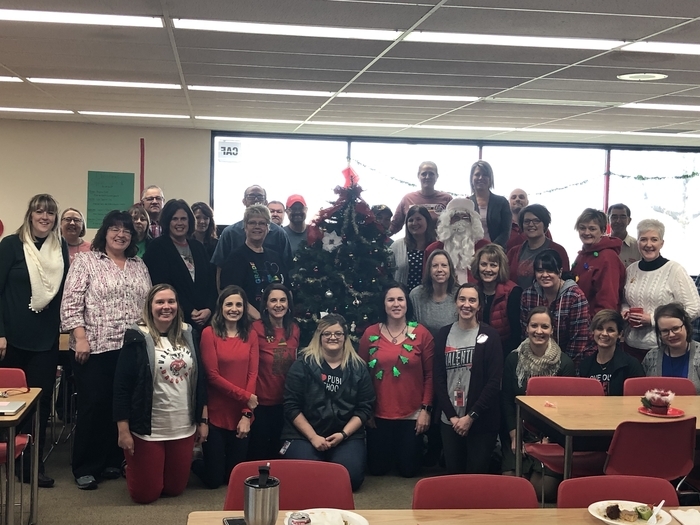 Merry Christmas from the Valentine Community Schools faculty and staff! VHS students, staff, and teachers all worked together to provide food baskets for families at our Head Start. Thanks so much to Lila O'Keefe for organizing and facilitating this awesome service. 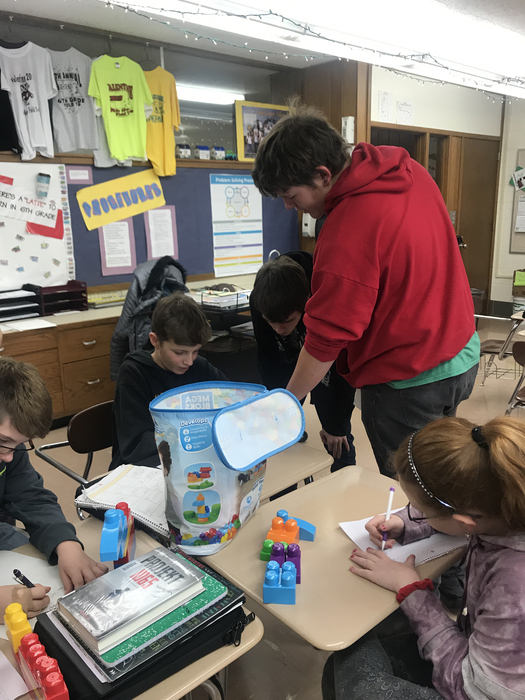 The Valentine Middle School held their Quiz Bowl today with competitions against the Badger Pause groups. Mr. Pettigrew's won the final championship with a close match against Mrs. Cronin's group. 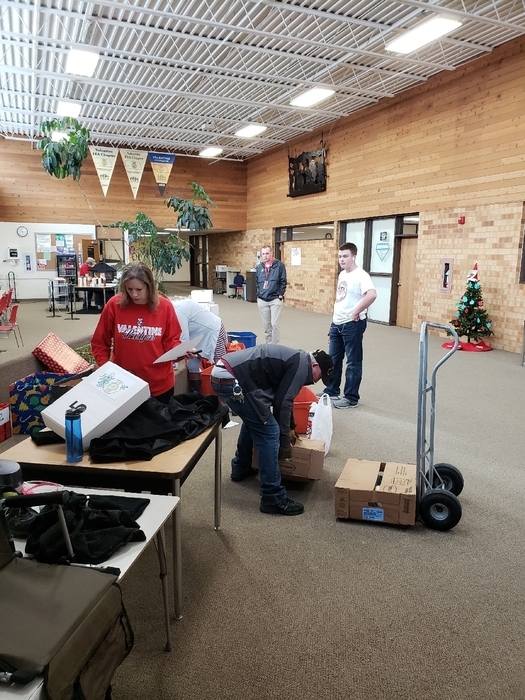 Christmas at Wood Lake School! 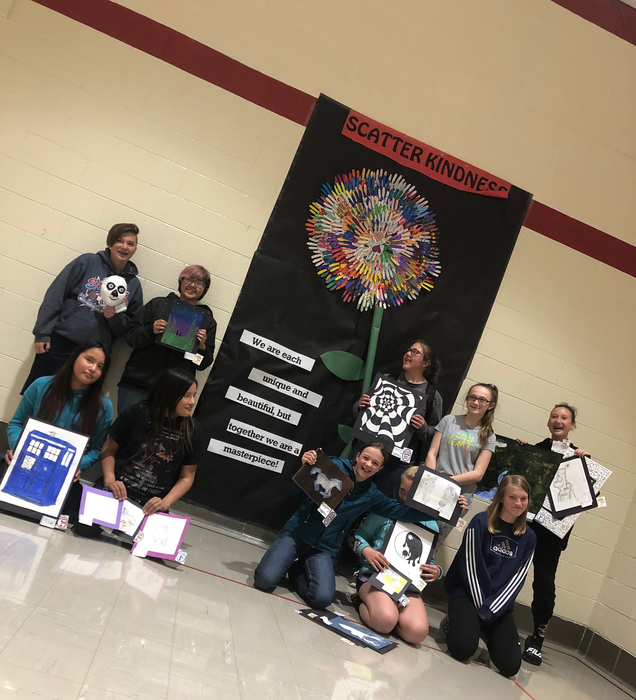 Mrs. Foster was presented a quilt from her students. 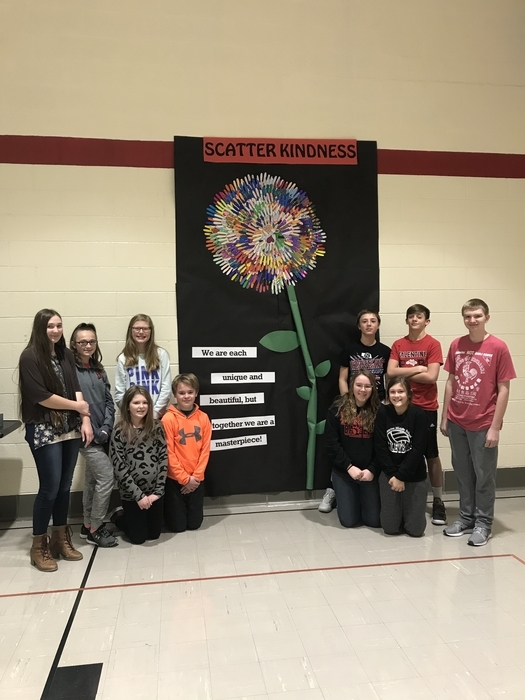 Anna May Letellier helped the students design and put the quilt together. 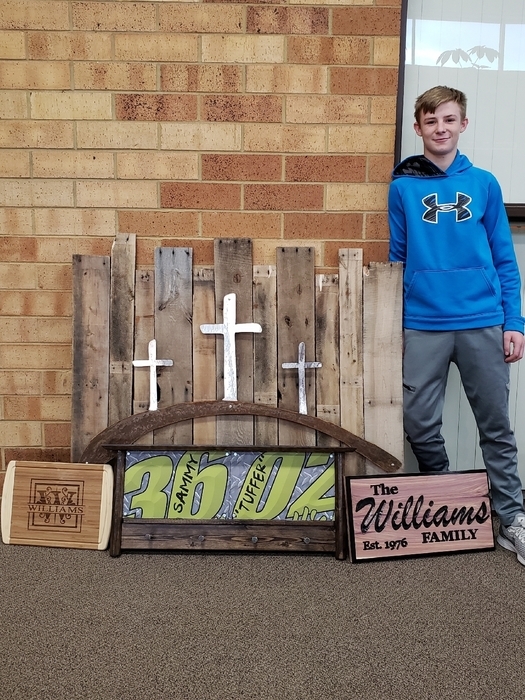 What a great gift!! Kennedy and Simeon Schools presented “Christmas Around the World” tonight for the community. 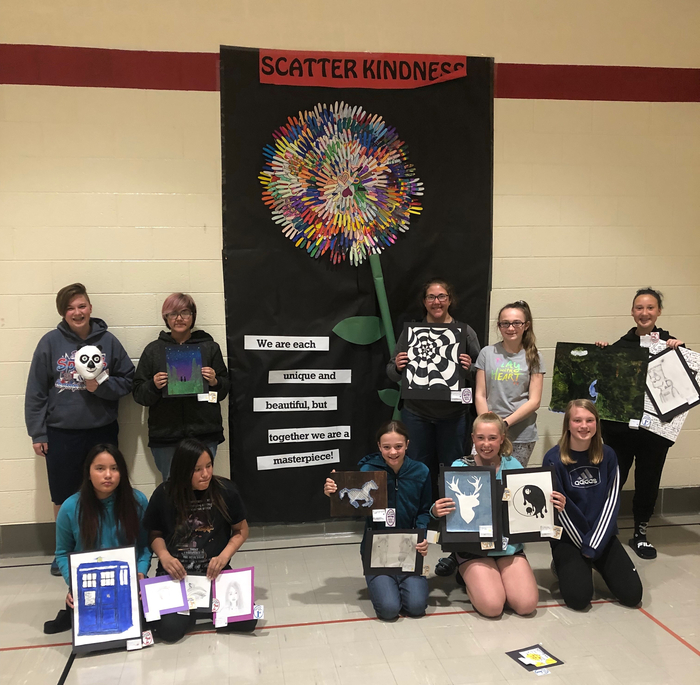 Thank you to Kate Major, Amanda Morrison, Ashley McSweeney, Melinda Kraus, and Brynn Burney for all of their time and effort for a successful program!! 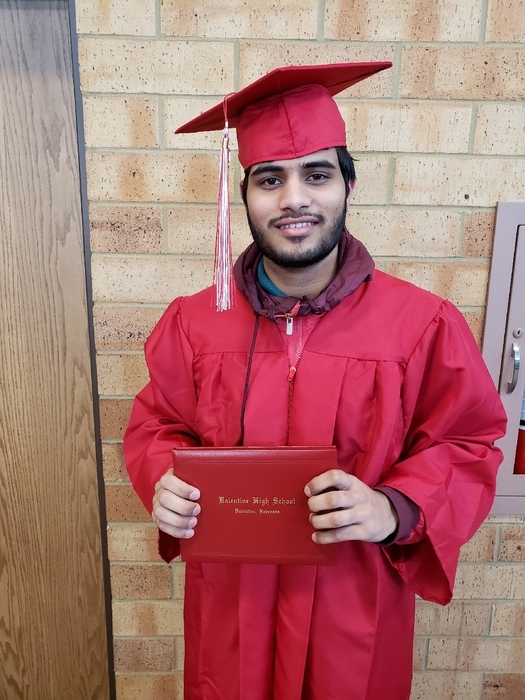 Badal Bharat "Bobby" Chaudhari finished classes this semester and met all the requirements of VHS to graduate! Congratulations Bobby! We will miss you. Bobby's plan is to earn a business degree from UNO and come back to Valentine and be the owner of the Super 8. Dual Credit Students!! 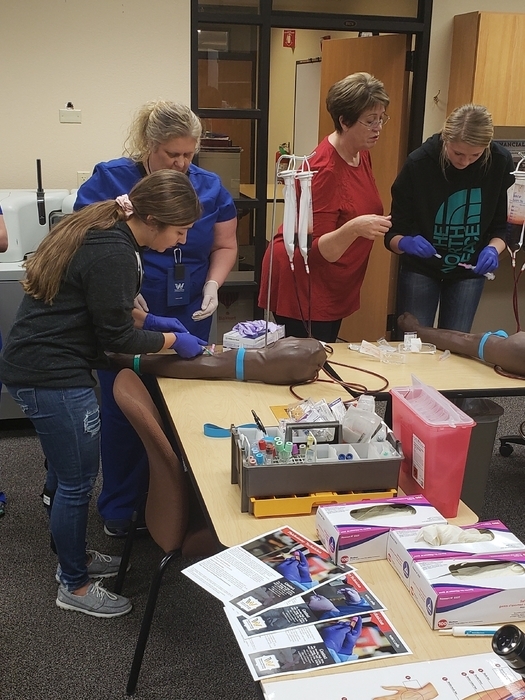 The VCS foundation began paying tuition for EVERY student who enrolls in a Dual-Credit credit course through VHS and Mid-Plains CC. Over $43,000 in tuition was paid this year to help over 60 students and families to be able to afford college. 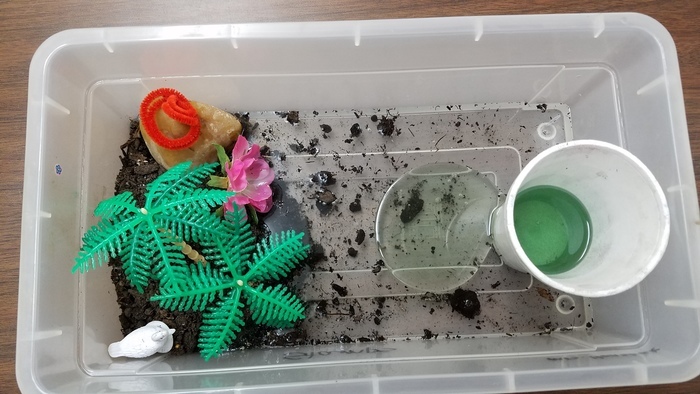 Today, 2C presented their habitats they have been working on. 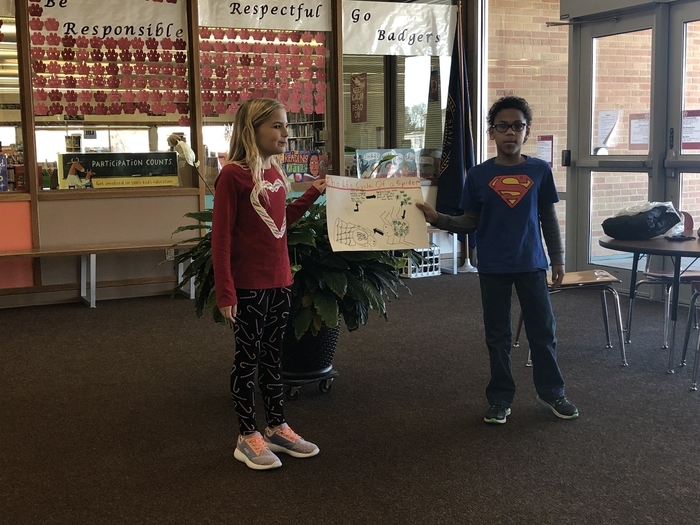 They put so much time into these and did a fabulous job presenting them! 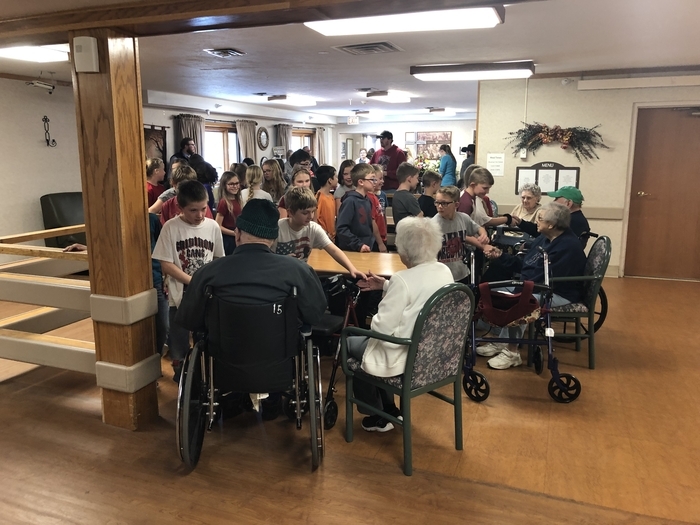 Thanks to Mrs. Hanzlicek for all of her work with these students and for inviting Mrs. Wonnenberg to watch! 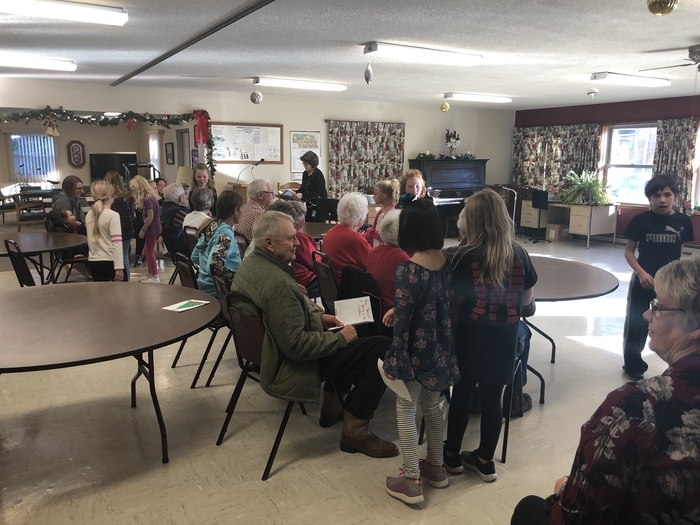 The 3rd grade class performed their Christmas program today at the Senior Citizens Center! 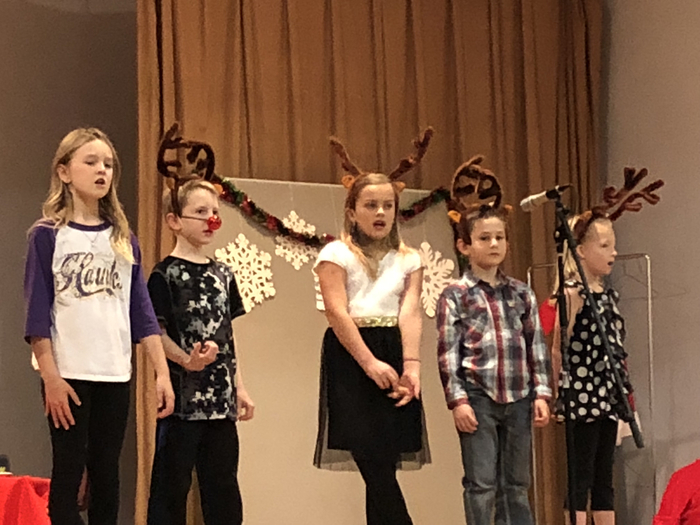 Great job, students, and thanks to Mrs. McQuistan, their music teacher as well as their classroom teachers, Mrs. Eide, Mrs. McClellen, and Mrs. Krueger. We appreciate all who attended! 1st Semester Snack Attack! 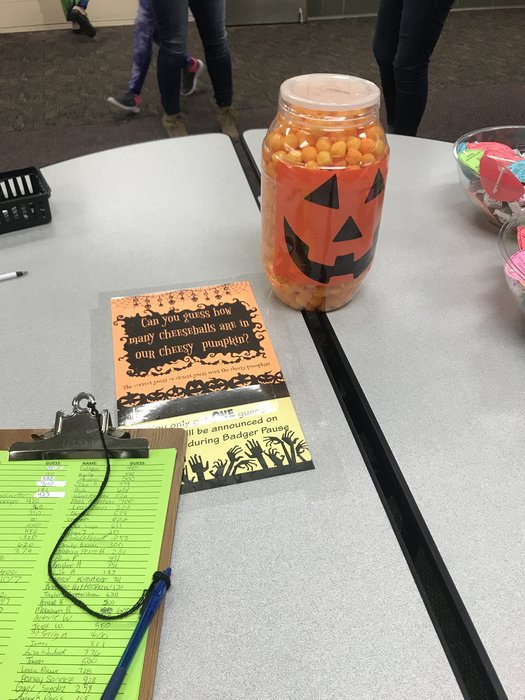 Snack attacks are a celebration of student achievement. We feed the kids and read a list of achievements compiled throughout the semester. 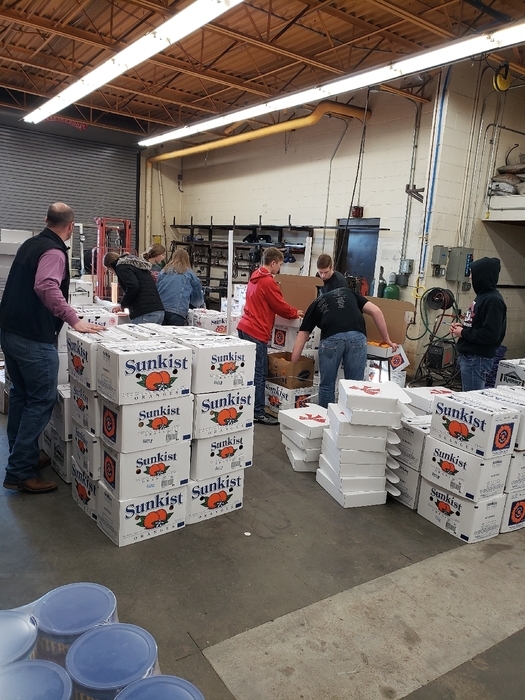 The pizzas for all the students were donated by the Chuck Hafer Memorial. 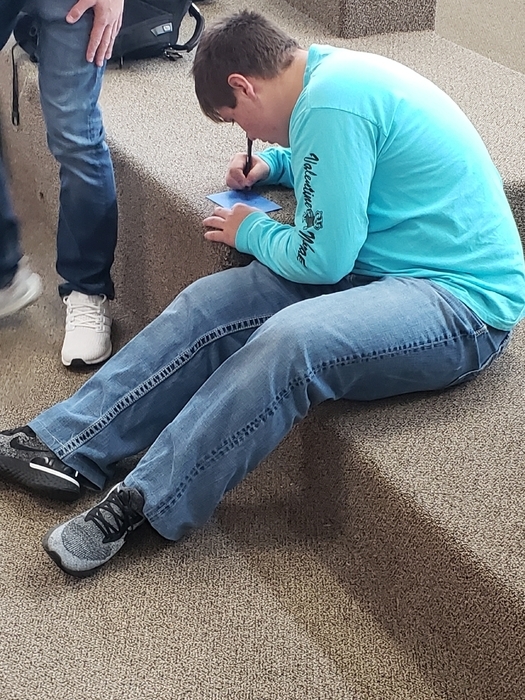 We have amazing students here at VHS! 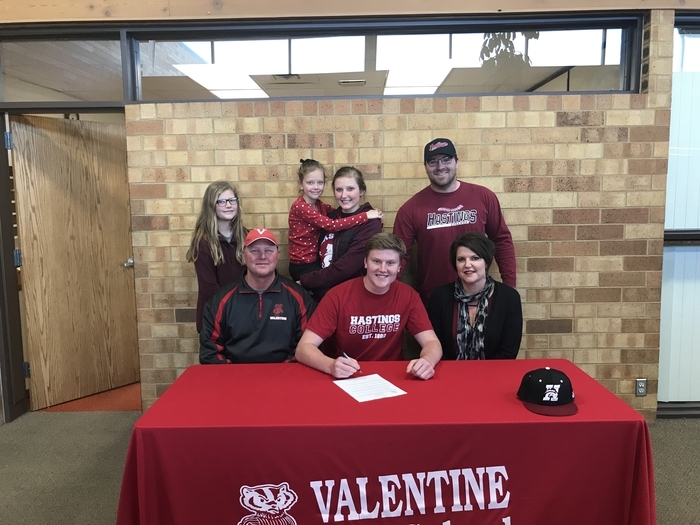 Turner Tinant signs to play baseball with Hastings College! Pictured with parents Michelle and Deon and sisters Torrie, Taryn, Tylee and Coach Andrew Kuta. 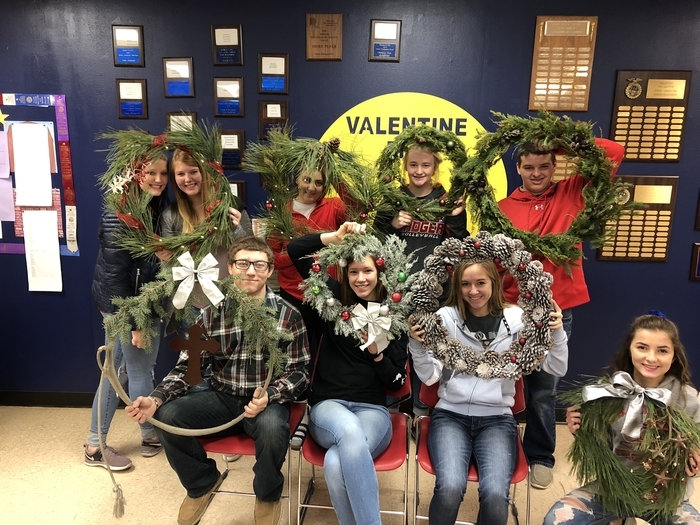 The plant science class made Christmas Wreaths! NSAA Fall Academic All-State Announced. 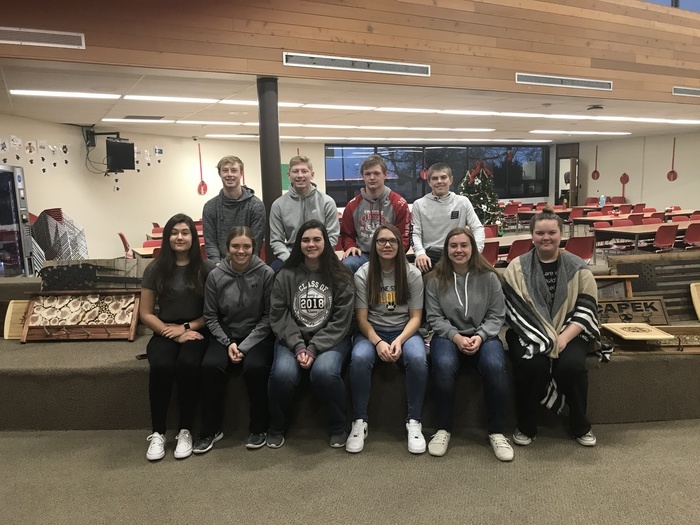 The following students were selected: Bottom Row - Bradi Larabee -One Act, Lauren Ferguson - Golf, Abbie Clark - Golf, Allison Hitchcock - Volleyball, Skyler Reagle - Volleyball, Rita Woodraska - One Act. Top Row: Devon Osnes - Football, Caleb Long - XC, Lane McGinley - Football, Jarrett Battershaw - XC. 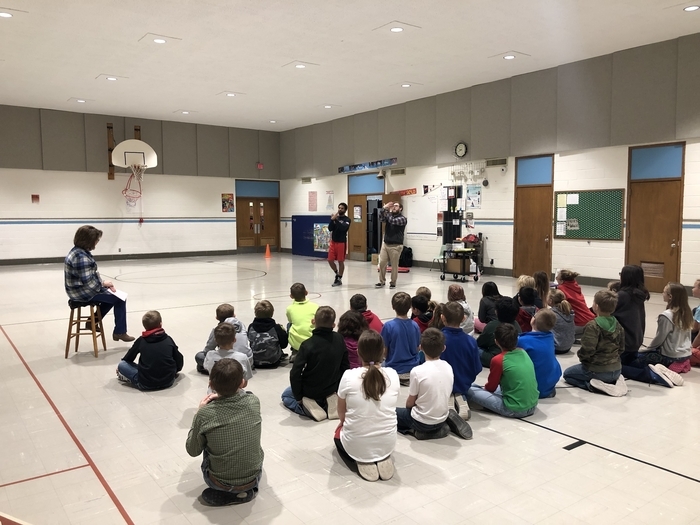 Music and PE joined forces today for a little rehearsal before our Christmas sing-along on Friday! 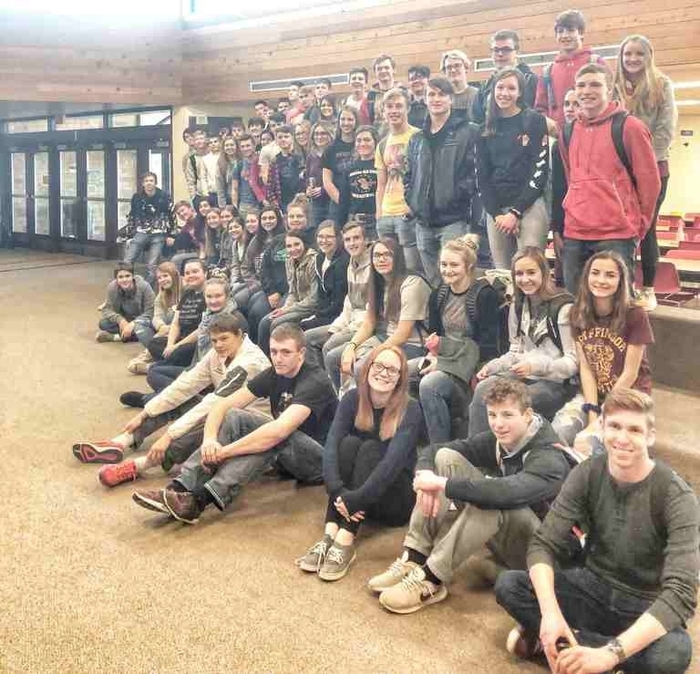 One cool program VHS has implemented is their internship program. We, at VES, get to see many HS students throughout the day. 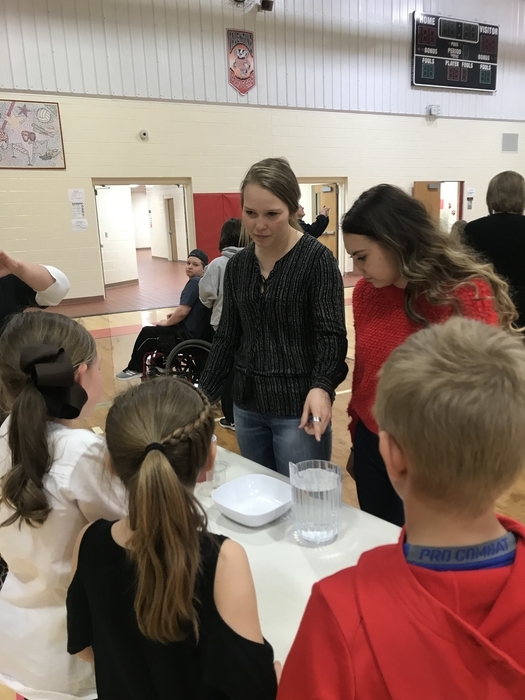 These are students who want experience working with kids as they see that in their future. 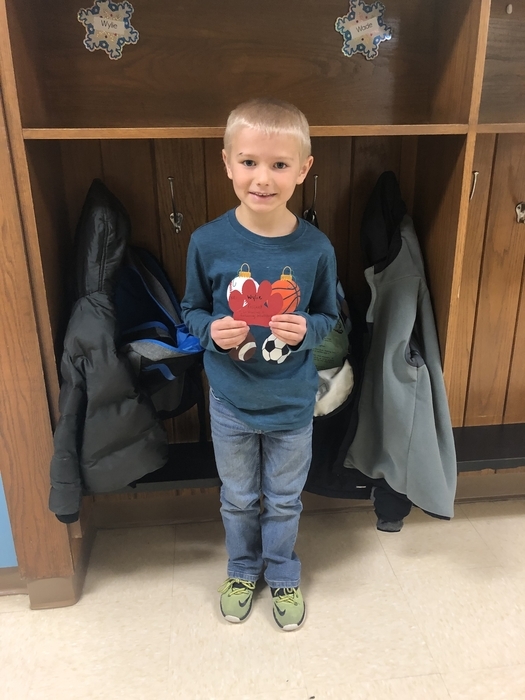 Brennann Jackson has been working in PE with Mr. Little, and today just happens to be his birthday. Happy birthday, Brennann! VHS has a Christmas tree decorated with ornaments. 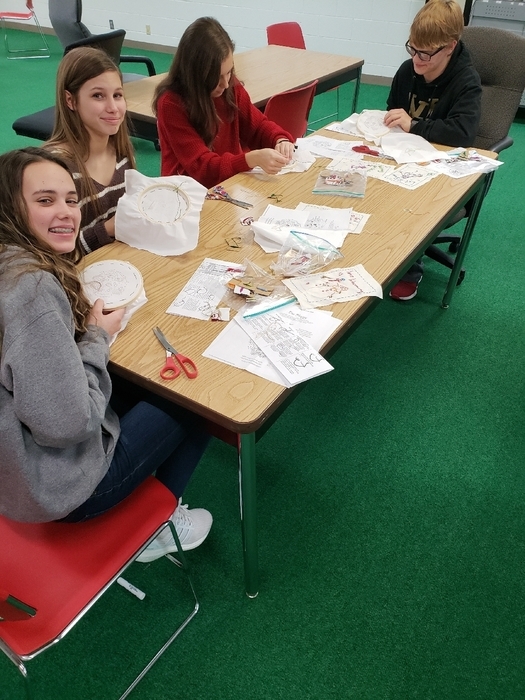 Students wrote family Chrismas traditions on the ornaments. 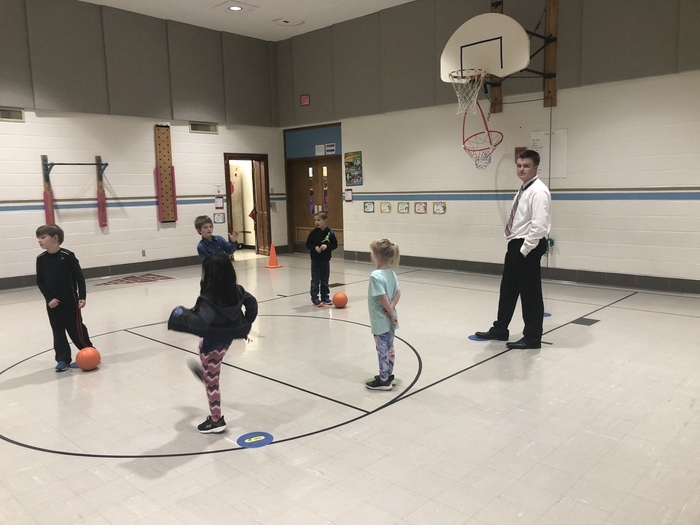 One school tradition is being mean to the principal Mr Cronin by calling him "The Grinch". 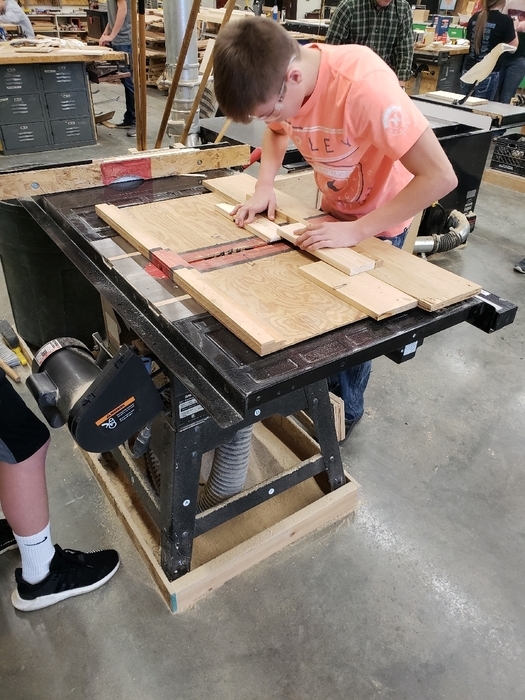 More from Mr Muirhead's as advanced woods class. 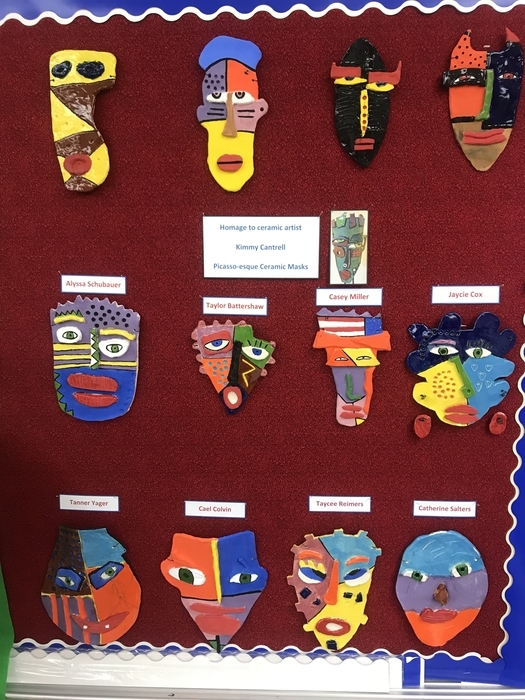 Great work kids. 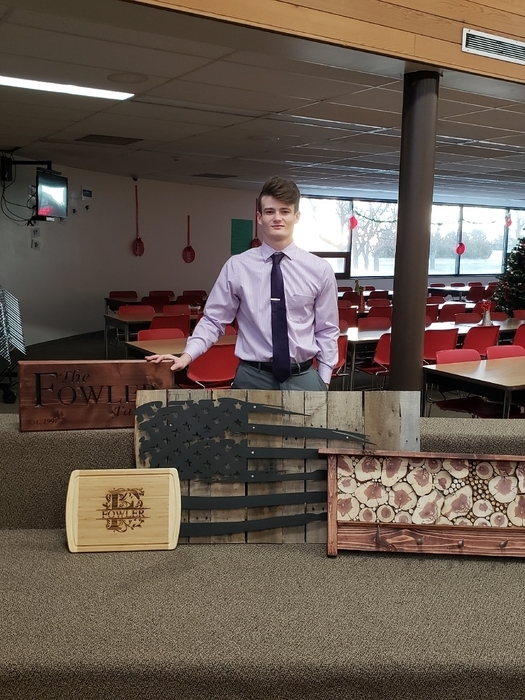 Mr Muirhead's advanced woods class completed projects throughout the semester. 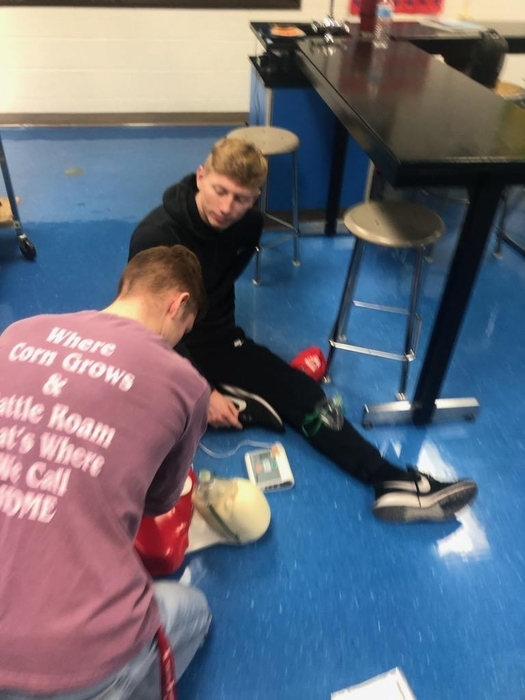 Students are doing amazing things here at VHS! 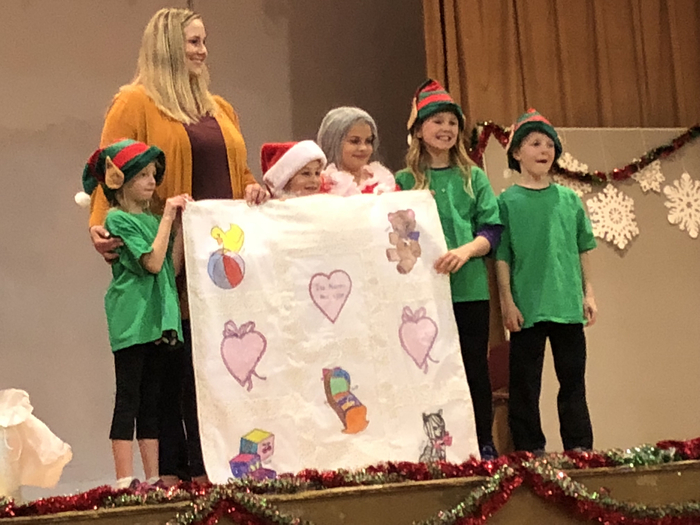 Cutcomb Lake School presented their Christmas program last night with songs, poems, a skit and playing of instruments. 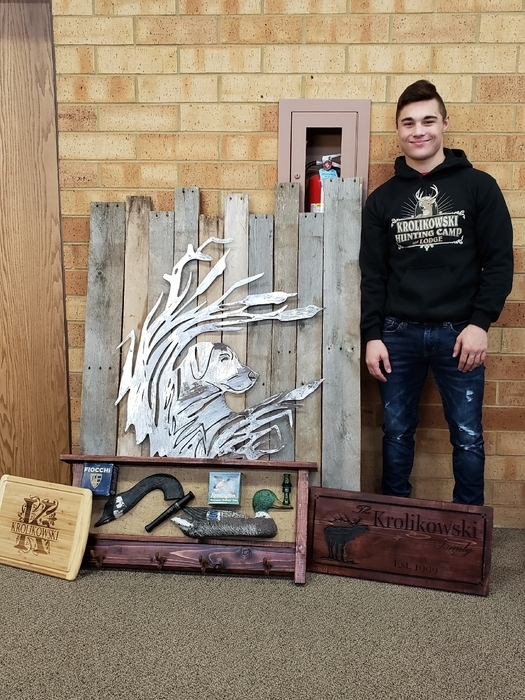 Wow, we really have some talented students! 😃 Wood Lake and Simeon/Kennedy Schools will hold their programs on the 20th at 6:30 at their school buildings. The public is welcome to attend. 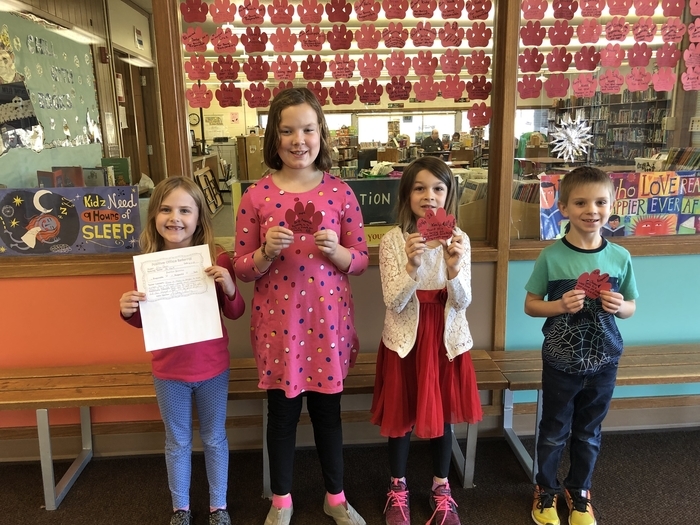 As the note sent home today in students’ folders stated, there is a change in Valentine Elementary‘s calendar in January. On Tuesday, January 29, students at Valentine Elementary will not have school. This is just for the students at VES. The teachers have an opportunity to attend a one day training, so school is canceled for that day. 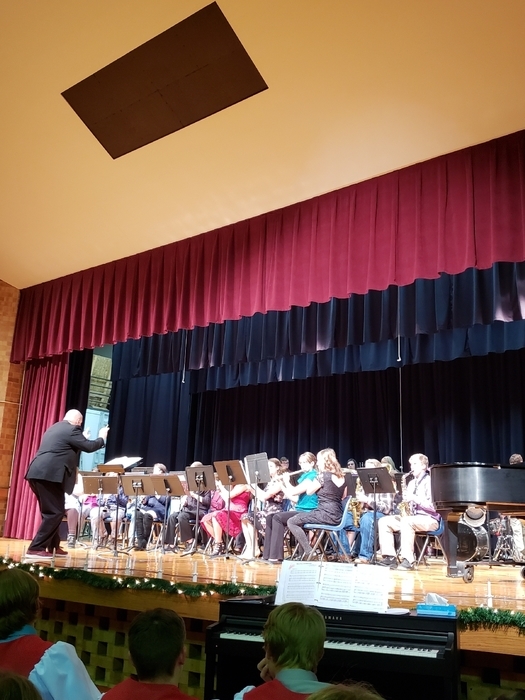 The VHS Band and Choir performed their winter concert Monday, December 17. Great job Mr Fulton and Mrs Rhodes! The students sounded amazing. 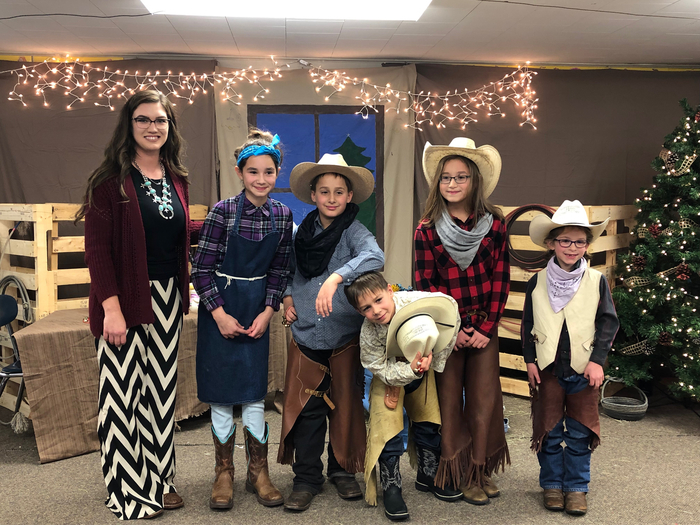 Miss Brunken and the Goose Creek students presented a Country Christmas last Thursday night at their school south of town. 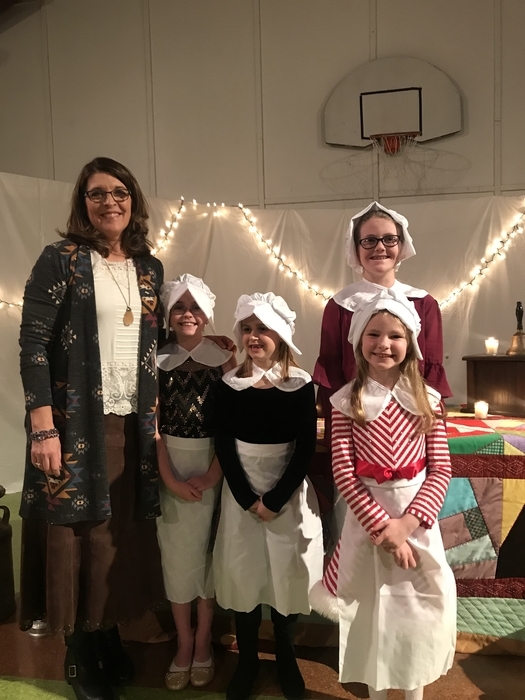 Monday night at 7:30 Mrs. Adamson and her students will be having their Christmas Program at Cutcomb School. 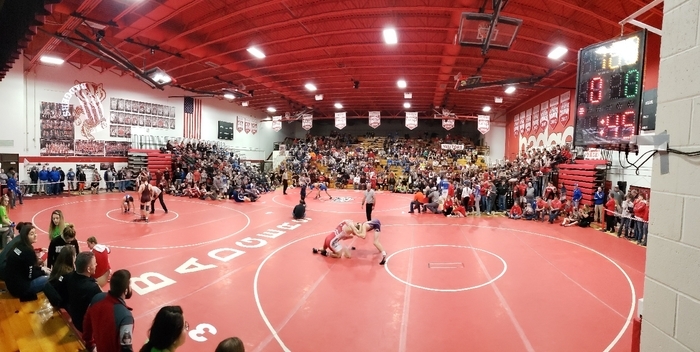 The 50th Annual Valentine Wrestling Invite is in the books. Thanks to all that helped - there are just to many to list and we don't want to forget anyone. We received several comments on every aspect of our tournament. 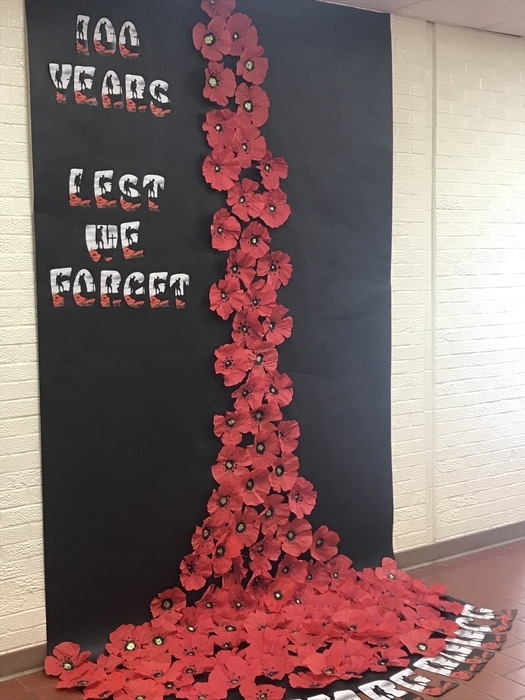 We can't say thank you enough to our community for supporting our school and events. Go Badgers!!! Day 2 of the 50th Annual Valentine Wrestling Invitational. Special thanks to Gus Brown for all the work he has put in, as well as Tracy Hand and his crew and Mark Ormesher for all he's contributed. GO BADGERS!!! 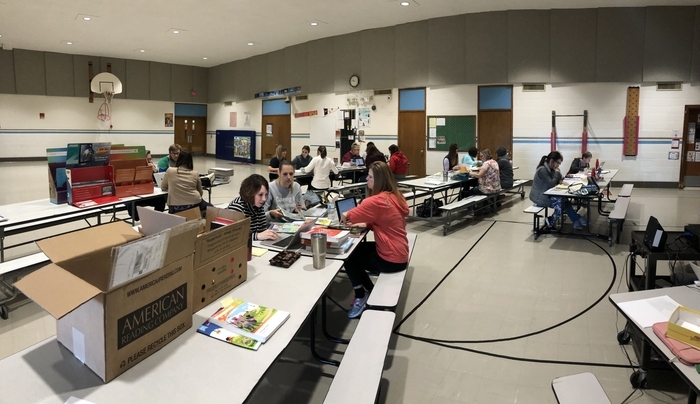 Our elementary and rural teachers spent the morning of our district in-service analyzing new reading textbook series. It is hard work, and there was excitement in the room for the future of VCS! Special thanks to April Lambert of ESU 17 for facilitating this. 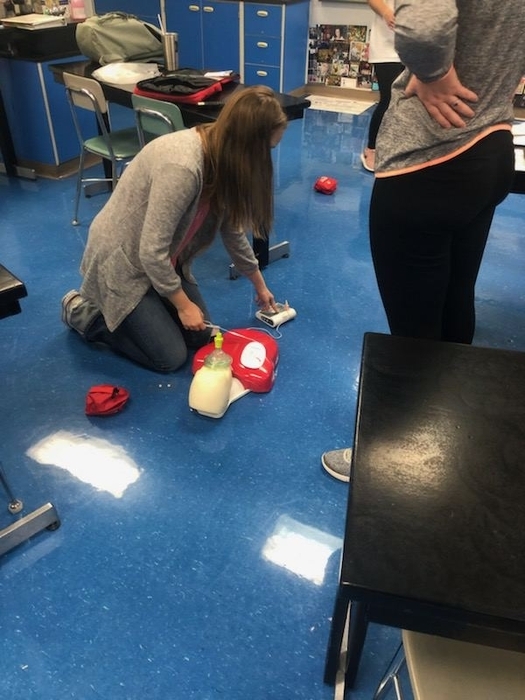 At the district in-service today, our paraprofessionals were busy, too, with training! The Valentine Wrestling Invitational has started! Come cheer on your Badgers!!! VES focus for the week: be responsible, clean up after yourself. Way to go, Badgers! 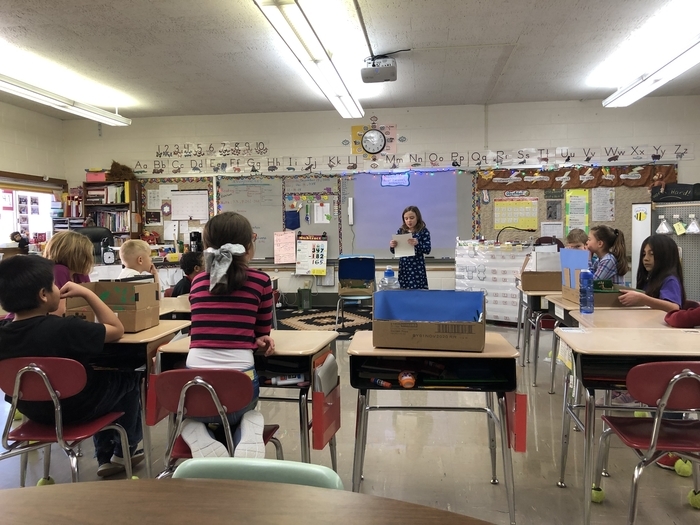 Mrs. Eide’s 3rd grade class invited Mrs. Wonnenberg to listen to their presentations on life cycles. 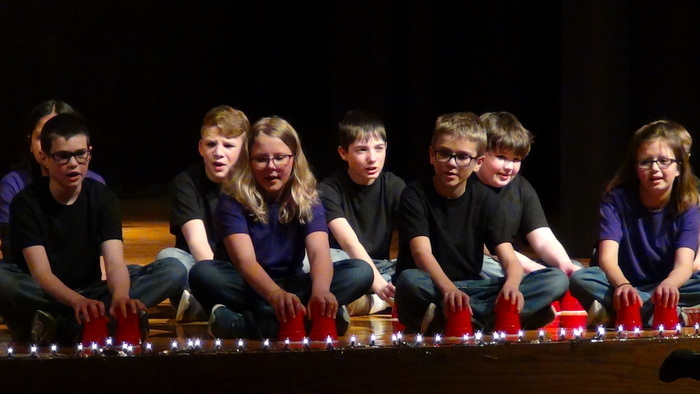 They all did such a great job, and Mrs. Wonnenberg enjoyed them all so much! FFA fruit is in!! 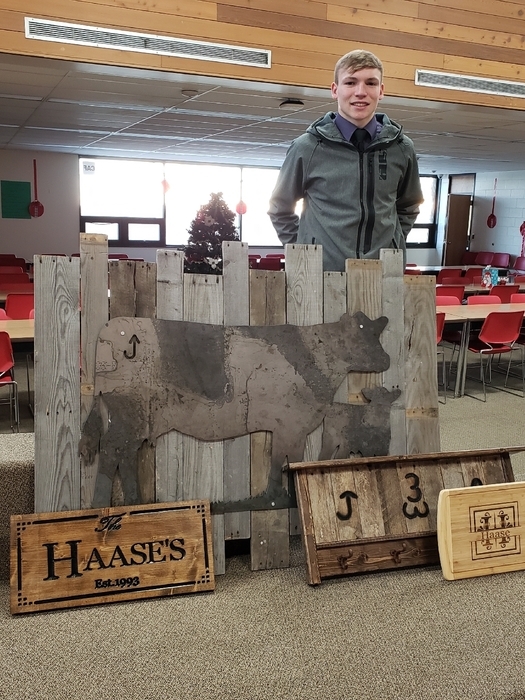 Mr Nollette's FFA students will be making deliveries soon. 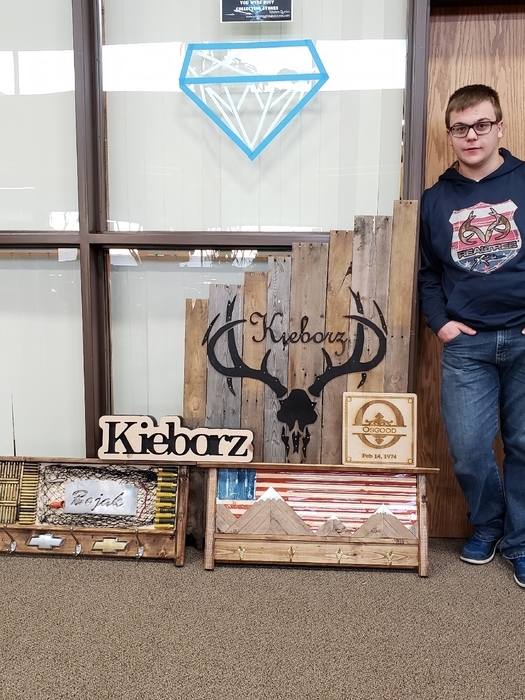 Mr. Muirheads basic woods class is working on projects in the shop. 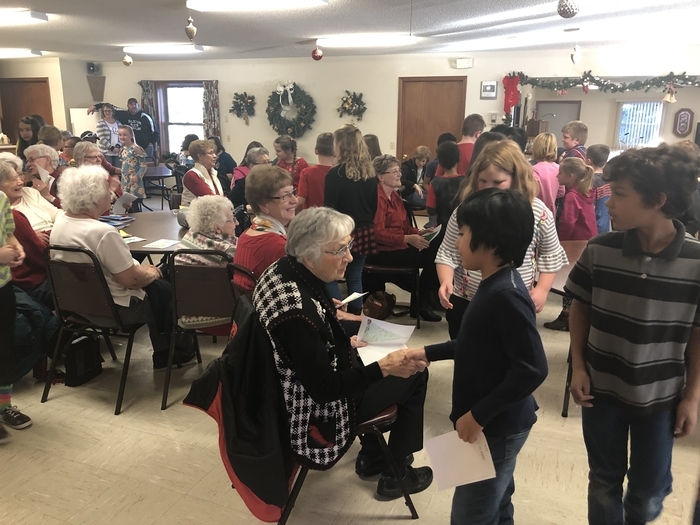 Yesterday, the 4th grade students of VES treated the residents of Pine View to a fabulous concert of Christmas songs! 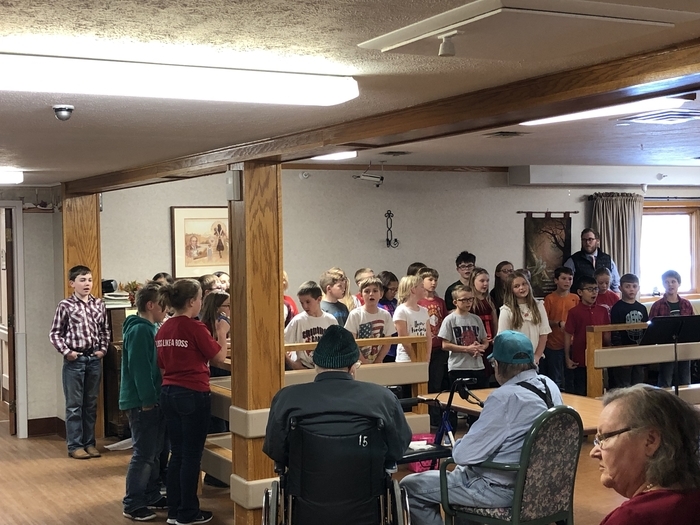 Thanks to the students, their music teacher, Mrs. McQuistan, their classroom teachers, our bus driver, Mr. Gass, the staff of Pine View, and the wonderful residents of Pine View. 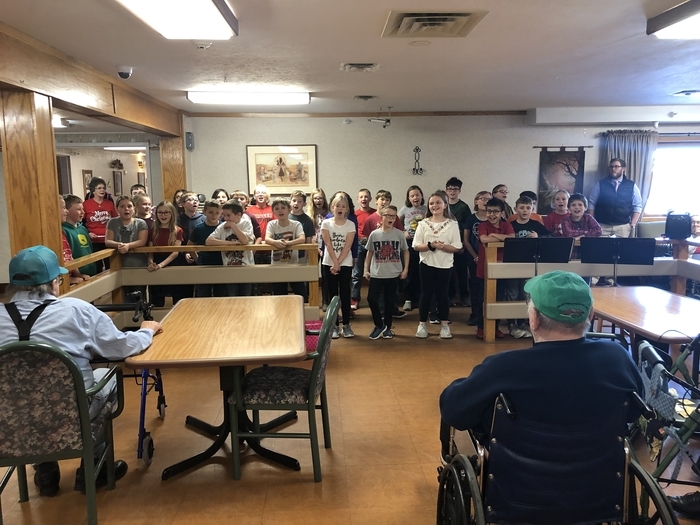 At the conclusion of the concert, all of our 4th graders shook the hands of the residents and wished them a merry Christmas! 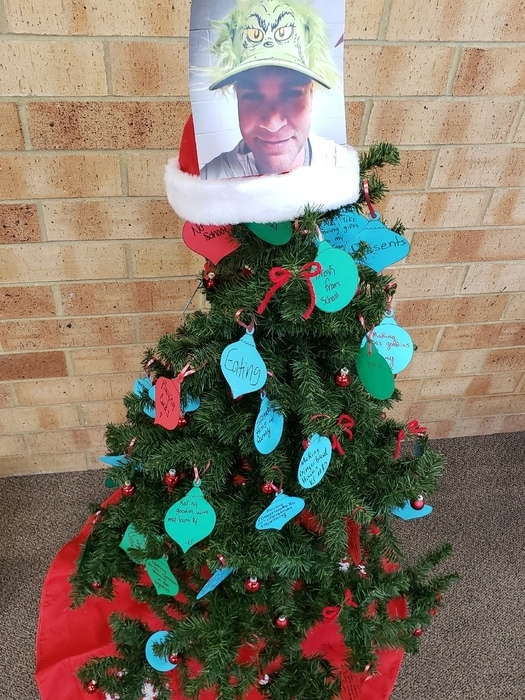 What a way to spread some Christmas cheer! 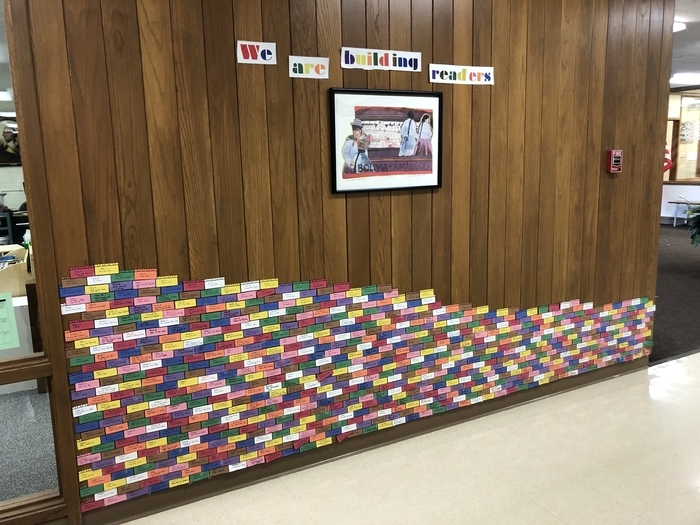 This year, to further celebrate students’ success with Accelerated Reader, Ms. O’Kief has begun constructing a wall outside the library. 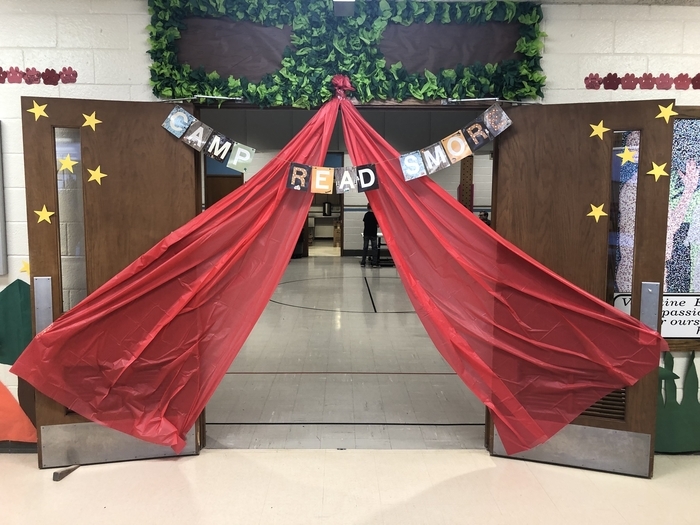 Check it out—we are building readers at VES! Rook no further! 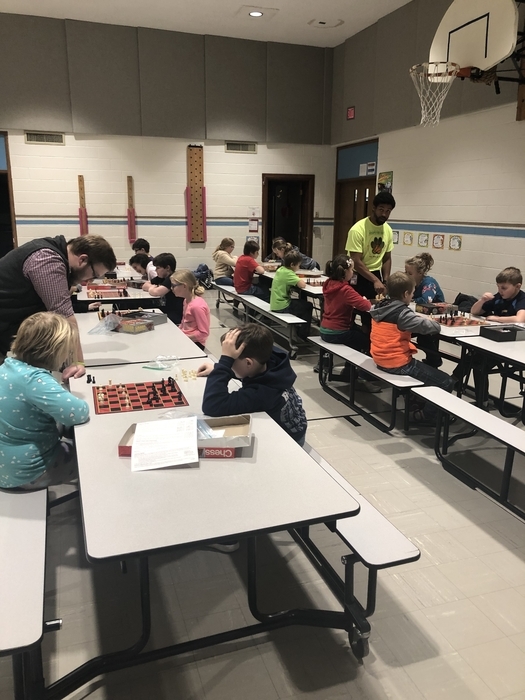 Mr. Little and Mr. Macziewski sponsor a chess club on Tuesdays from 4-5 pm with many of our 4th and 5th grade students! Members of the VCS School Improvement team attended a Data workshop at the ESU in Ainsworth. The data collected helps prioritize district goals across the district. 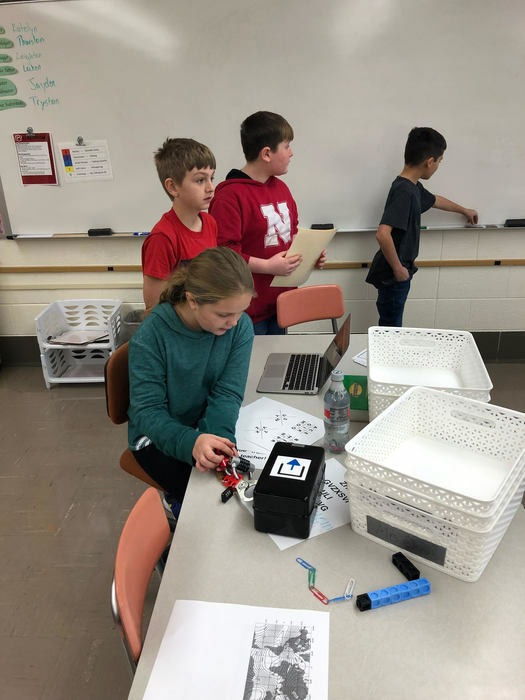 The Hour of Code Mrs. Gass’ 6 grade class along with Mrs. Hoefs’ coding class worked on unplugged coding activities. The basketball games with McCook have been re-scheduled to Dec 21st starting with the JV at 1 pm. Girls Varsity will be at approximately 2:30 with the boys to follow. Mark your calendars! 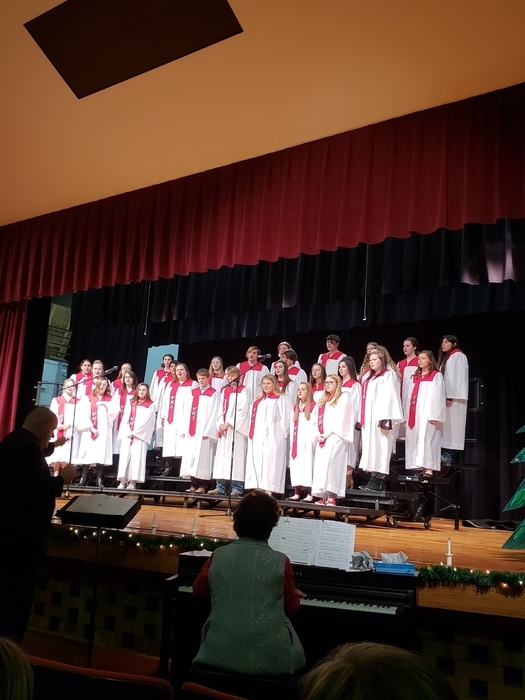 The VMS Christmas Music Concert will be December 13 at 7:00pm in the VMS Gym. 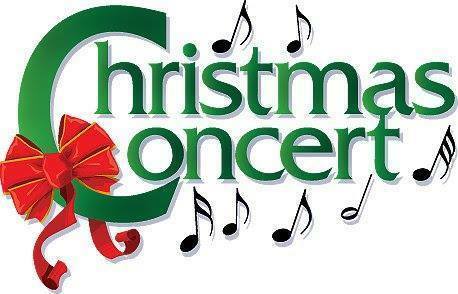 The VHS Christmas Music Concert will be December 17 at 7:00pm in the VHS Auditorium. 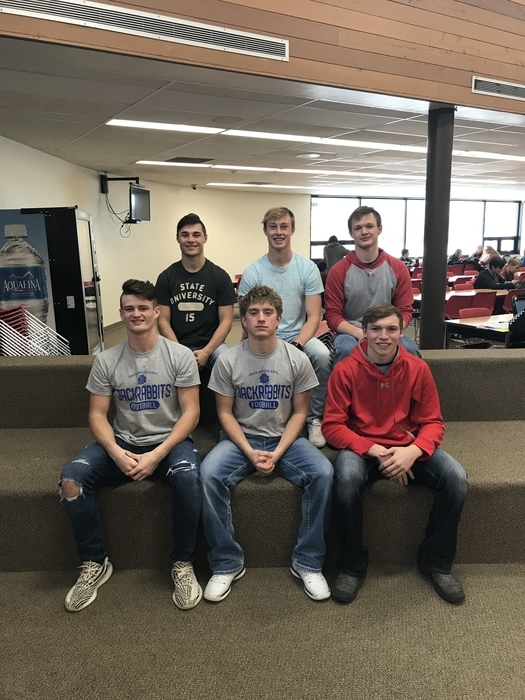 C1 All District Football Team Selected. 1st Team top row: Gage Krolikowski, Devon Osnes, Lane McGinley. 2nd Team bottom row: Brayden Fowler, Jon Keller, Eric Hasse. Congrats!! The MS basketball games with Winner today have been postponed until 4 pm tomorrow. 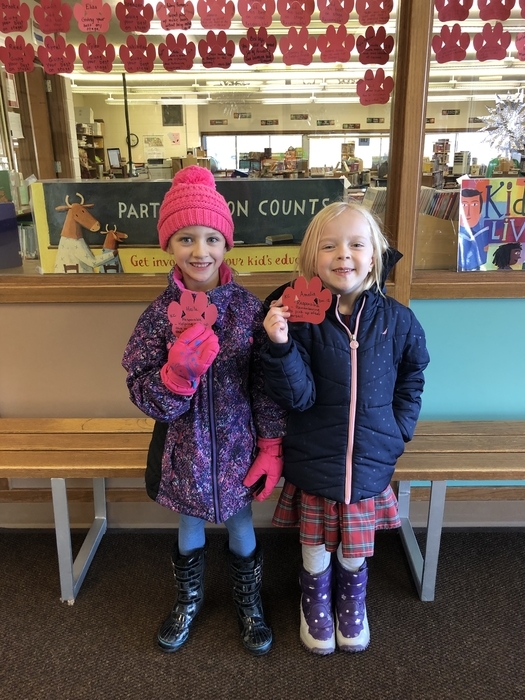 The book fair PTA hosts at Winterfest will still go on even though Winterfest is canceled. The book fair will be Monday, Tuesday, and Wednesday next week, in the VES library. It will be from 7:45-8:30 a.m. and 3:30-4:15 those three days. It is open to the public; stop by! The O'Neill HS wrestling meet has been cancelled. Valentine MS and HS will have no events today or tomorrow. The basketball games with McCook today have been postponed due to incoming weather. As of now the Mock Trial team will not be traveling to Omaha on Sunday. We visited with the organization that is putting it on and they are not looking to reschedule at this point. We will keep you updated on changes if they decide to reschedule. 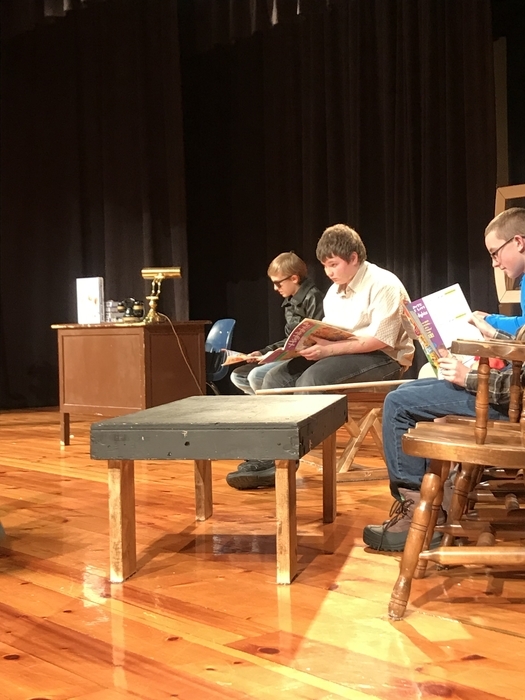 The public One Act performance tonight has been postponed until Monday at 7:30 pm due to the incoming weather. The MS Wrestling team will not be traveling to O'Neill today due to the incoming weather. The basketball games with McCook tomorrow will be Varsity only. The basketball games with McCook on Saturday has been moved to tomorrow at 4 pm due to the weather forecast. The girls will be followed by the boys. 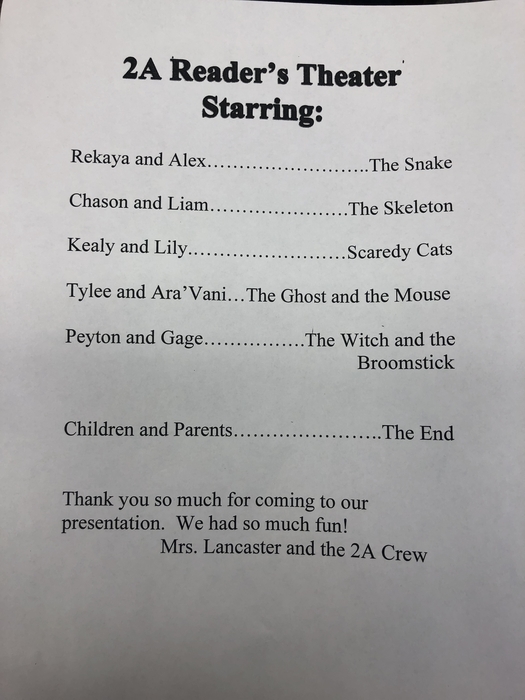 After the game the One Act team will be performing their play. Come support all the Badger Events!! 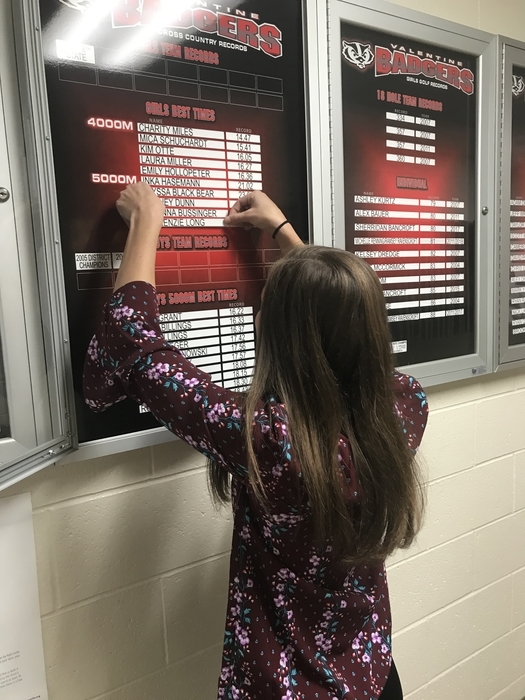 Congrats to Makenzie Long for adding her name to the Cross Country record board! Congrats to Jed Vanderway for adding his name to the Cross Country Record board! 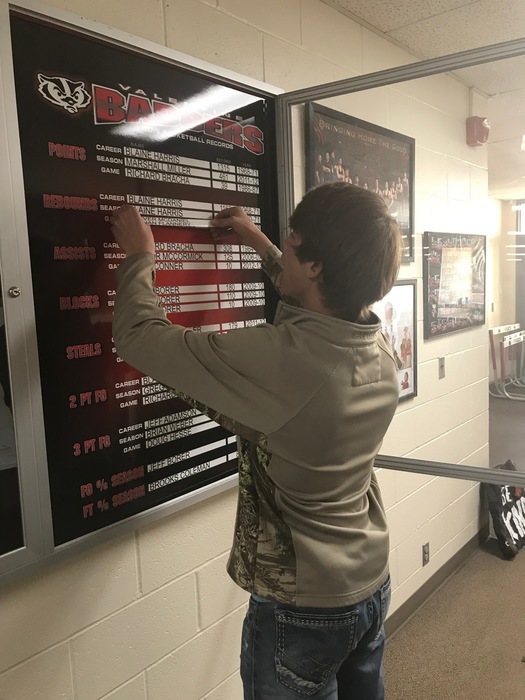 Congrats to Drake Janssen for adding his name to the Cross Country record board! 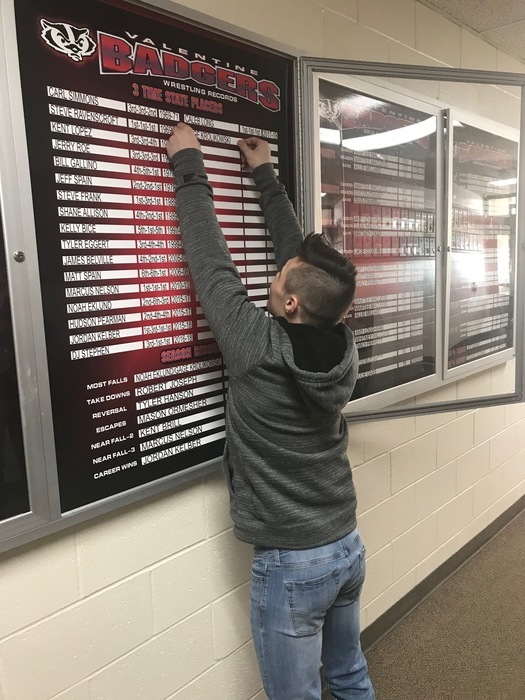 Congrats to Gage Krolikowski for adding his name to the football record board! 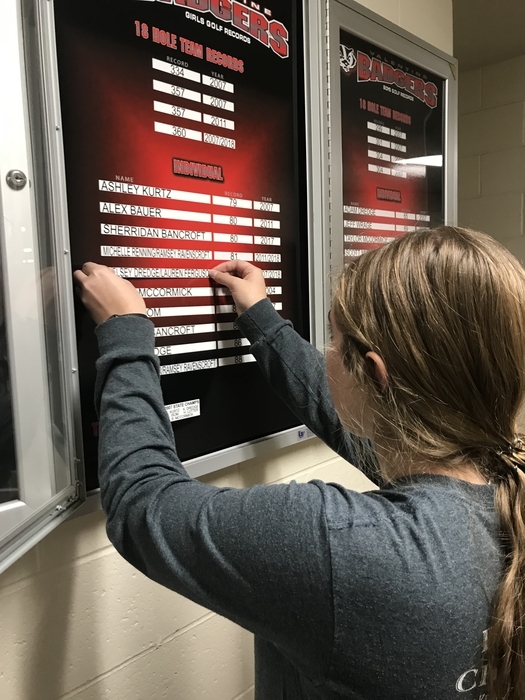 Congrats to Lauren Ferguson for adding her name to the girls golf record board!! Congrats to Ramsey Ravenscroft for updating her name on the girls golf record board! 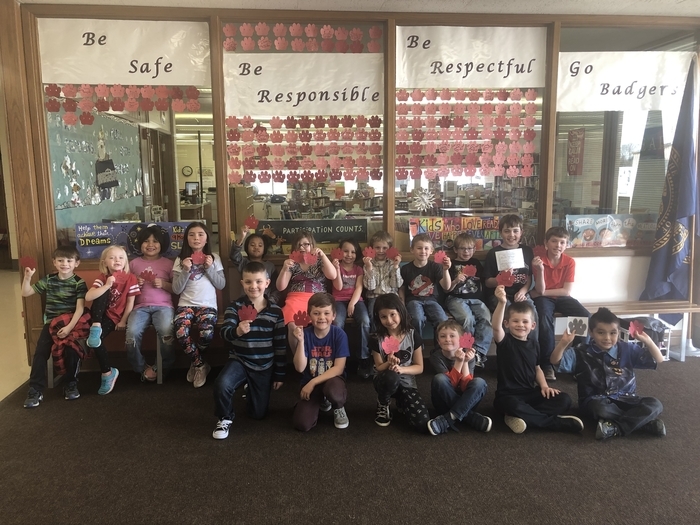 We were treated to an office visit by the kindergartners who were showing off the "thankful sight word and number" vests they created! 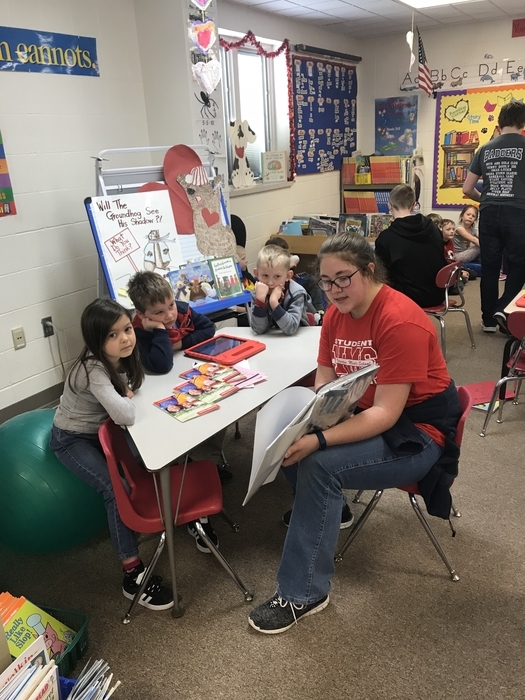 One really neat program at VES is our 5th grade reading buddies for our kindergarteners. 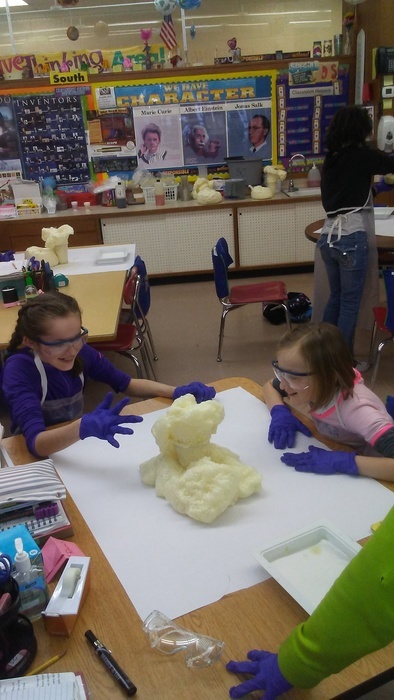 We're not sure who is learning more and having more fun from these experiences! Hope everyone had a great Thanksgiving. We are thankful for incredible students. 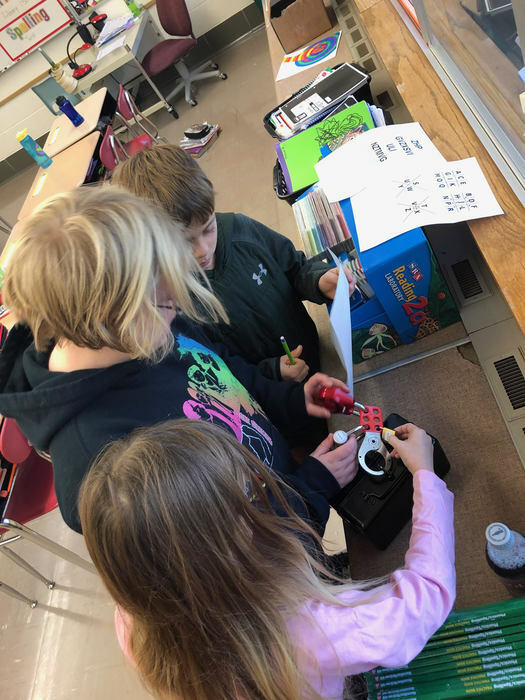 4th grade students are seen here trying to solve a Breakout EDU in science with Mr. Macziewski! 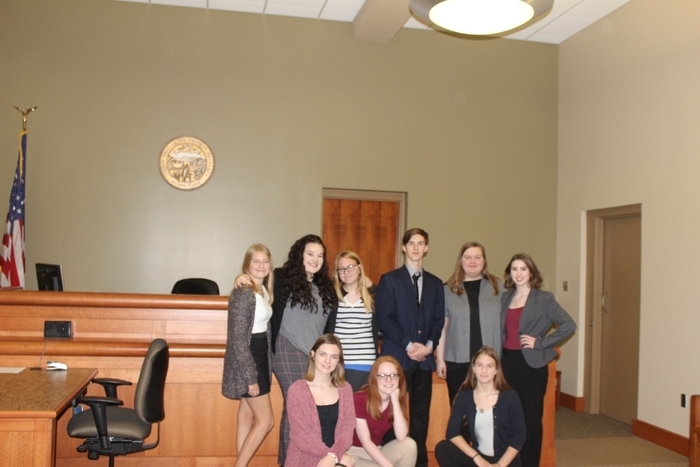 VHS Mock trial team qualified for the state trials! State Trials are in Omaha on December 3rd and 4th! Reach. Educate. Inspire! Thank you to VCS for our gifts during American Education Week! We ❤️ our School. 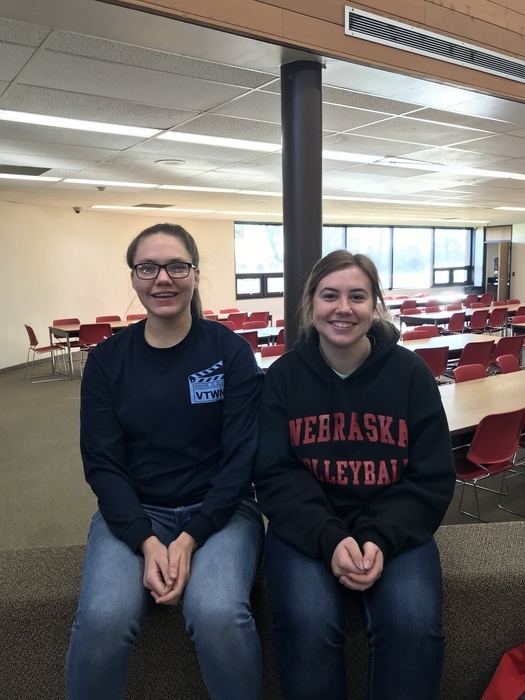 Congrats to Allison Hitchcock (2nd Team) and Skyler Reagle (Honorable Mention) who was selected to the All Southwest Conference Volleyball Team!! 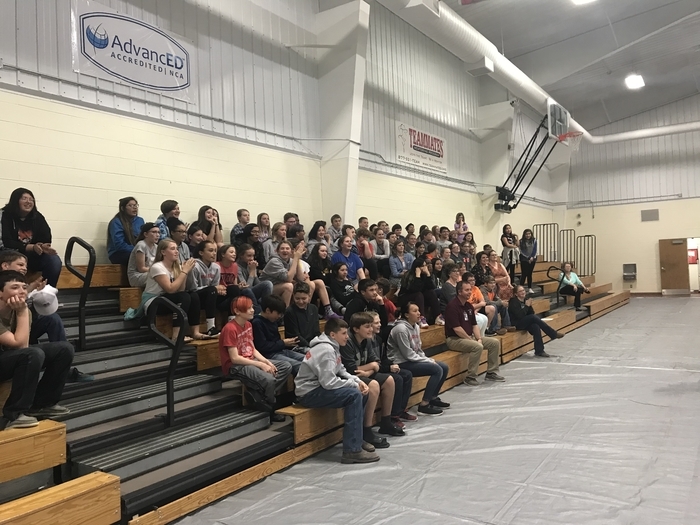 VMS speaker, Mike Donahue, founder of Value-Up, spoke to the Middle School students today about helping them find a purpose and define themselves as they navigate the often-difficult transition from childhood to adulthood. 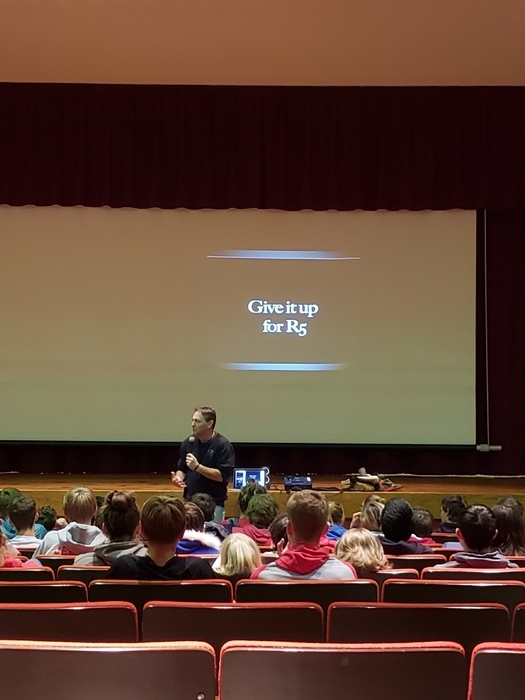 Mike Donahue of Value Up productions was at VHS to talk and have discussions about drugs and alcohol with students. 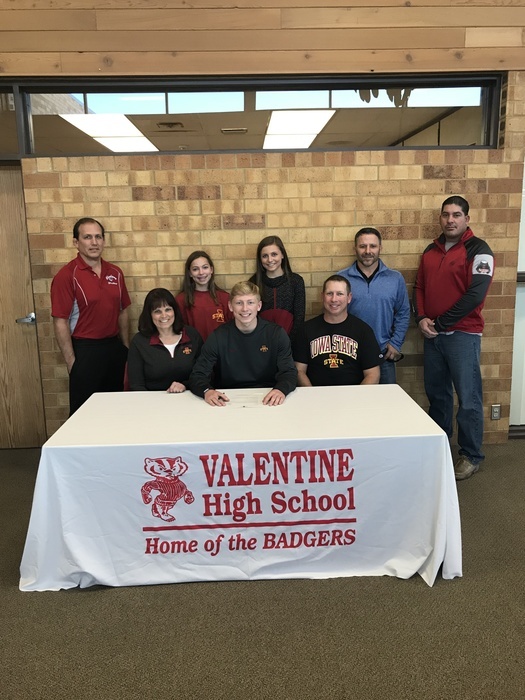 Congrats to Caleb Long for signing his Letter of Intent to wrestle for Iowa State University!! VHS Seniors went to the court house fo County Government day. Thanks to all those who made this happen, especially Monte Kruger. 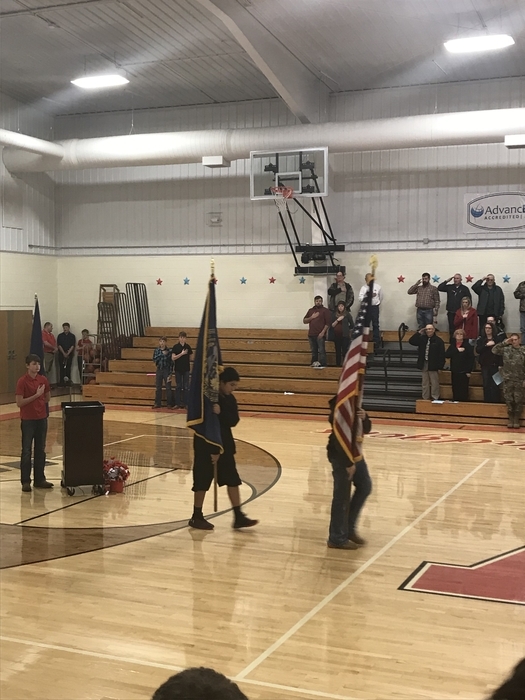 Thank you to Mrs. Steskal and Mr. Fulton for putting on another amazing Veteran’s Day program at VMS. Also, a special thanks to all our past and present Veterans for all you do! 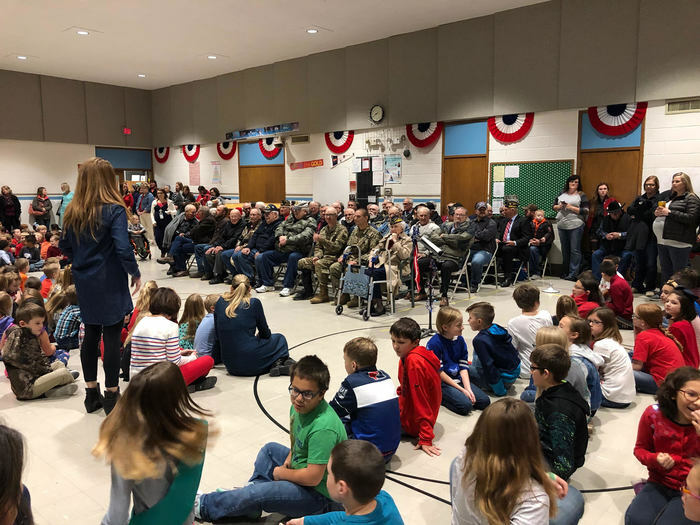 Valentine Elementary hosted a Veterans Day program this morning. 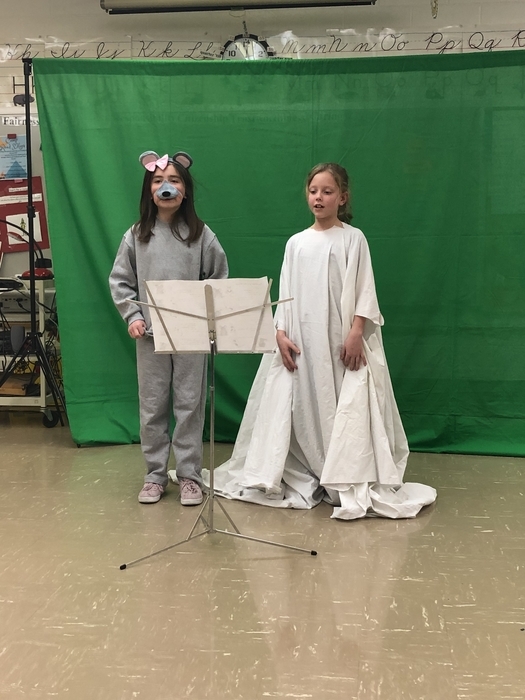 Thank you to Mrs. McQuistan and our incredible students, particularly the 5th graders, for their roles as well. As always, THANKS to all Veterans for their service and sacrifice! They truly walk the walk. 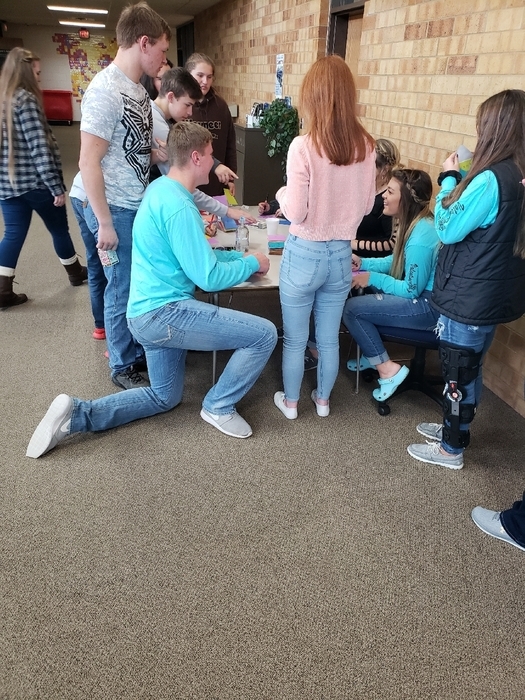 Students and staff took part in Kindness Week activities at VHS. 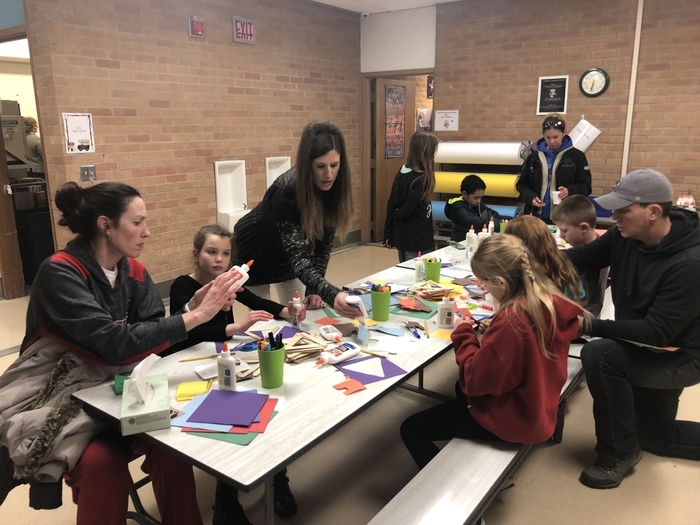 Writing kind notes and decorating the school with positive vibes are just a couple of the man opportunities Mrs. Arganbright created for this week. Support our Veterans! 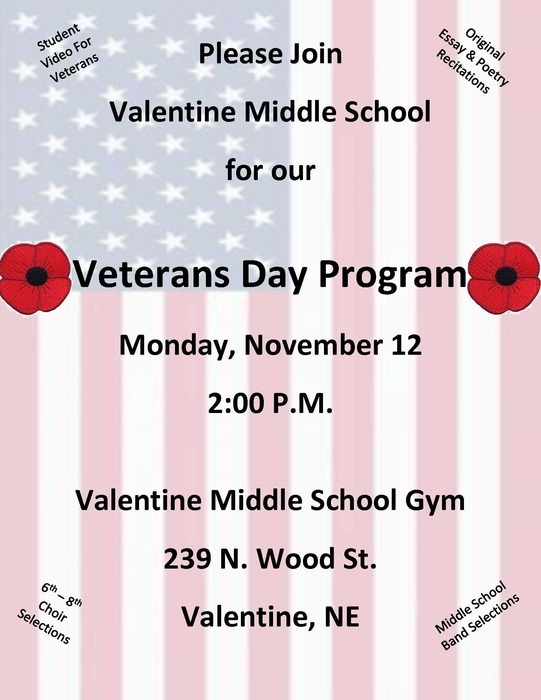 Valentine Middle School Veteran's Day Program on Monday, November 12 at 2:00pm at the Middle School gym. Veterans, active military, and public are all invited. Get in the holiday spirit! The VMS Student Council St. John's Food Drive is up and going. 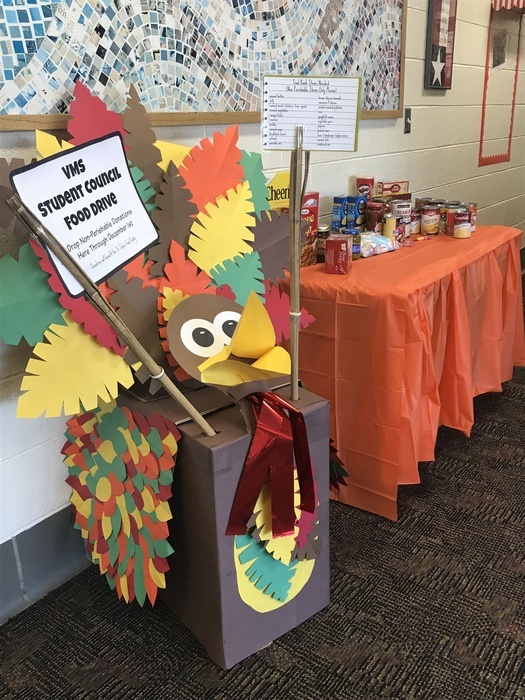 Bring any non-perishable food items to the VMS before December 1 and feed the turkey! 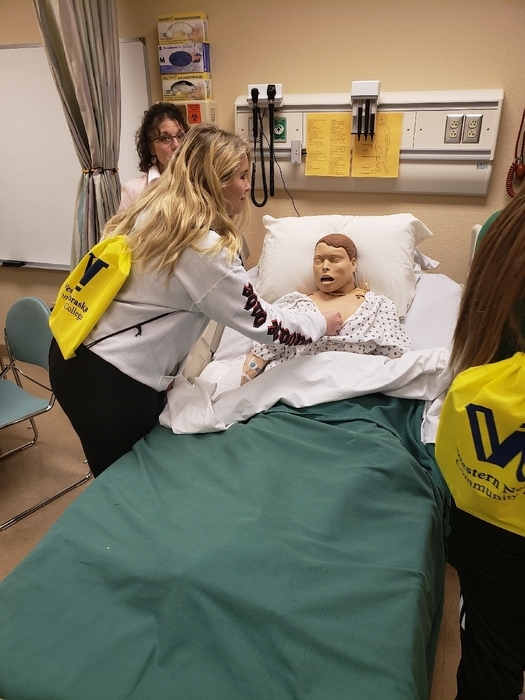 Health science students went through rotations and had hands on opportunities with tech equipment and procedures at WNCC. 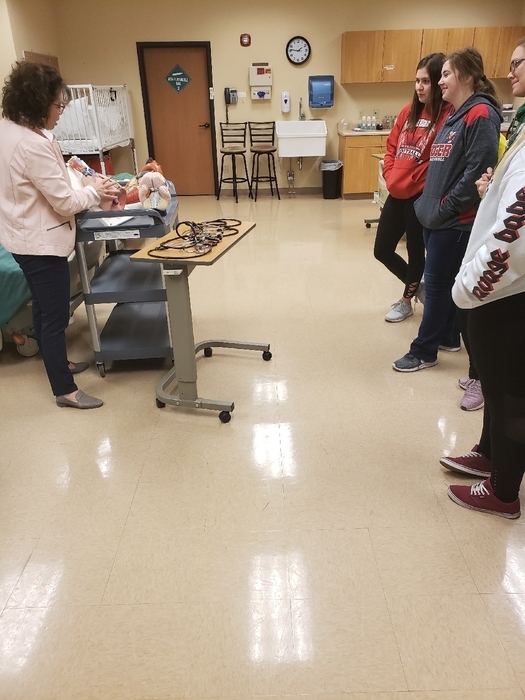 Juniors and Seniors arrived at Western Nebraska Community College in Scottsbluff. 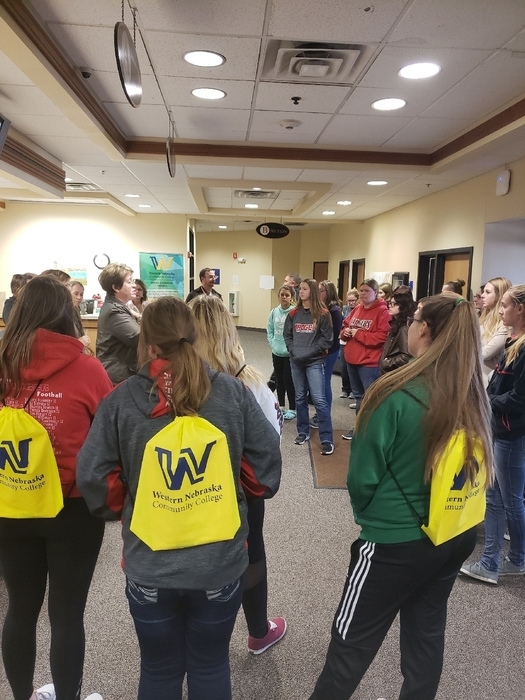 30+ Juniors and Seniors made the Chadron St./WNCC college visit trip today. On to College with John Baylor helps students improve ACT scores. The ACT is a required exam for all Nebraska High School Juniors. 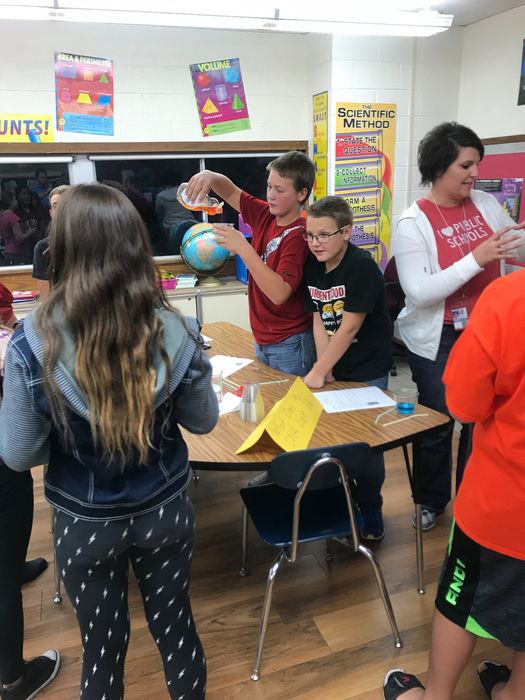 Badger Highlight Night at VMS Student presentations, various student work on display, games, and a scavenger hunt. Thank you students, parents, student supporters and VMS Staff. 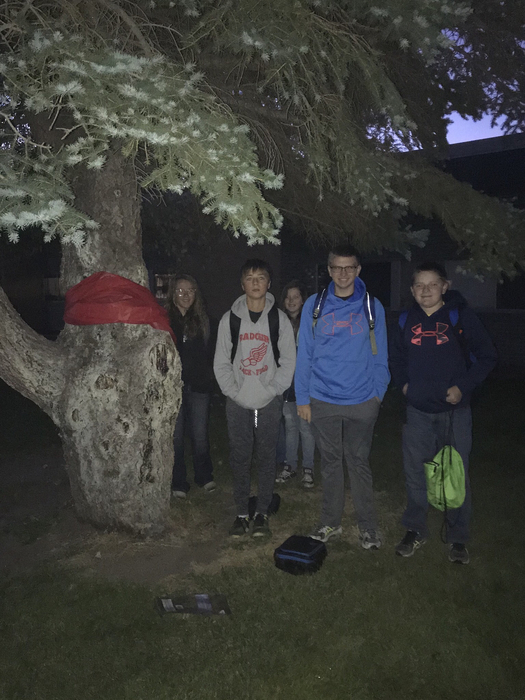 VMS is going all out for Red Ribbon Week! 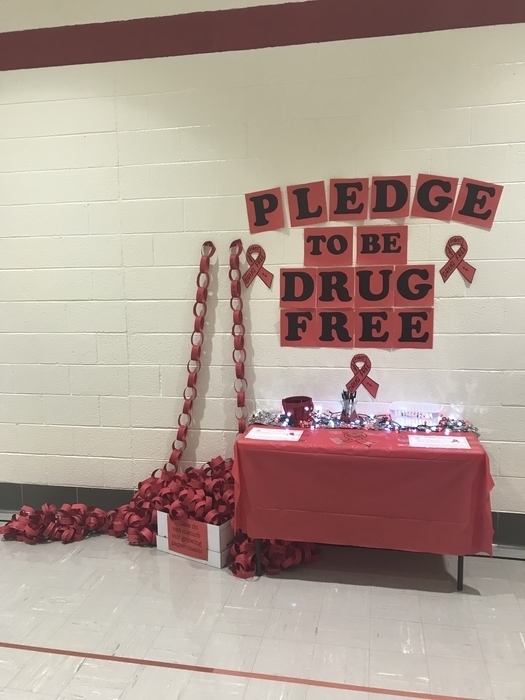 Red Ribbon week is an annual event, founded in 1985, advocating a drug free lifestyle. 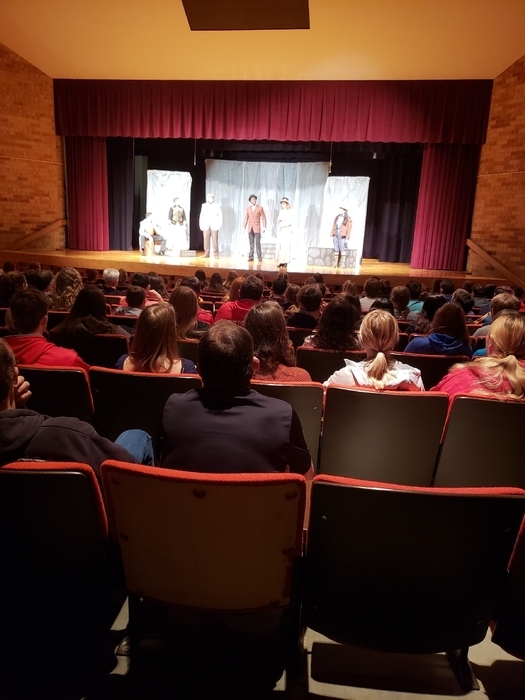 VHS students were treated to a live Shakespeare performance Monday, Oct.22 courtesy of the Valentine Area Arts Counsil. 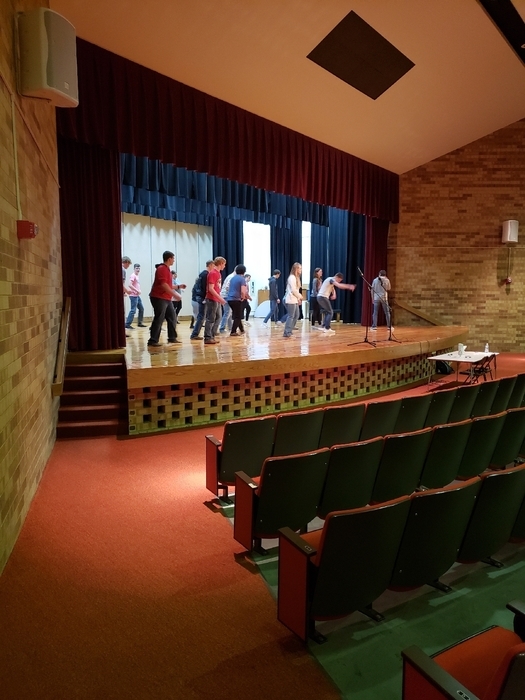 The actors then worked with VHS drama students to help them with their performances. Valentine girls lost to Gothenburg in the first round of the SWC tournament. 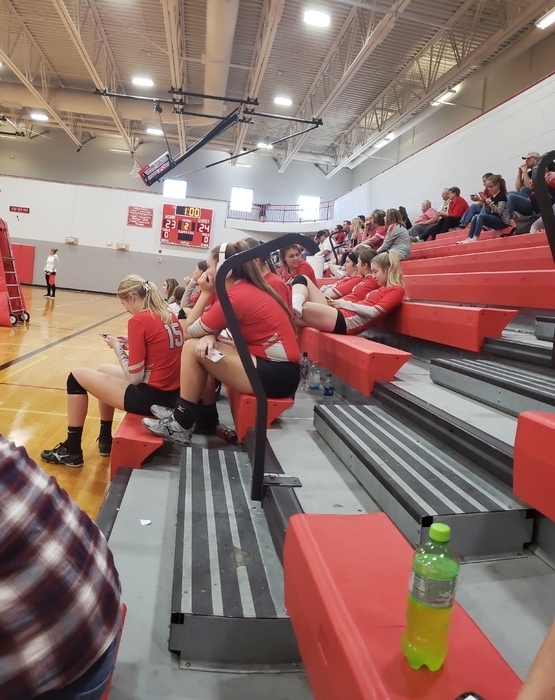 They battled back to best Cozad in 3 sets and await the winner of Ainsworth and McCook. Kindergarten is celebrating T this week with teddy bears! 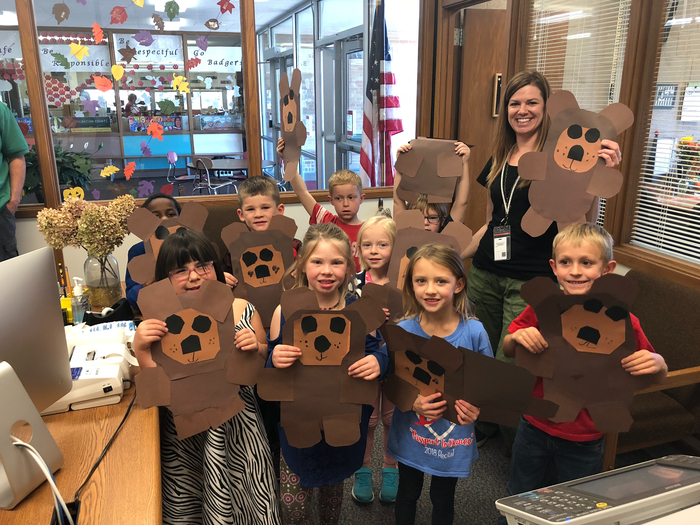 Look at Mrs. Muirhead’s students with their bears! VCS threat assessment team met today in cooperation with VPD to adopt a process which evaluates the level of a threat. 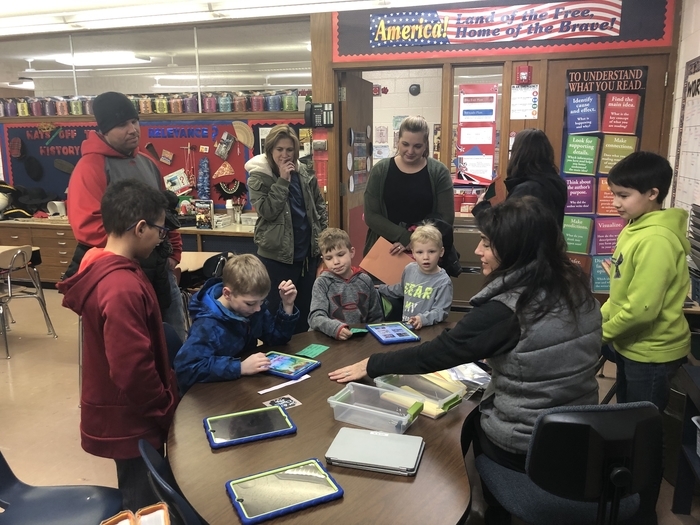 Mrs Kilmer had a VERY successful Financial Aid night. 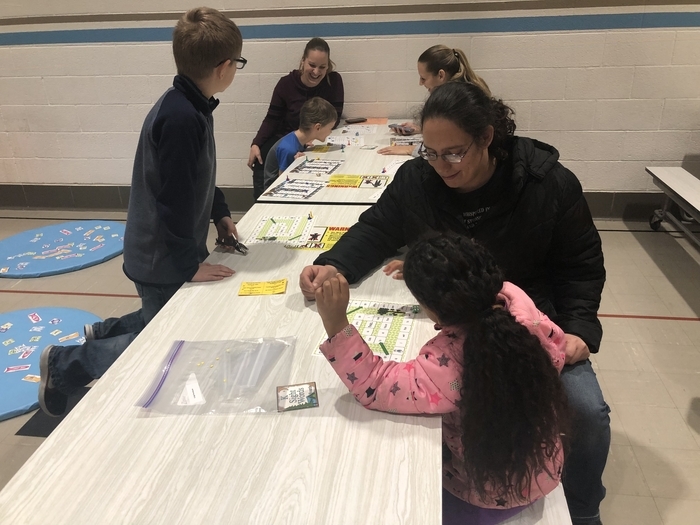 92 students and parents attended! 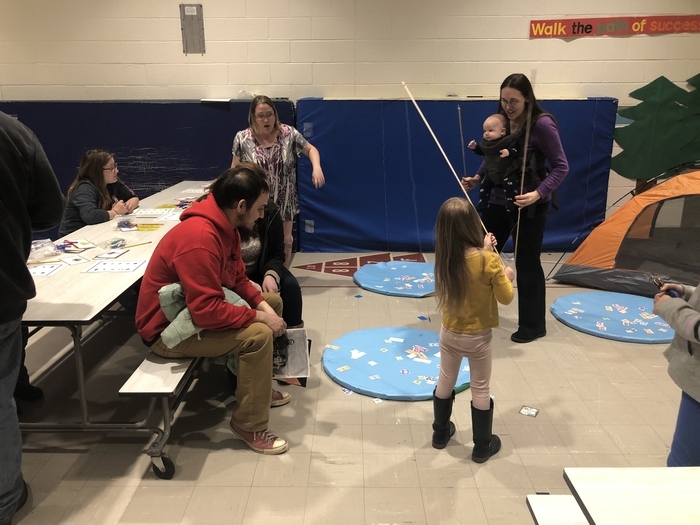 Great job Mrs Kilmer and families!! 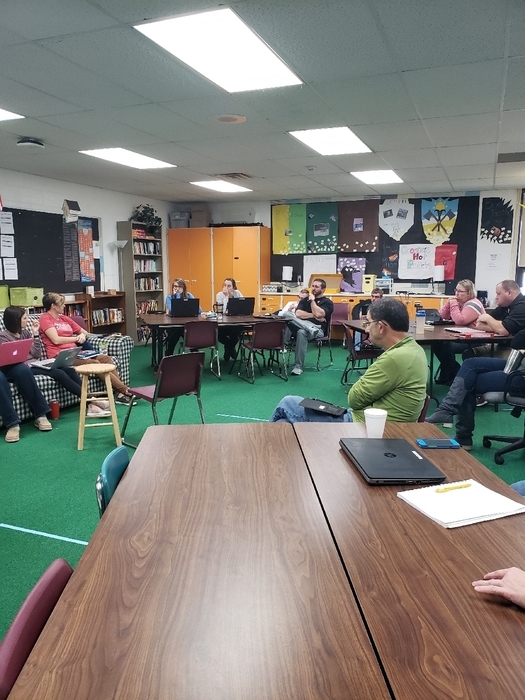 The ESU17 staff provided presentations on Danielson Instructional Model, math curriculum, MANDT training, etc. 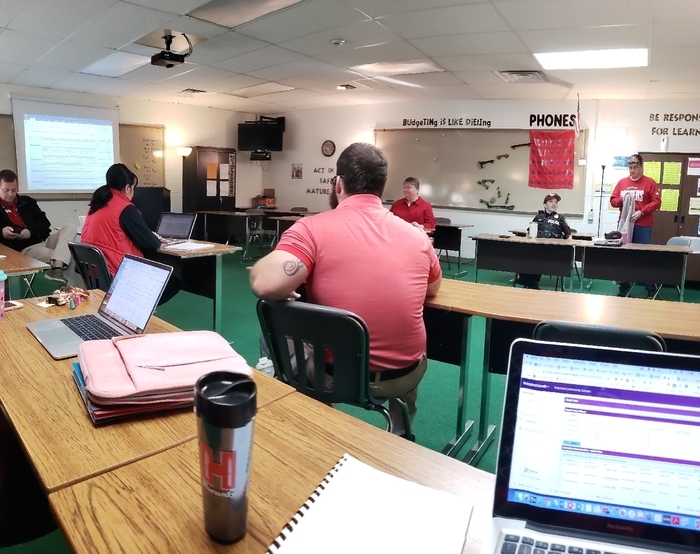 At the in-service on Oct. 17.